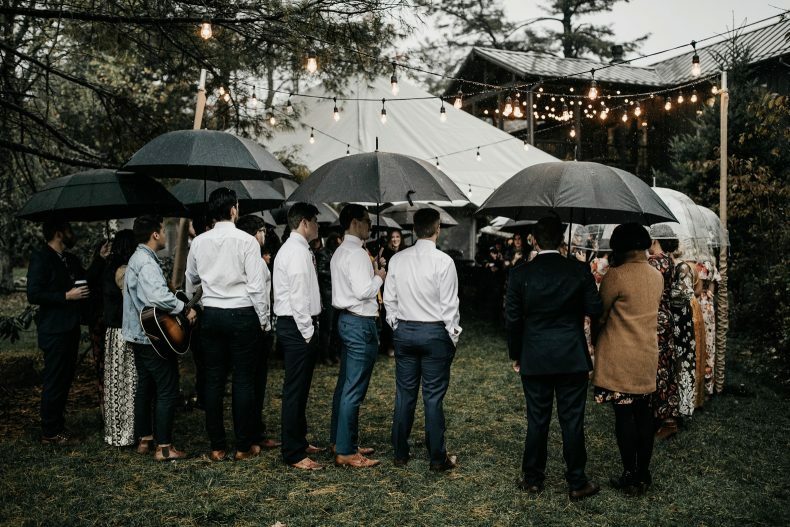 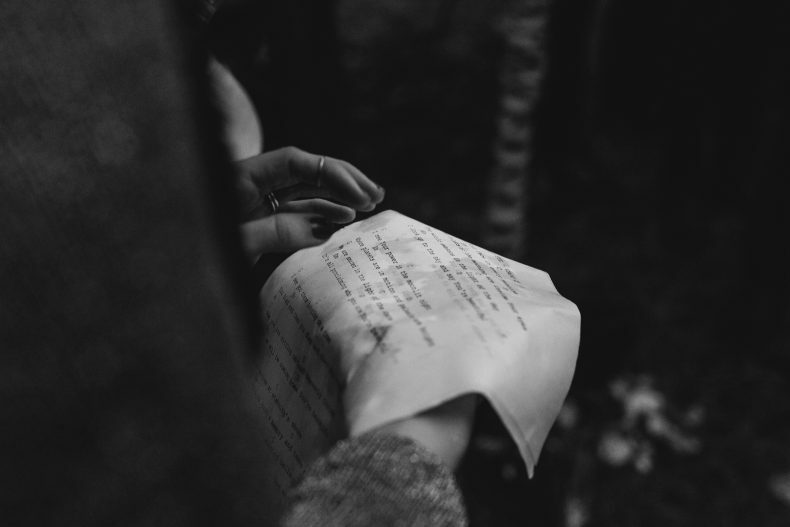 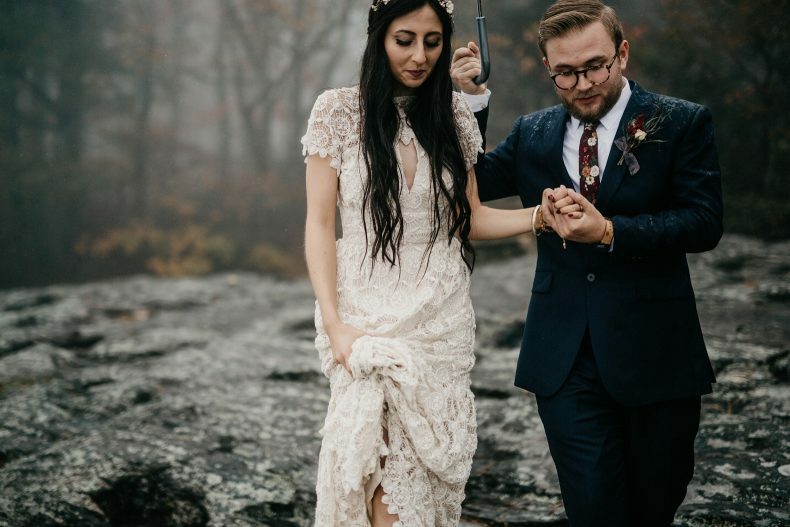 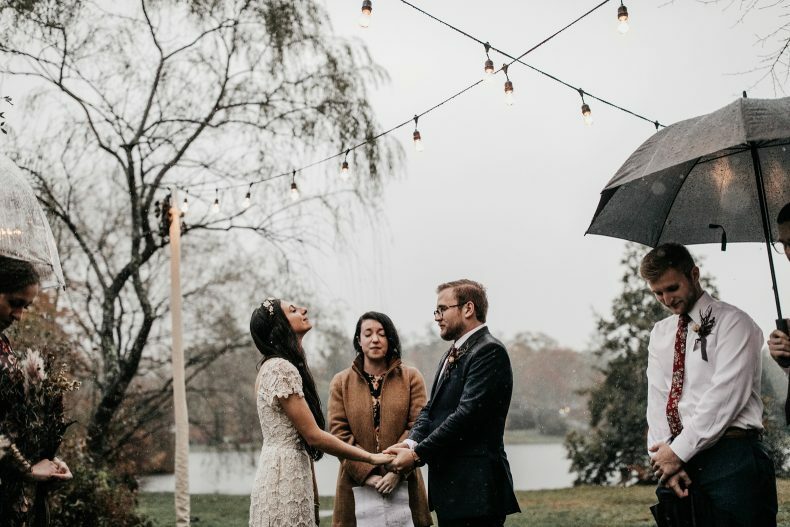 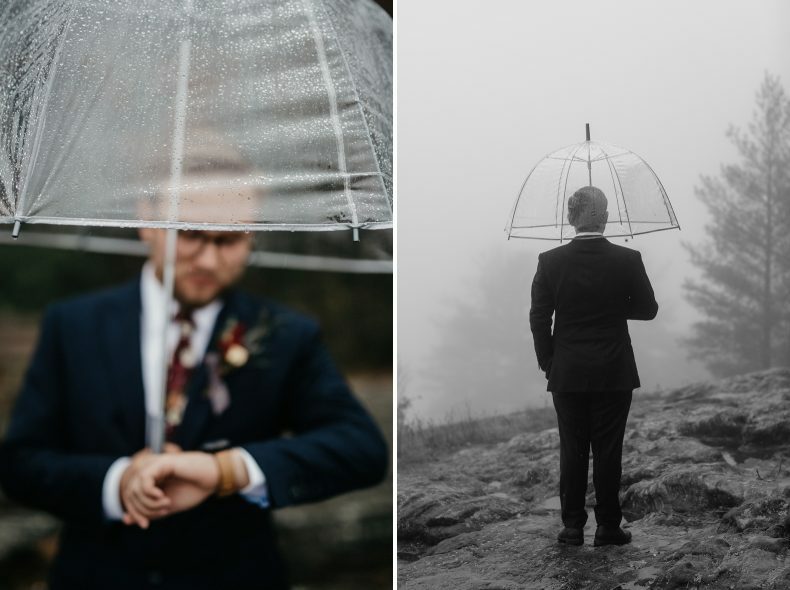 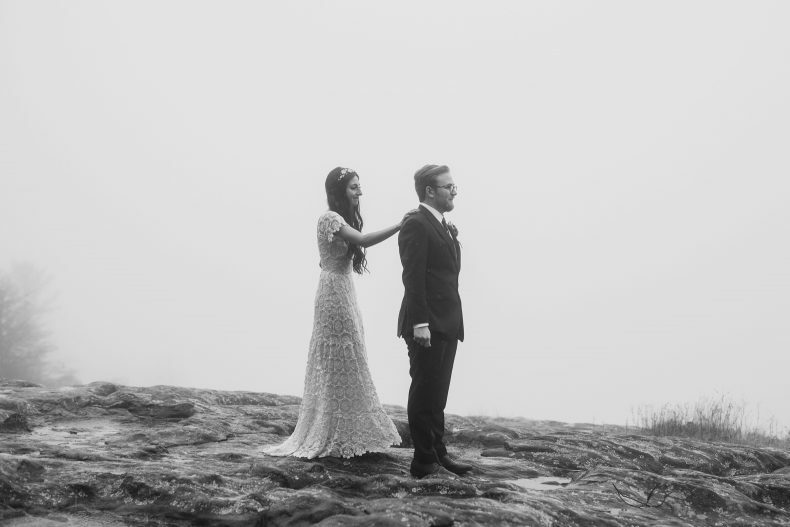 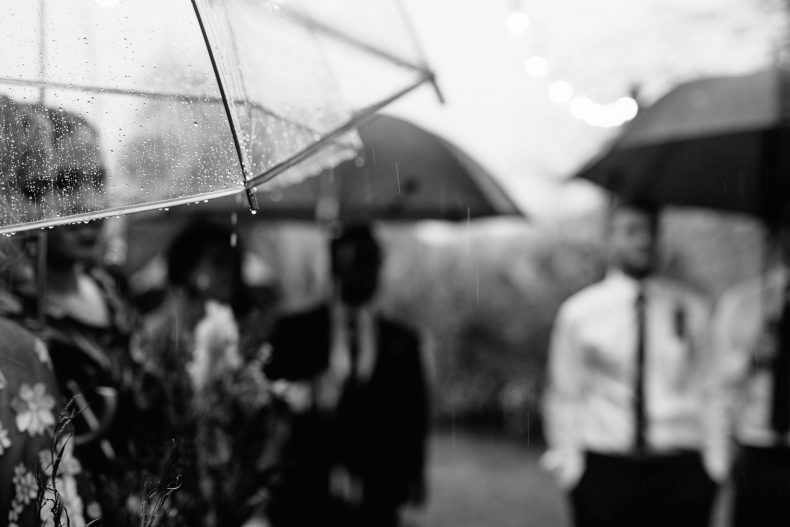 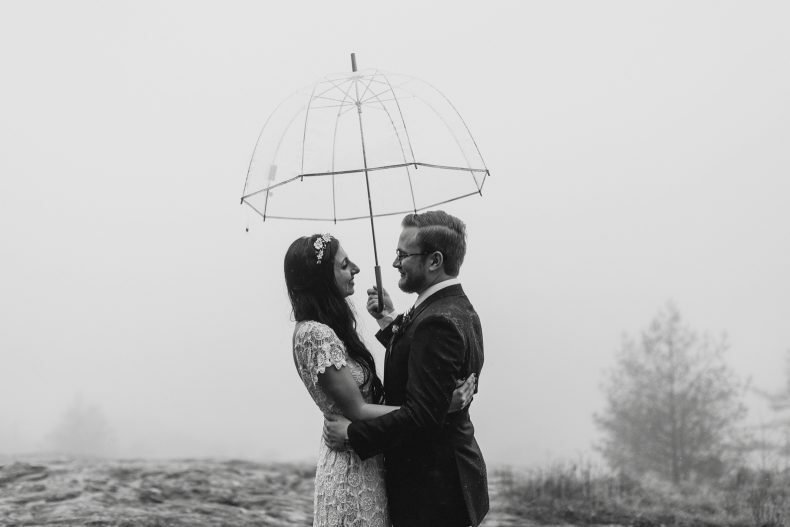 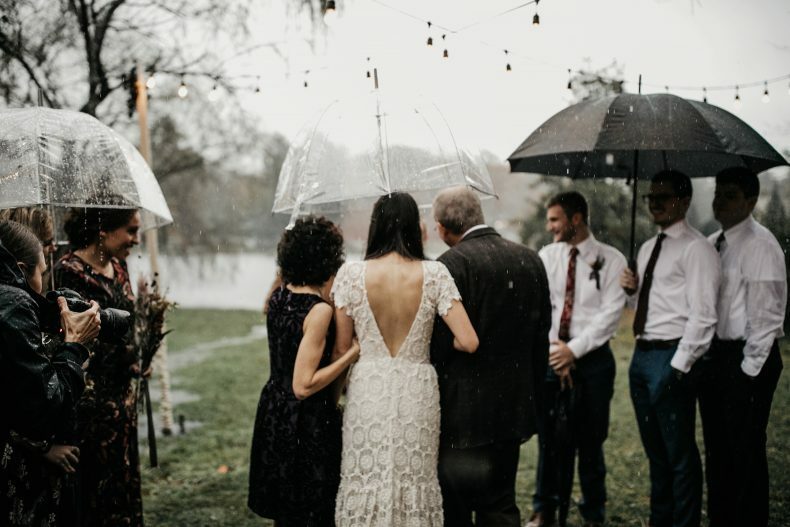 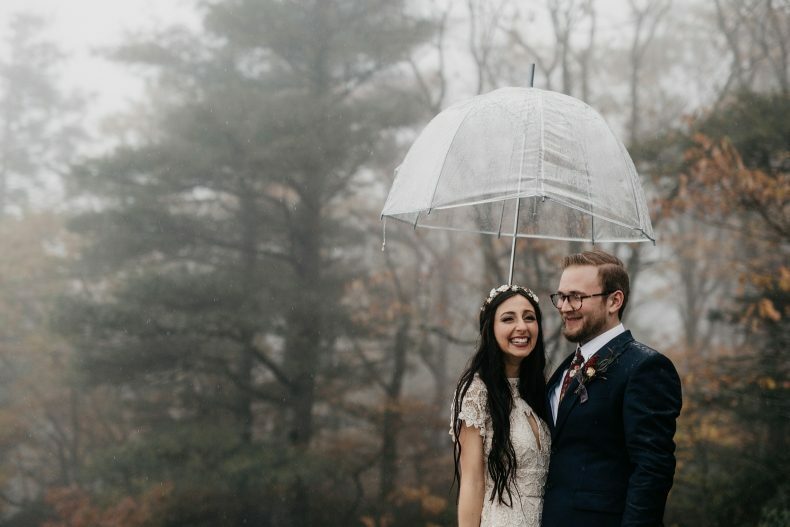 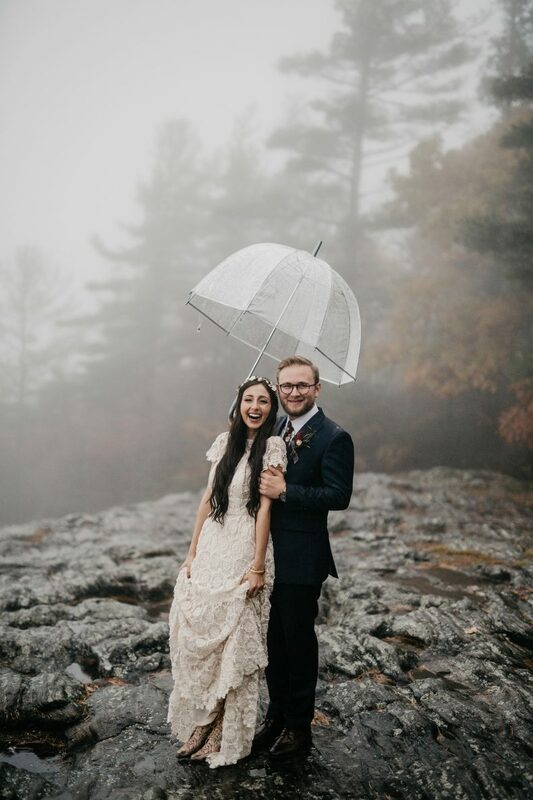 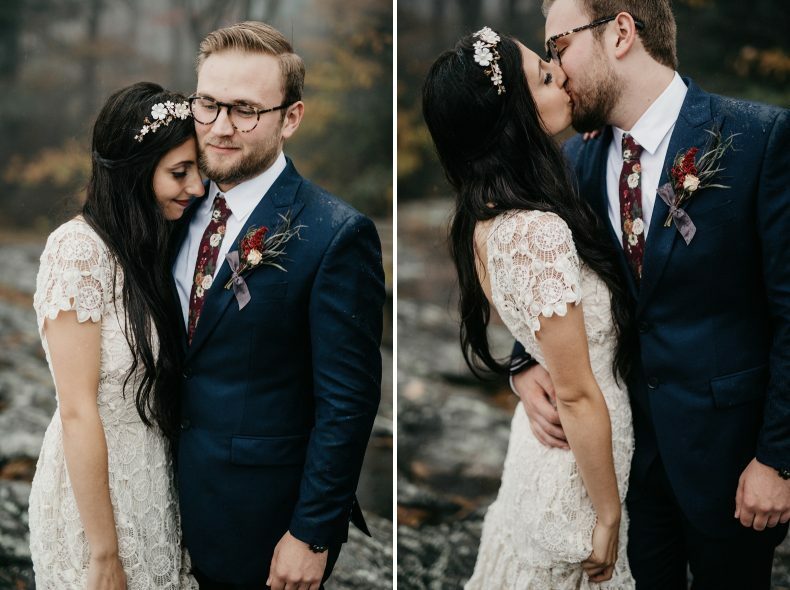 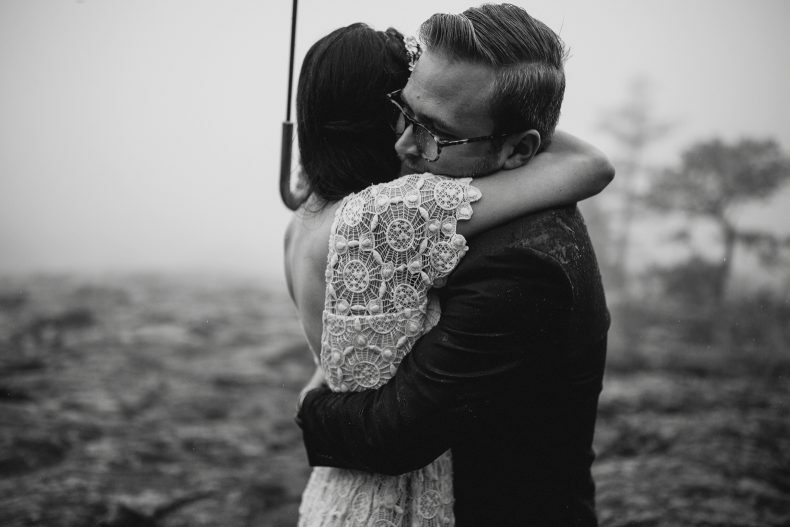 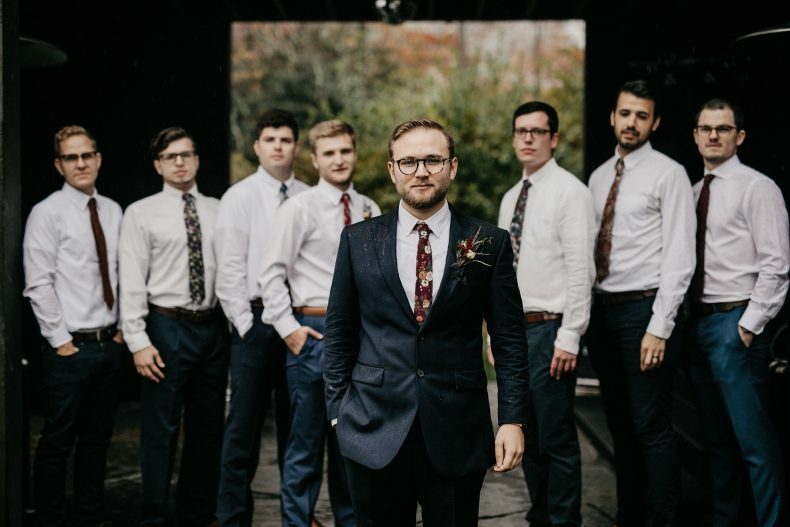 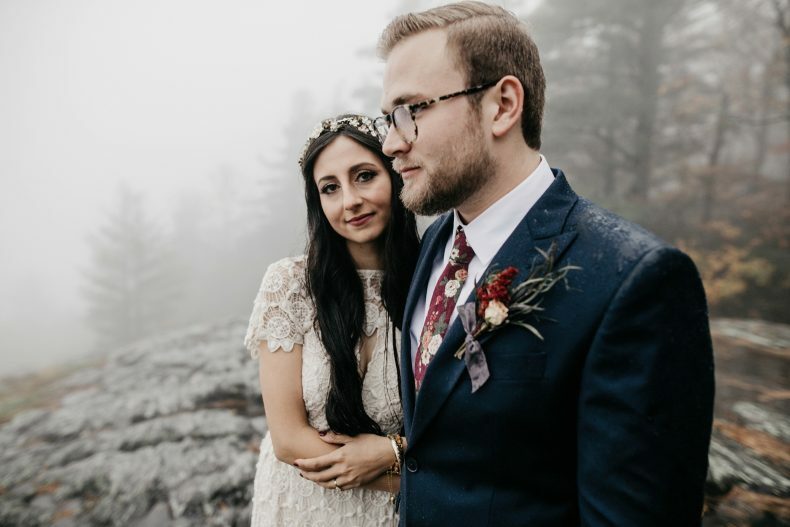 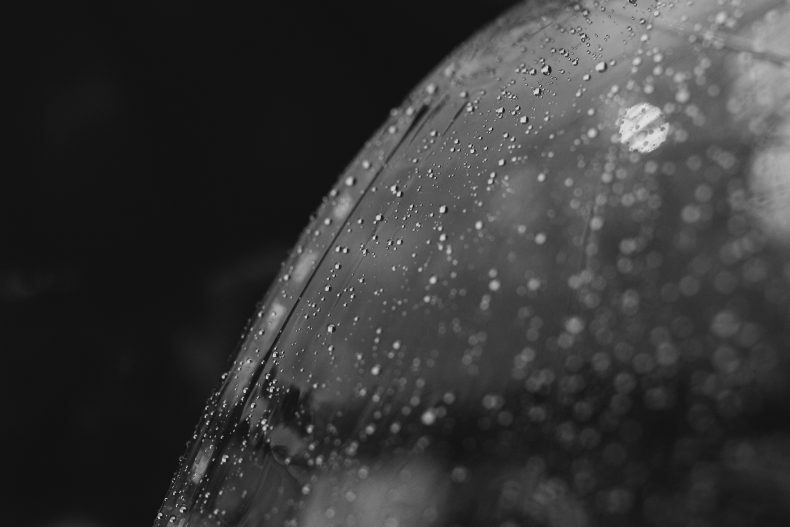 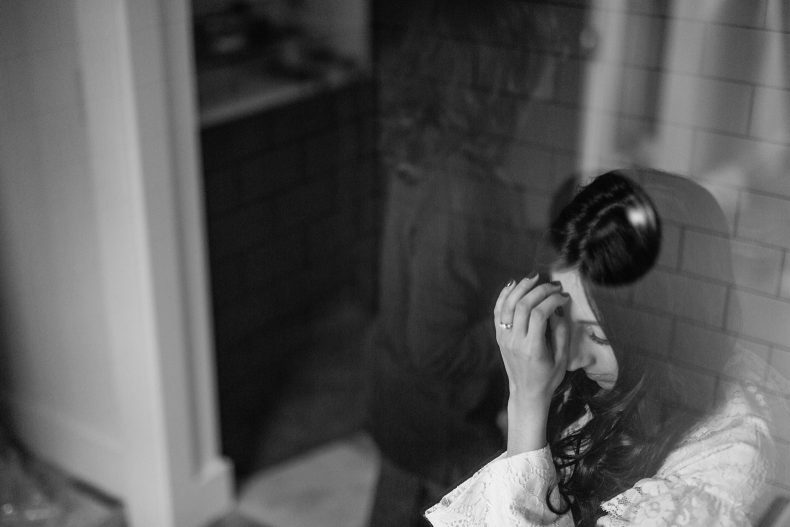 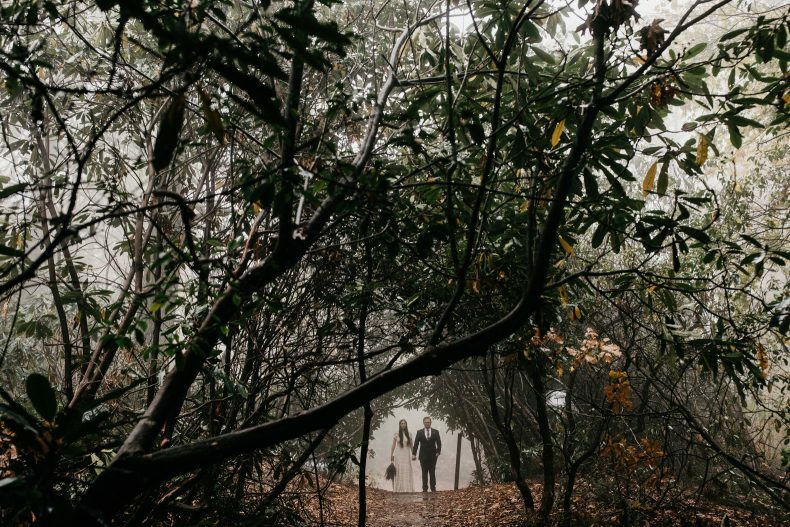 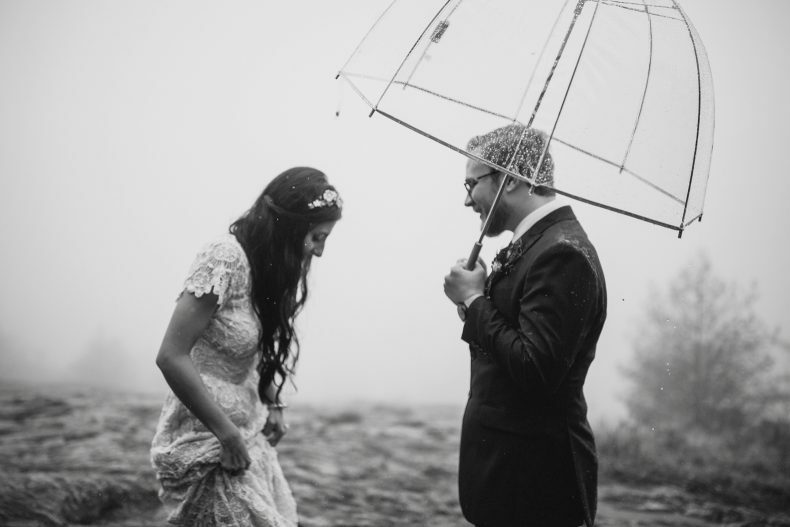 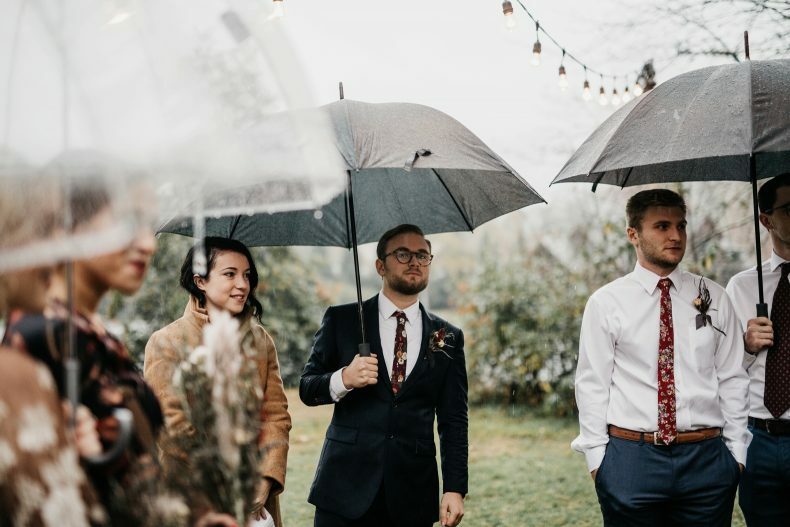 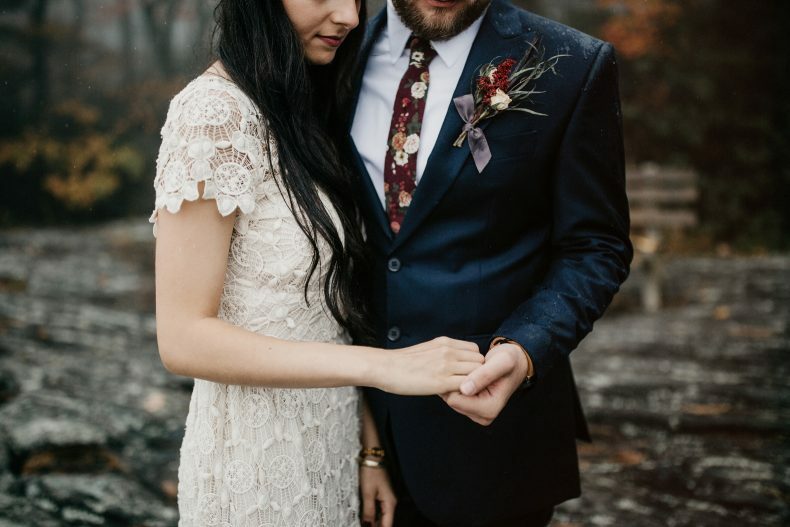 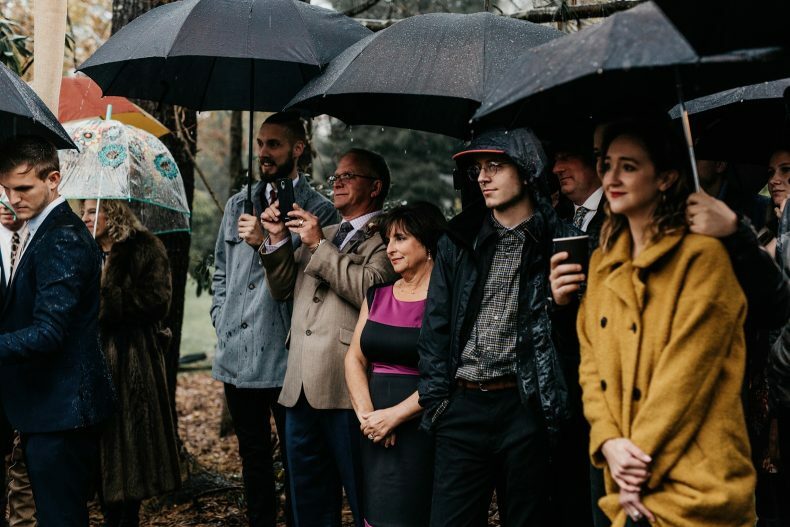 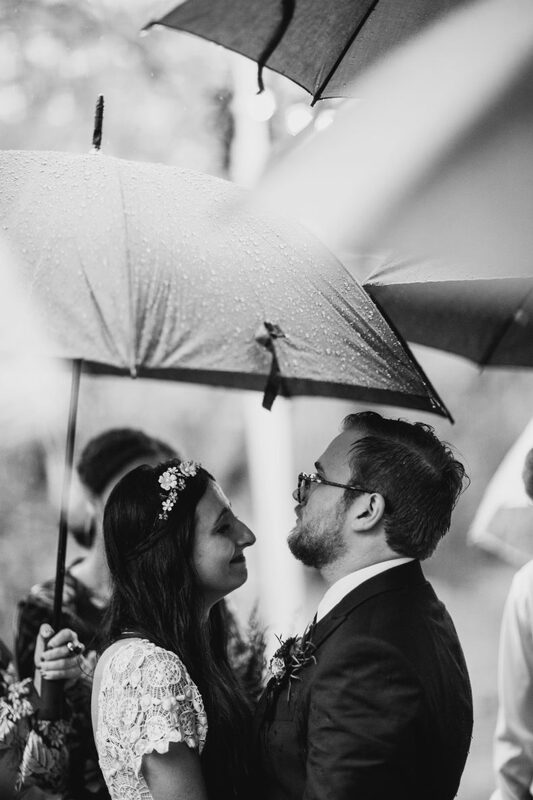 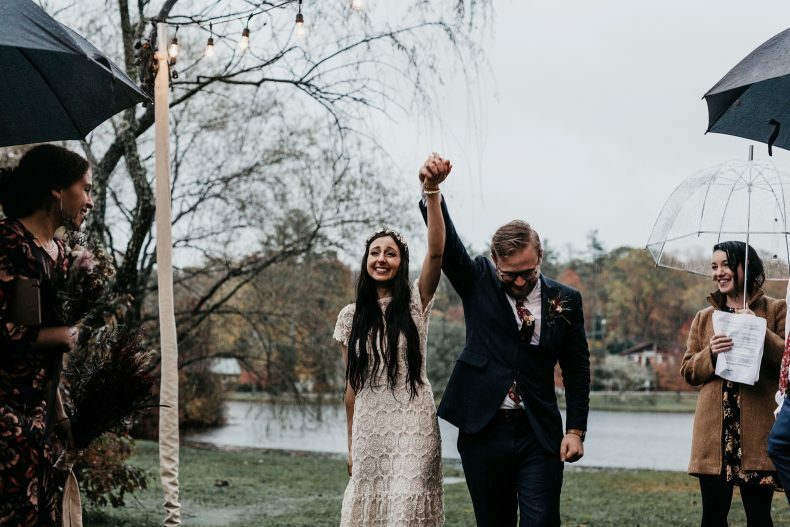 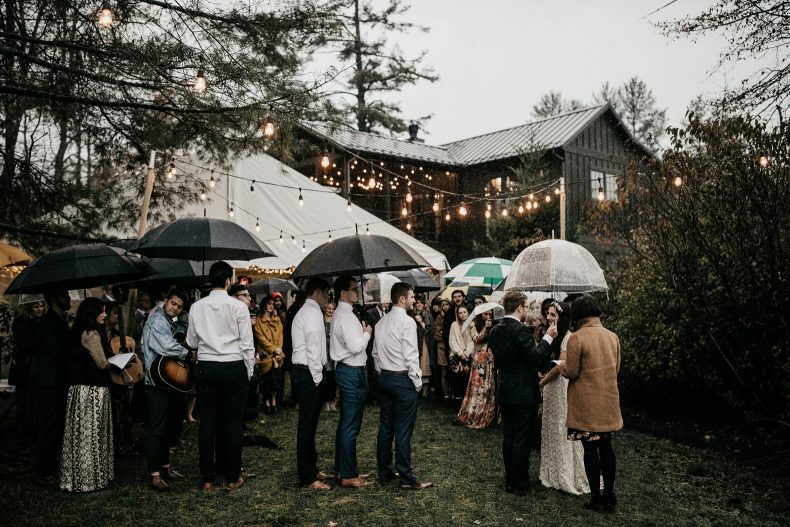 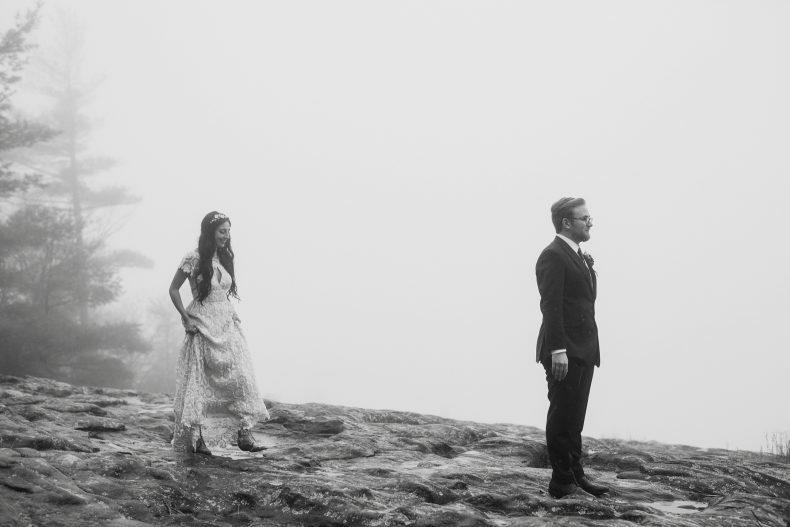 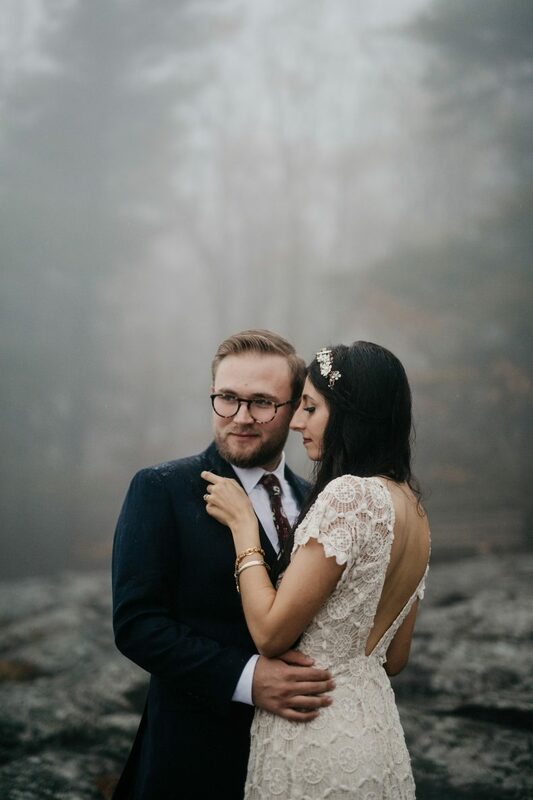 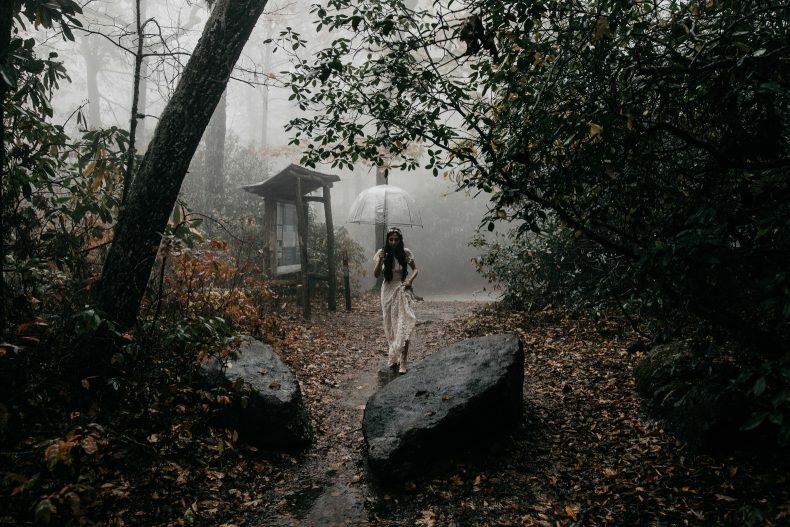 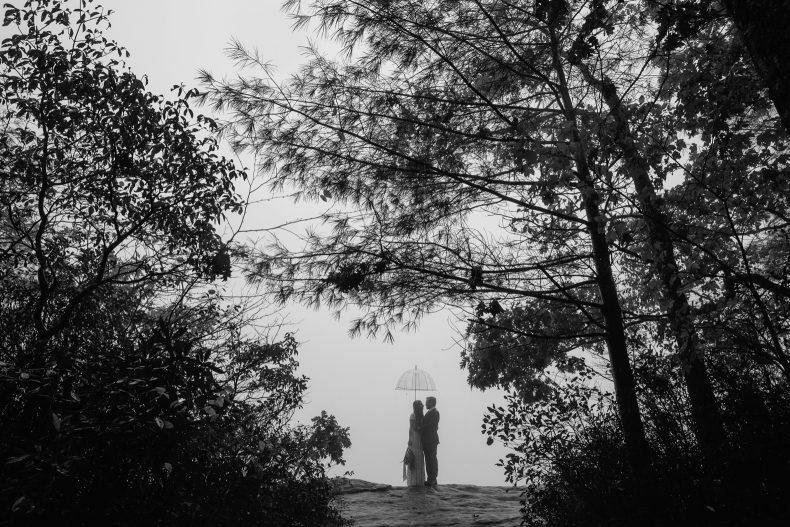 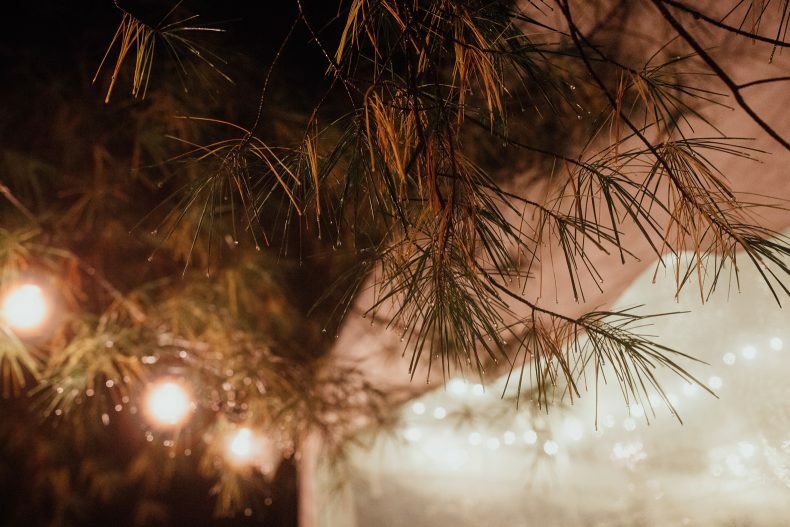 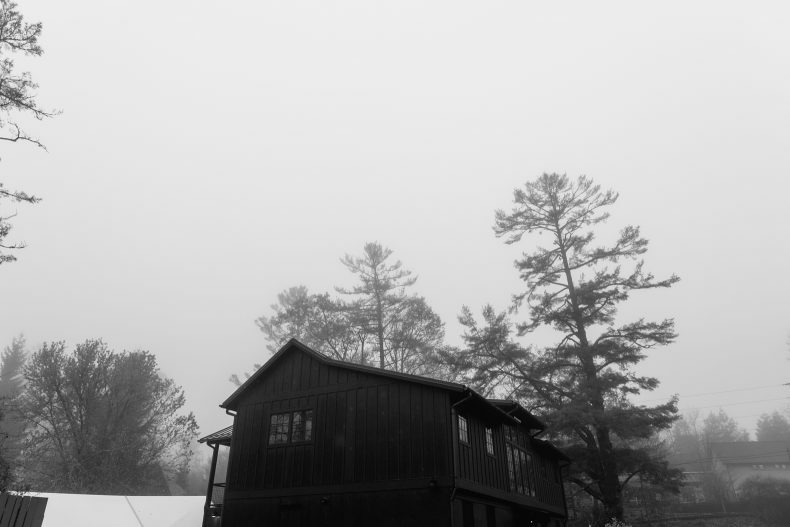 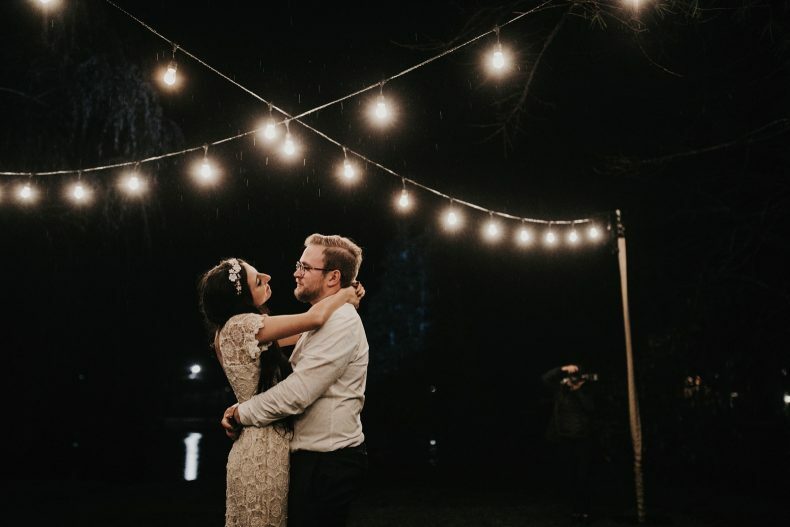 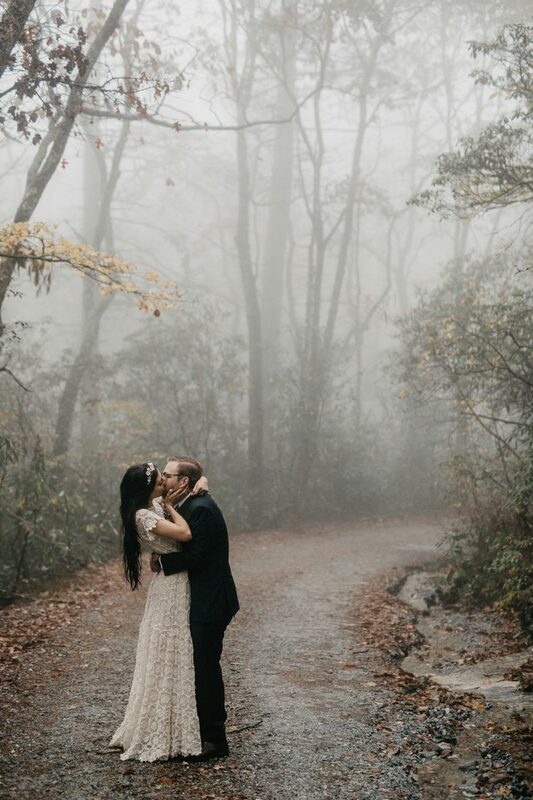 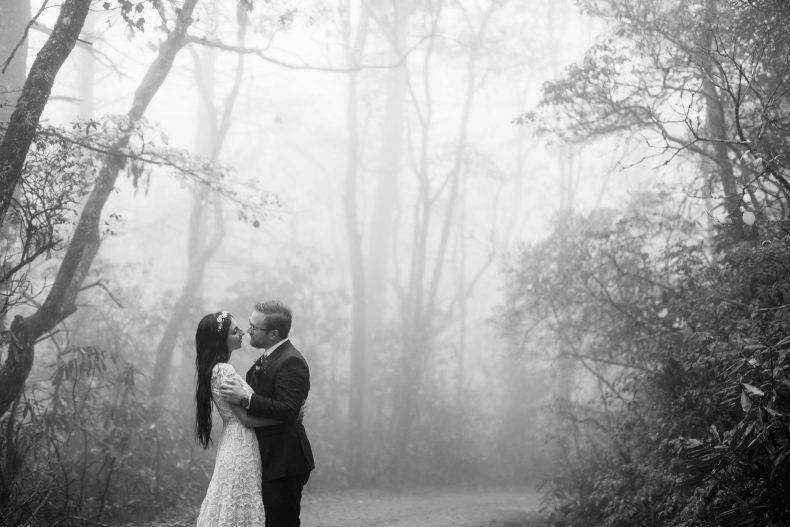 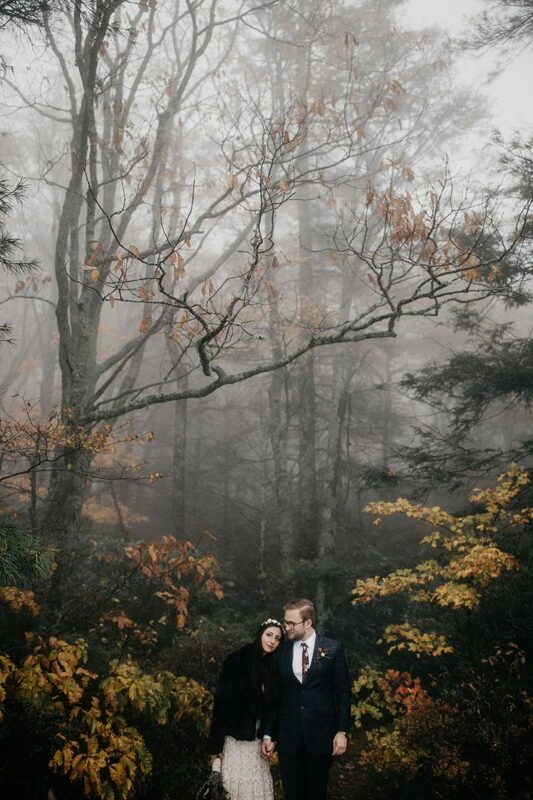 We’ve been so excited to share images from this beautiful, rainy, Highlands, North Carolina wedding. 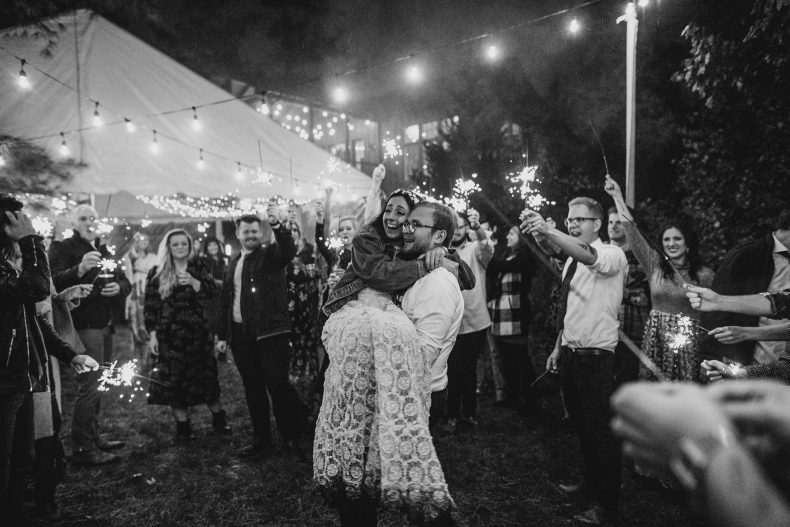 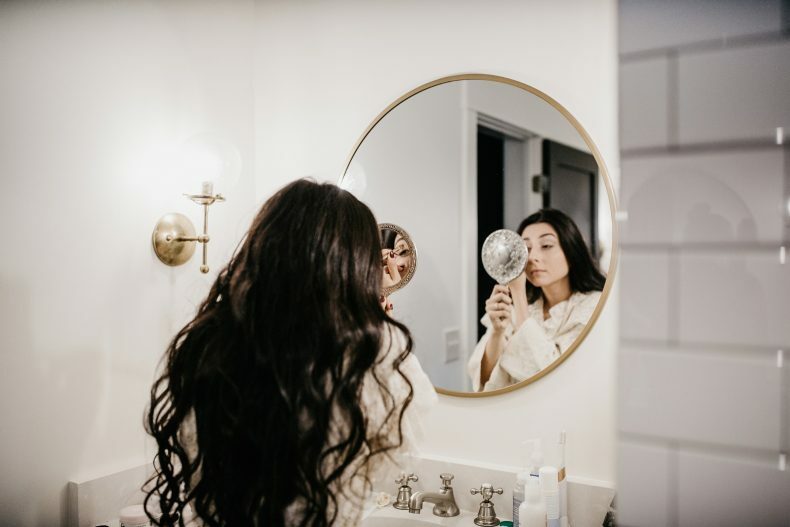 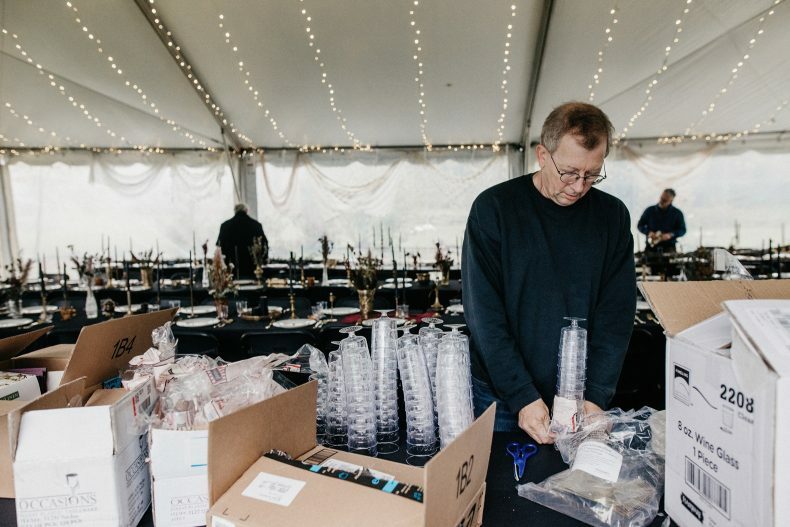 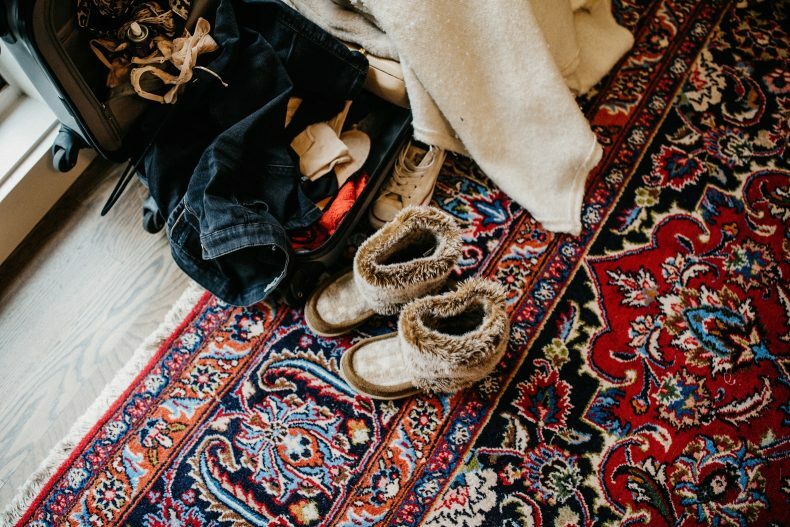 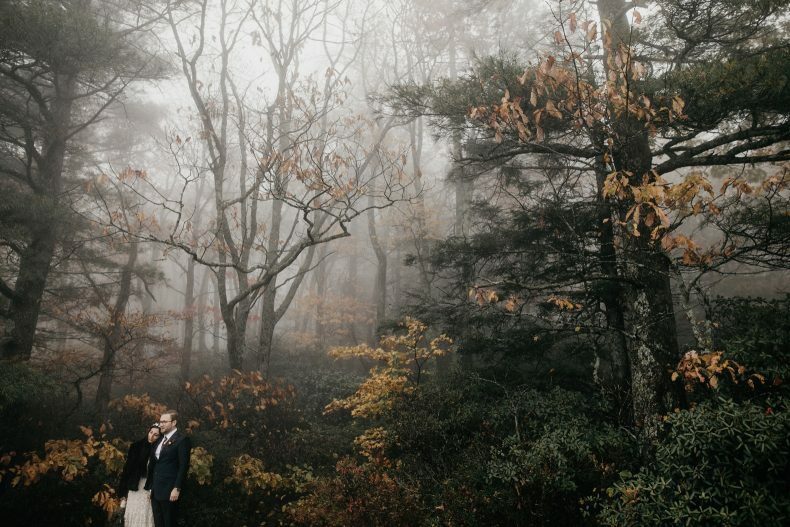 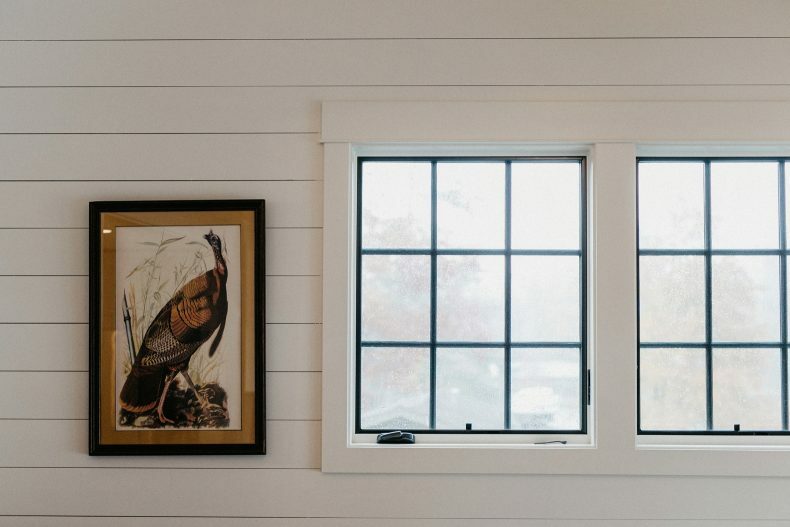 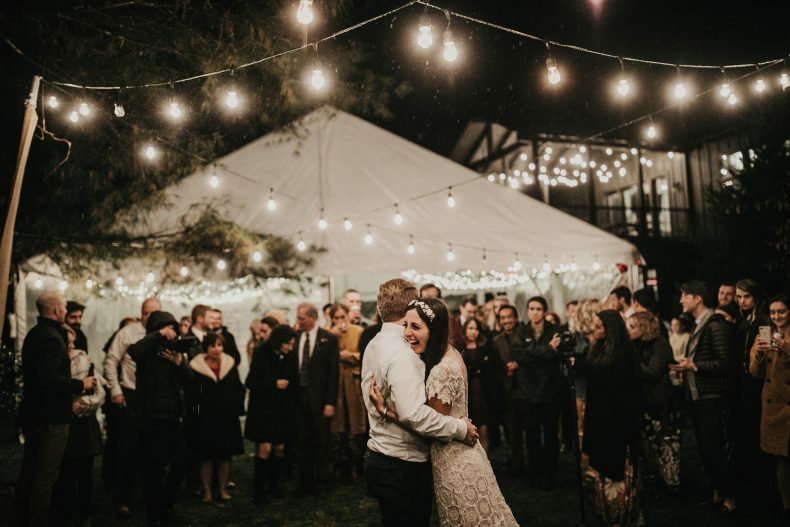 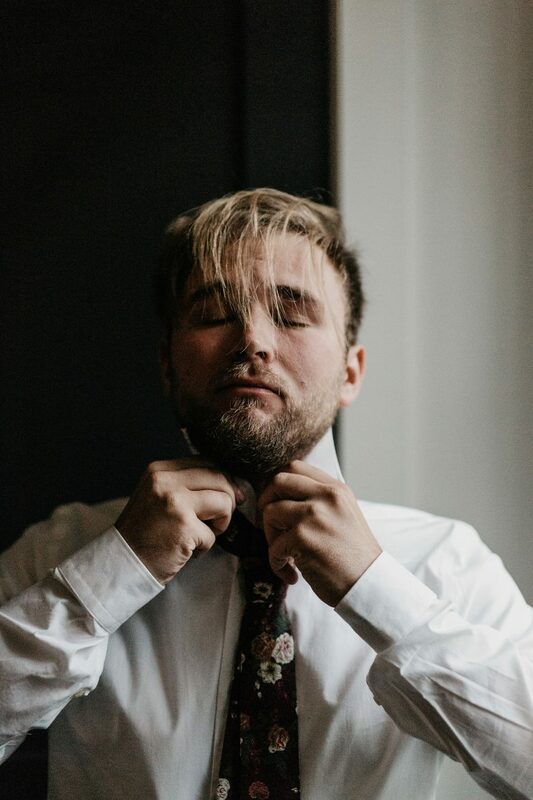 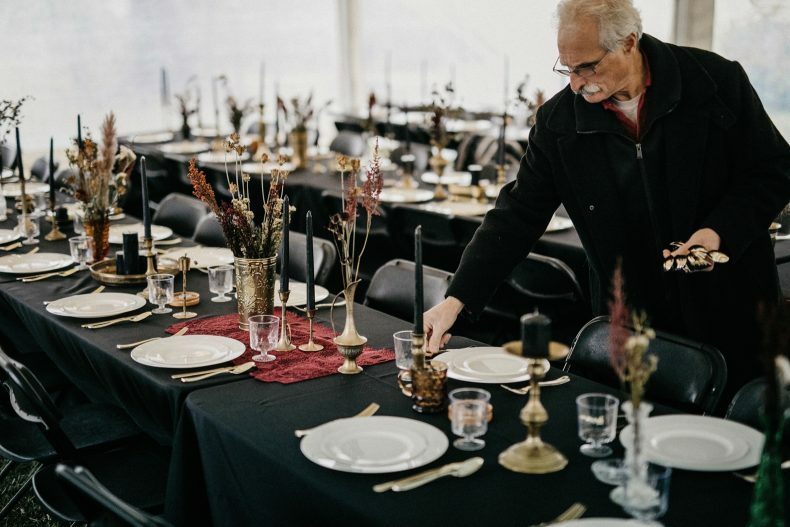 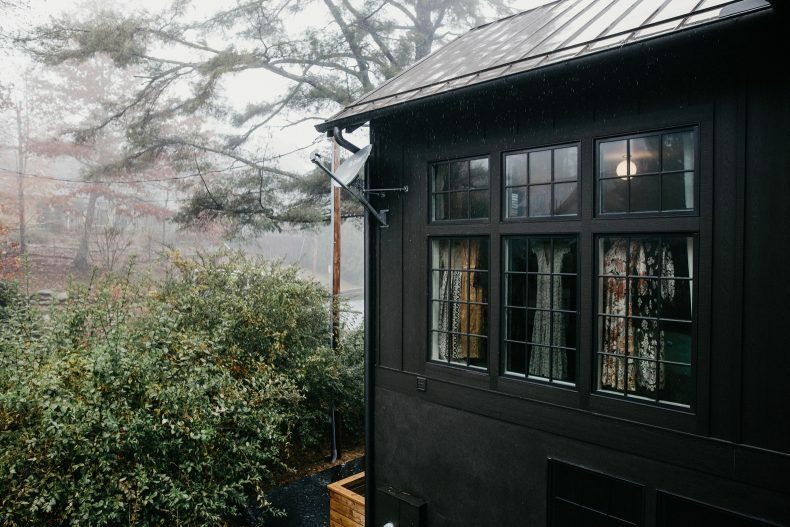 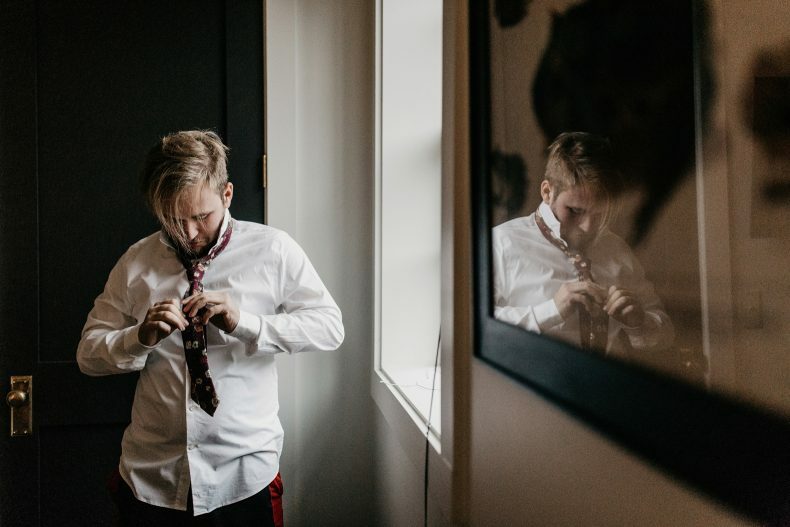 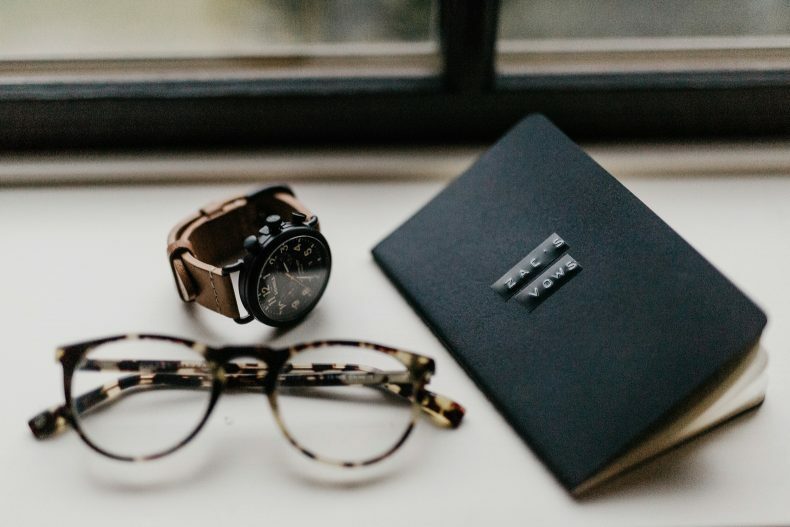 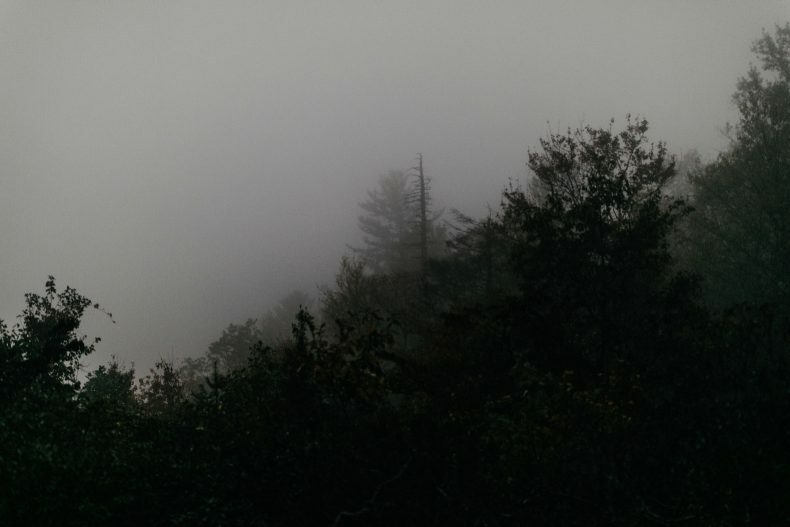 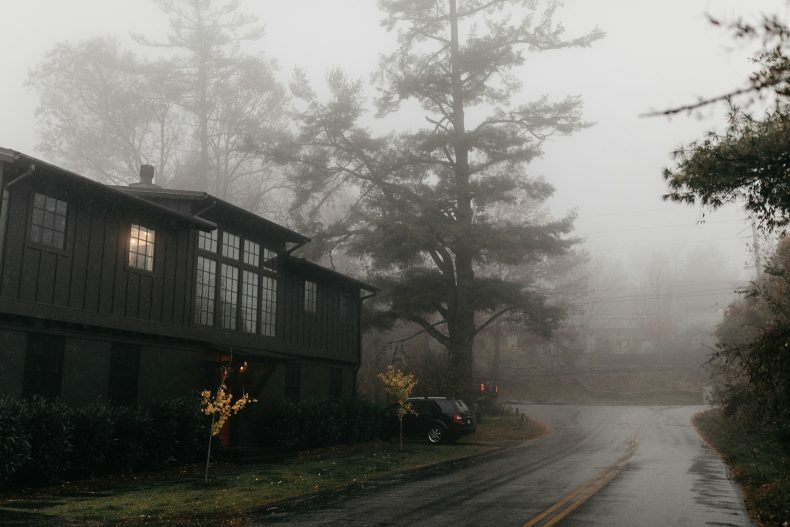 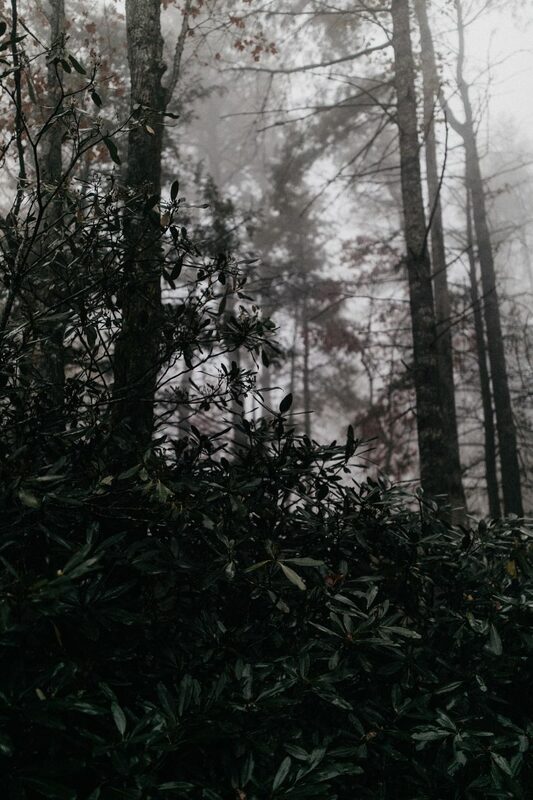 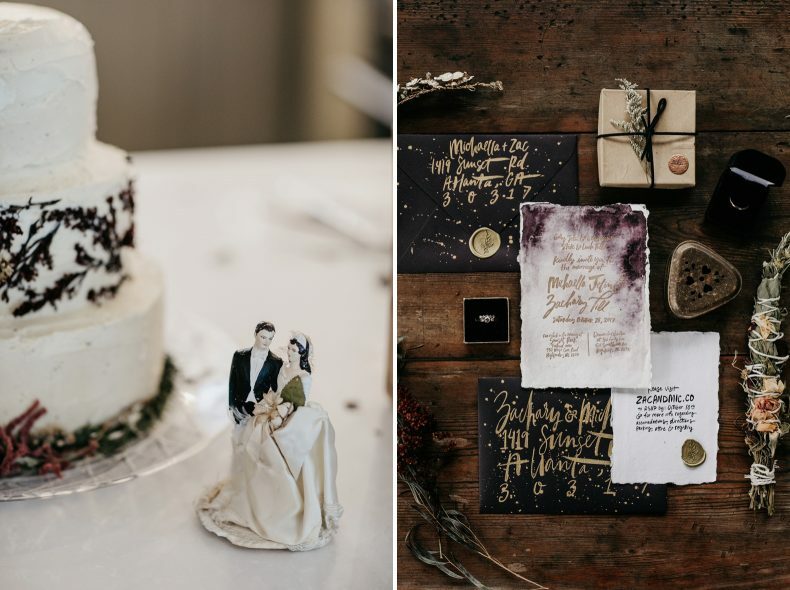 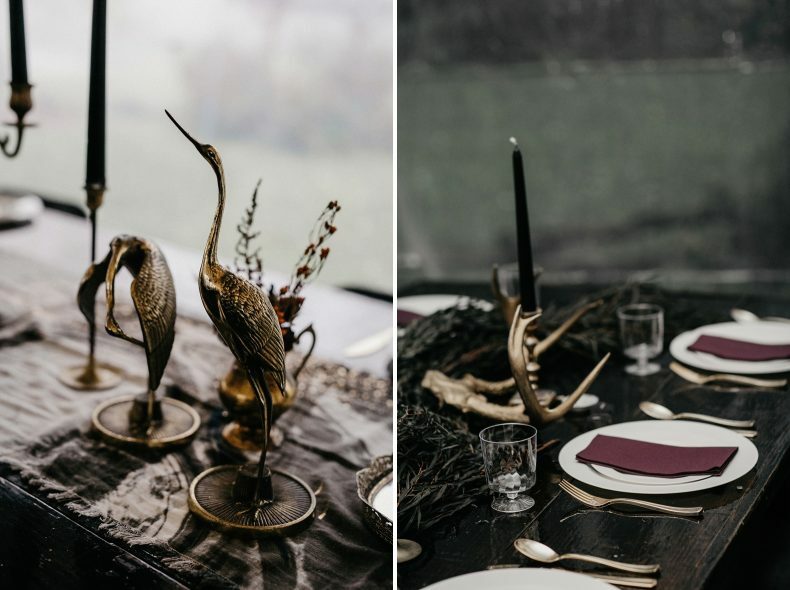 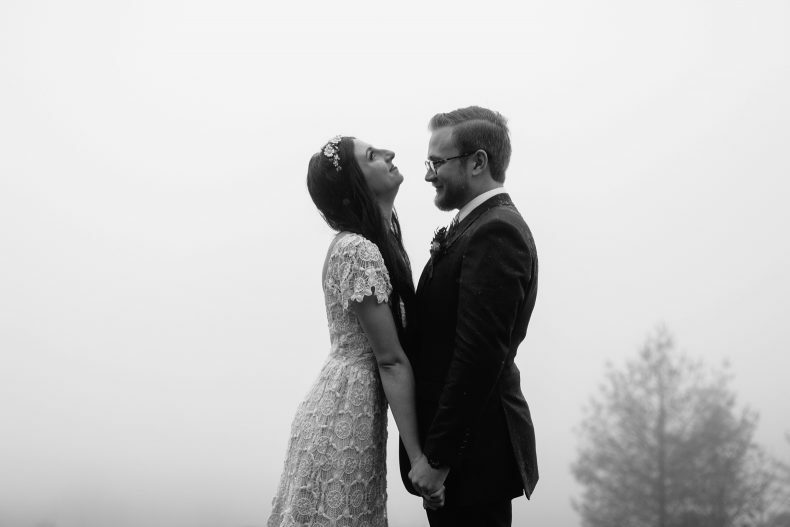 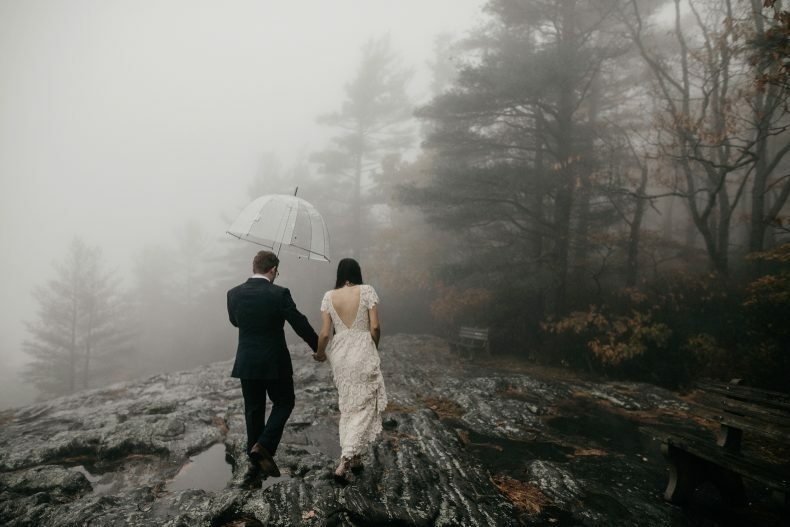 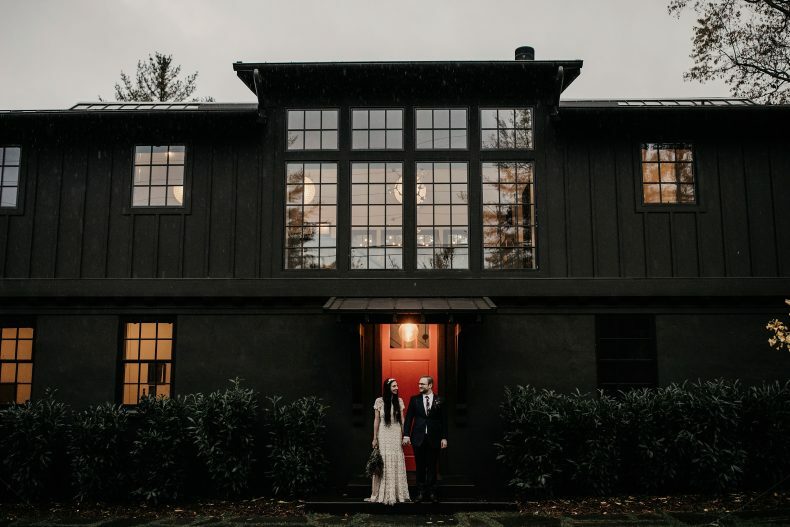 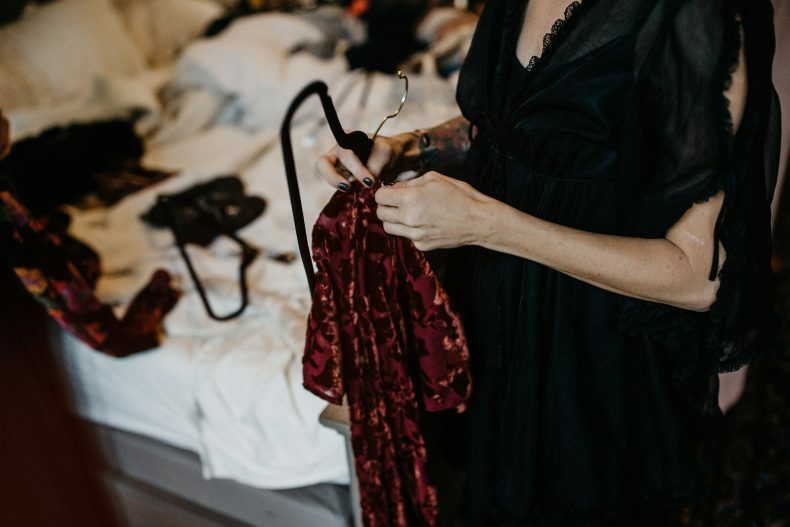 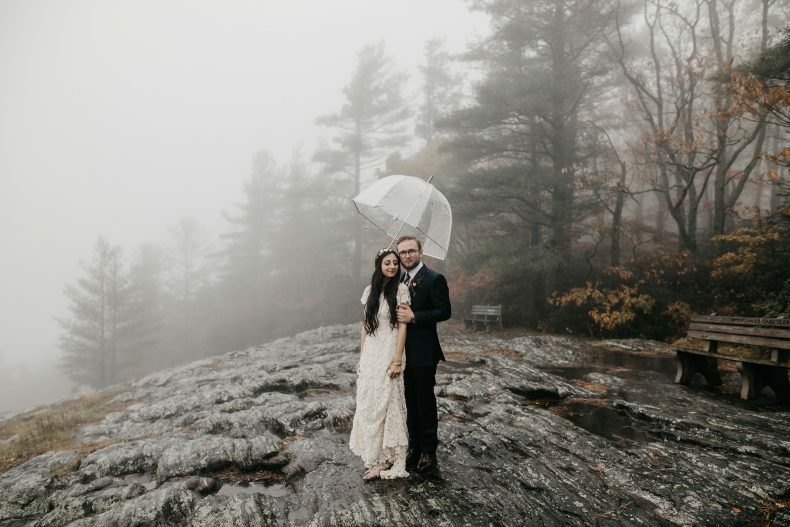 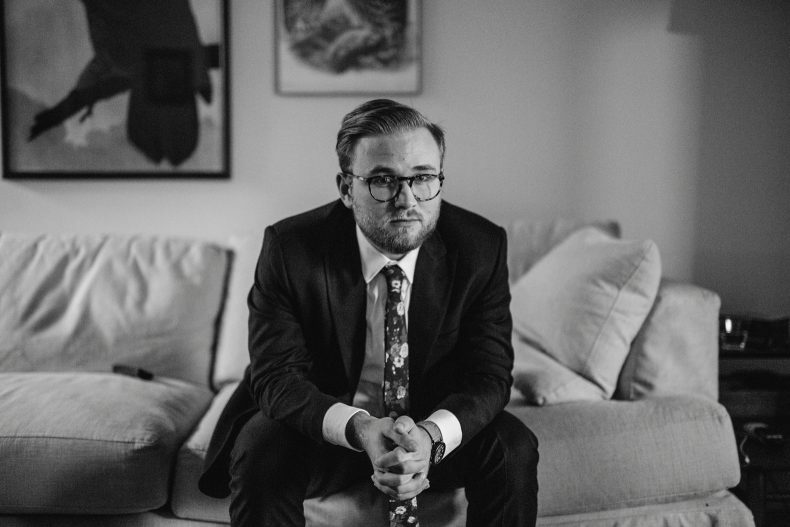 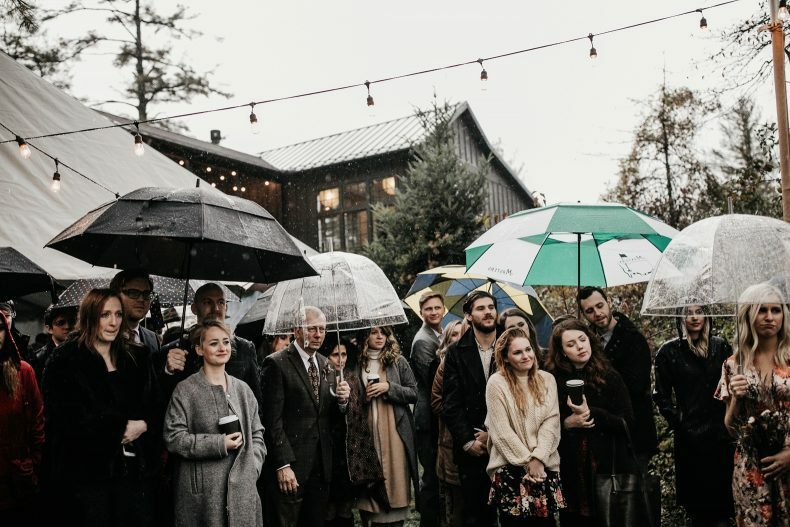 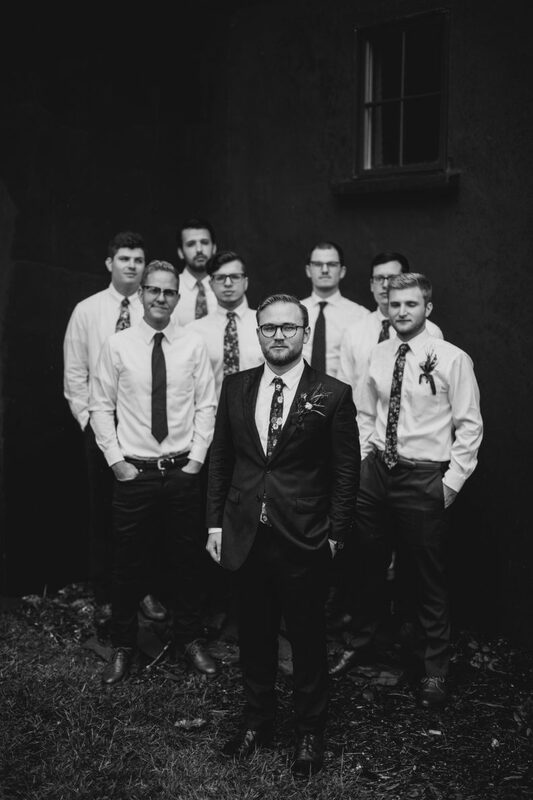 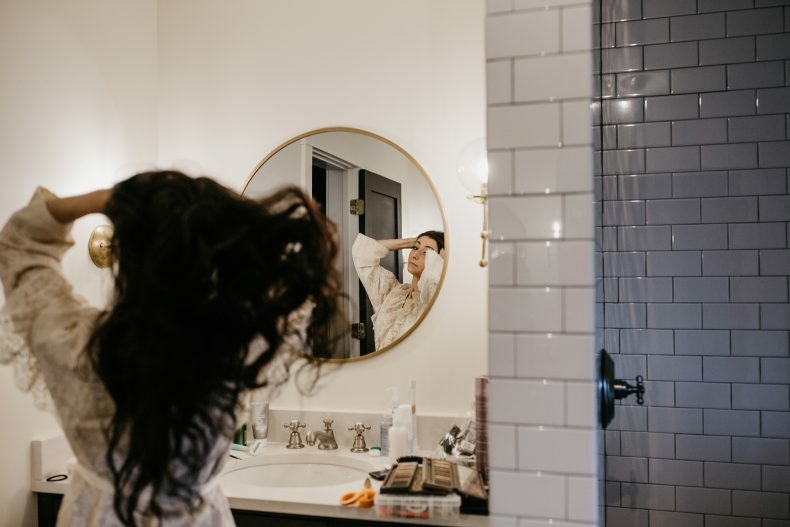 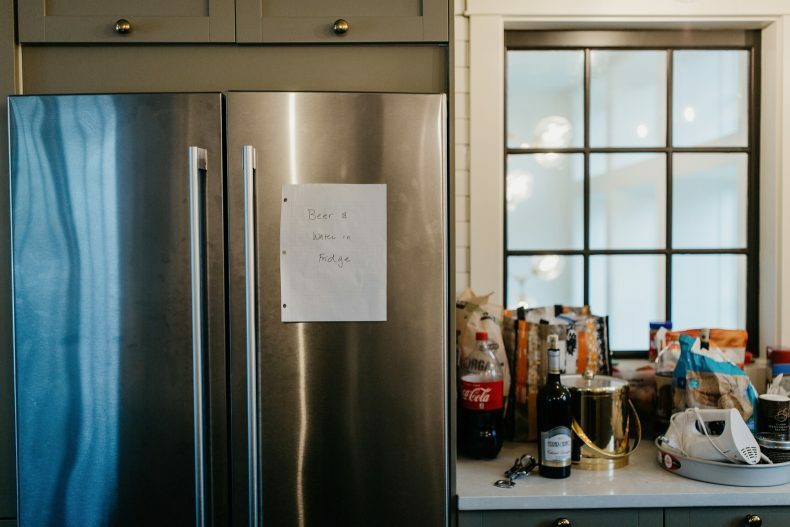 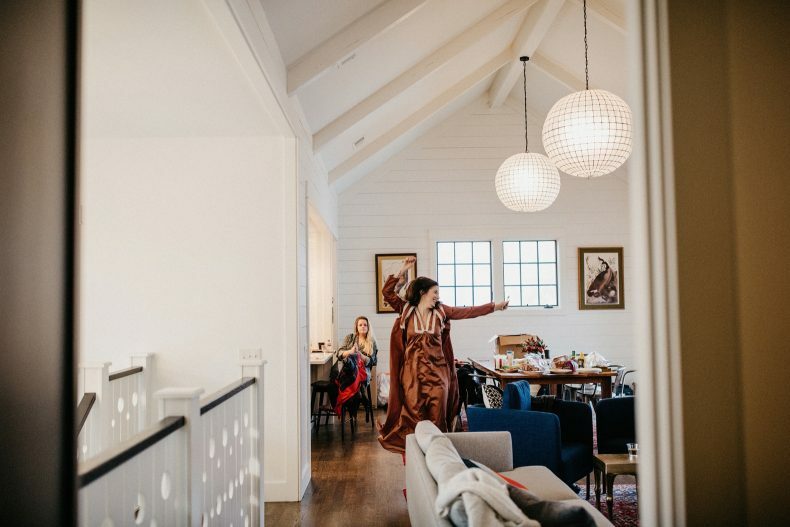 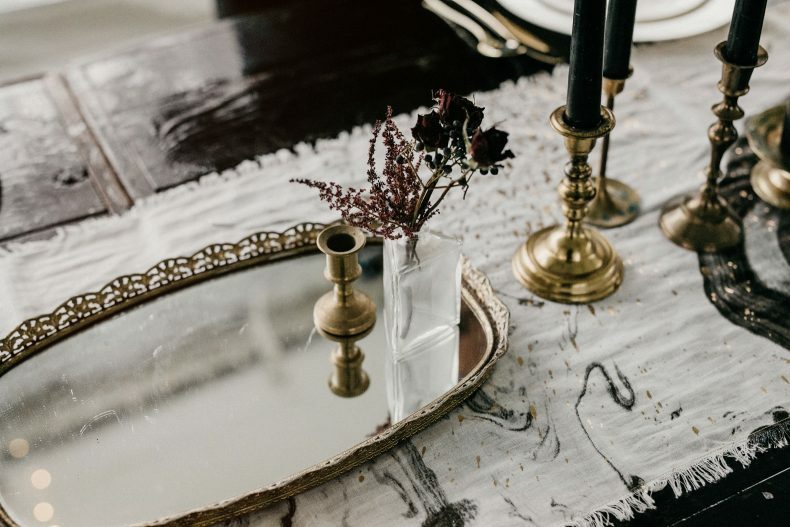 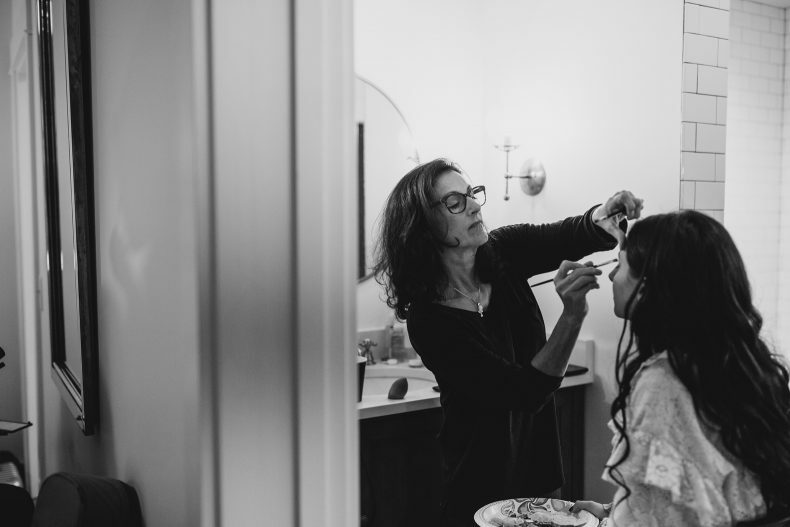 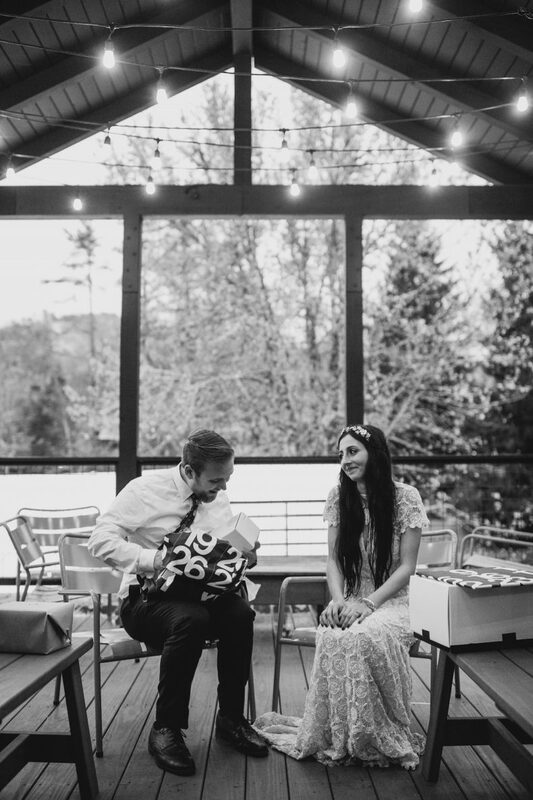 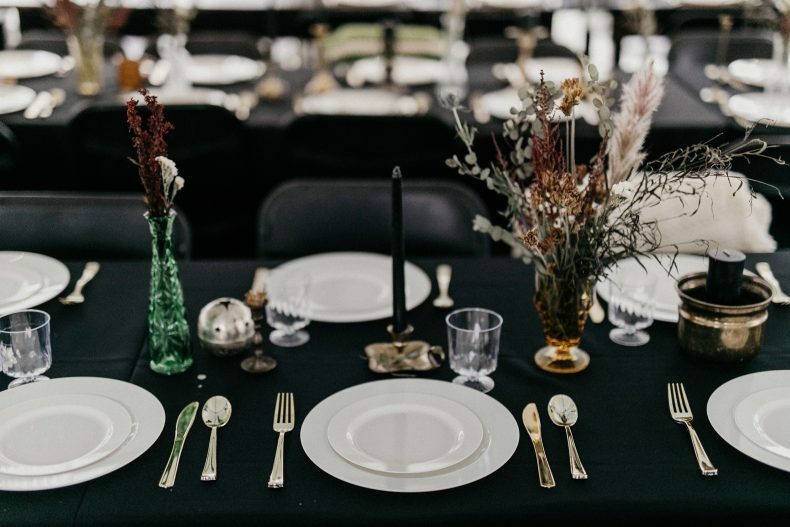 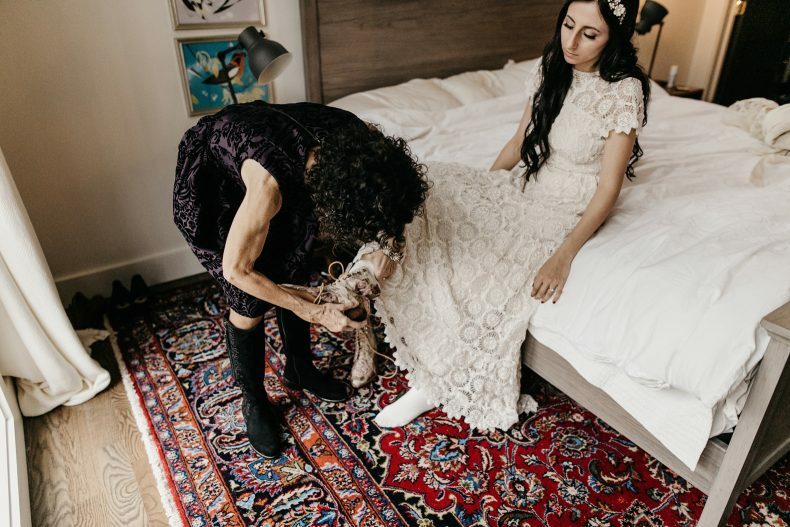 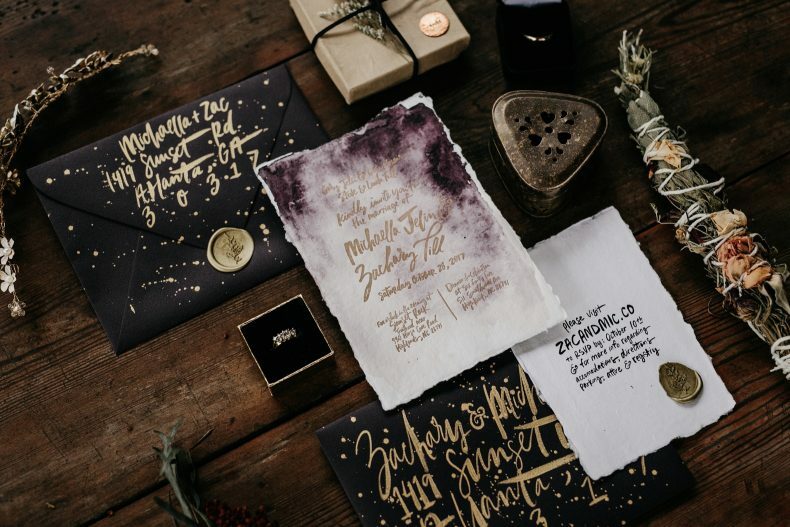 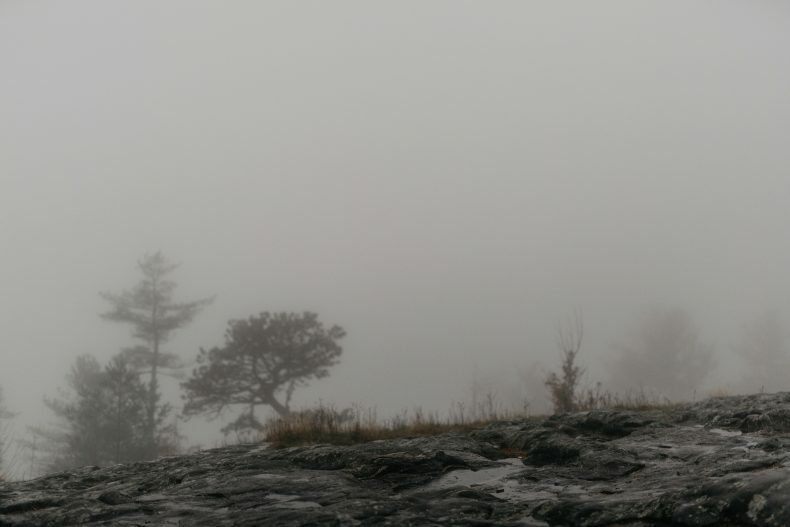 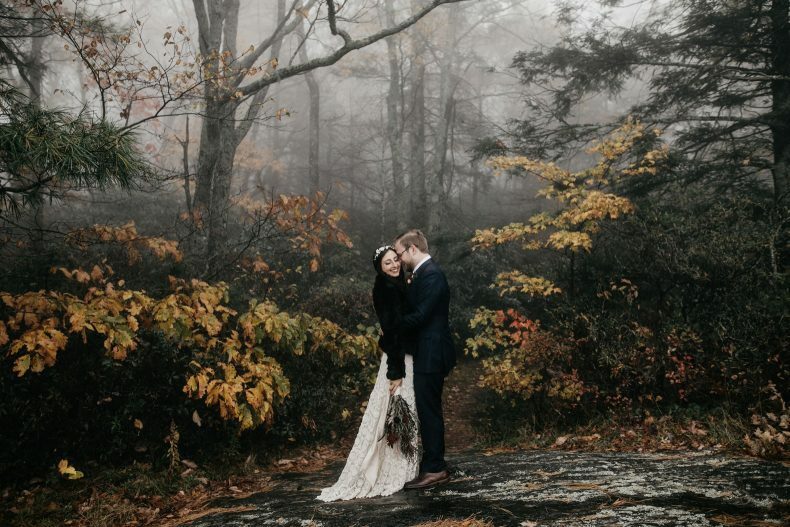 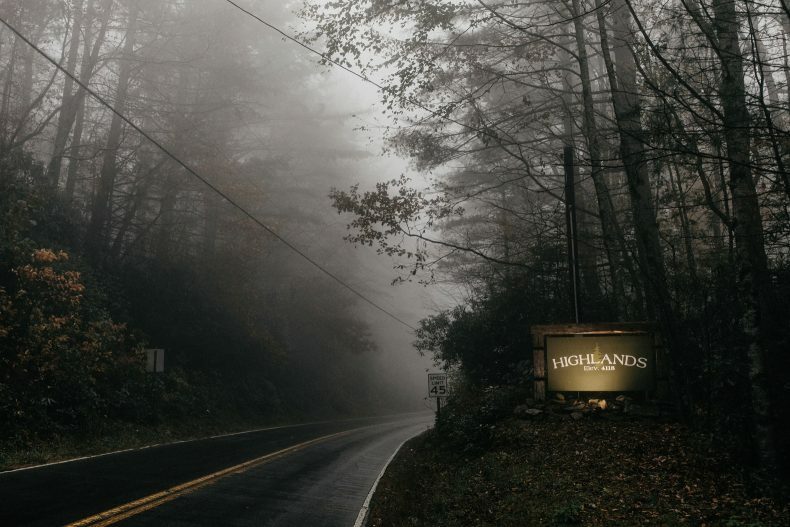 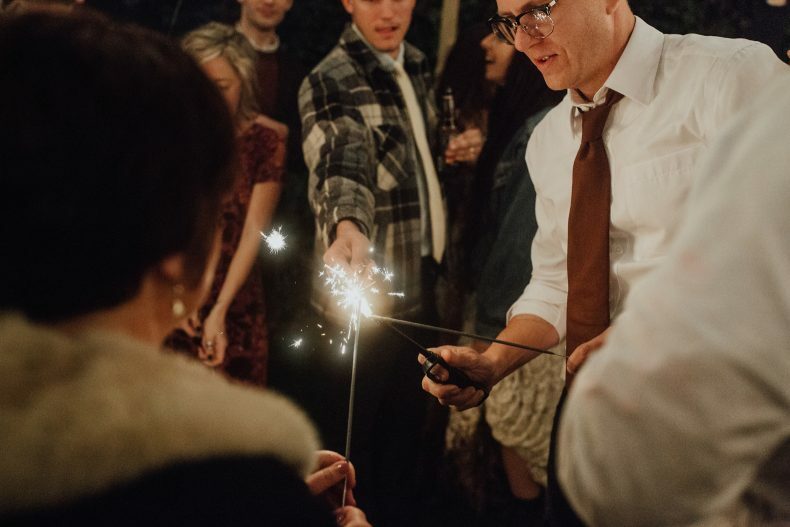 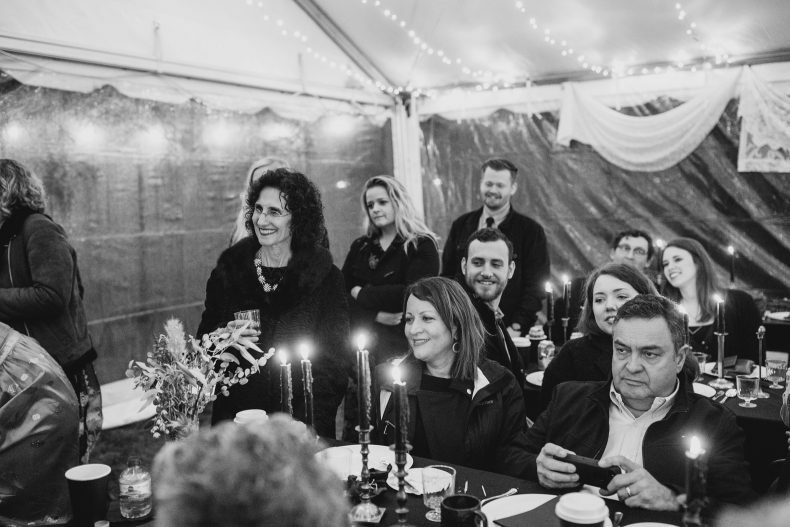 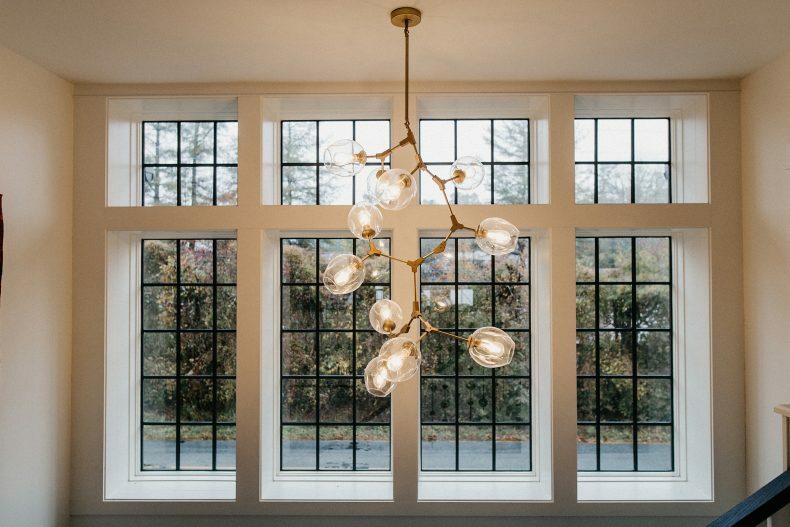 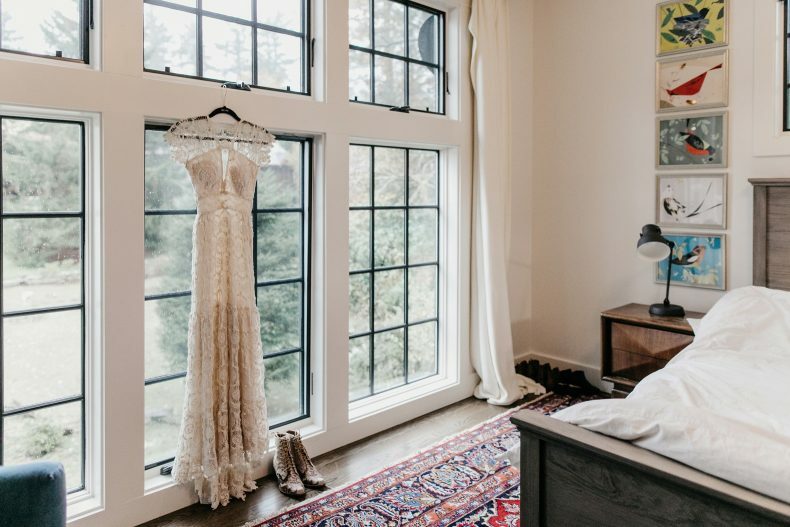 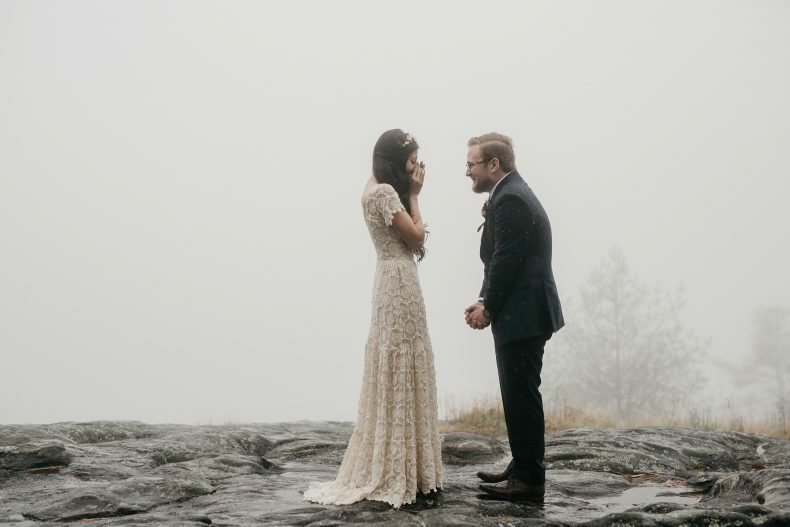 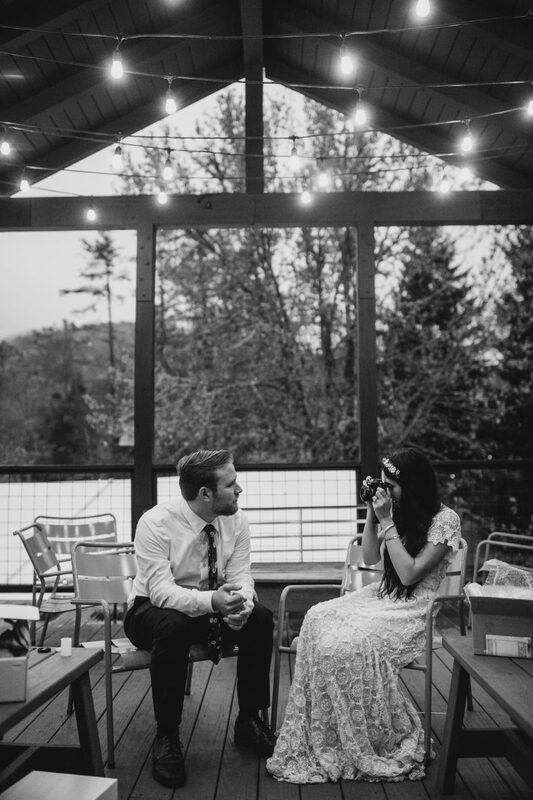 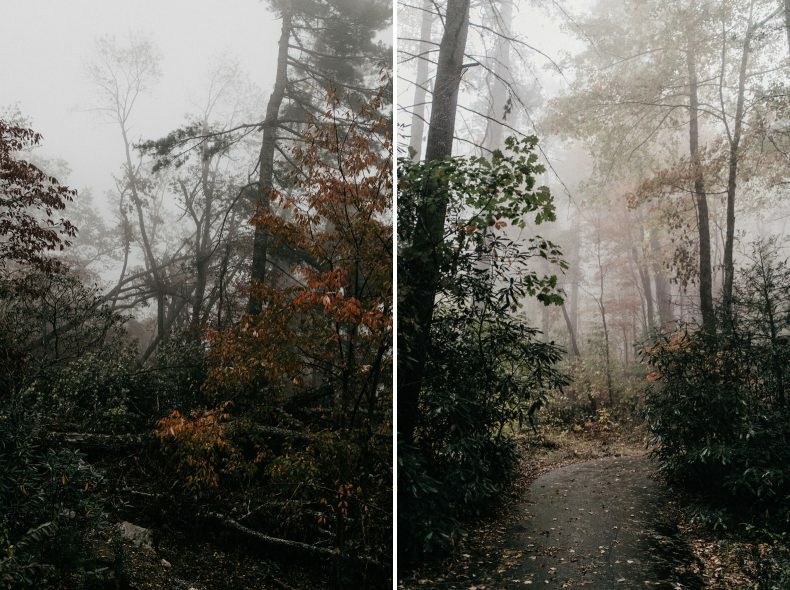 We woke up in the Highlands, opened the shade and almost jumped out of our skin when we saw the thick fog that settled in this quaint mountain town – certainly not the type of weather you’d expect to see for a fall wedding, but what a welcomed surprise. 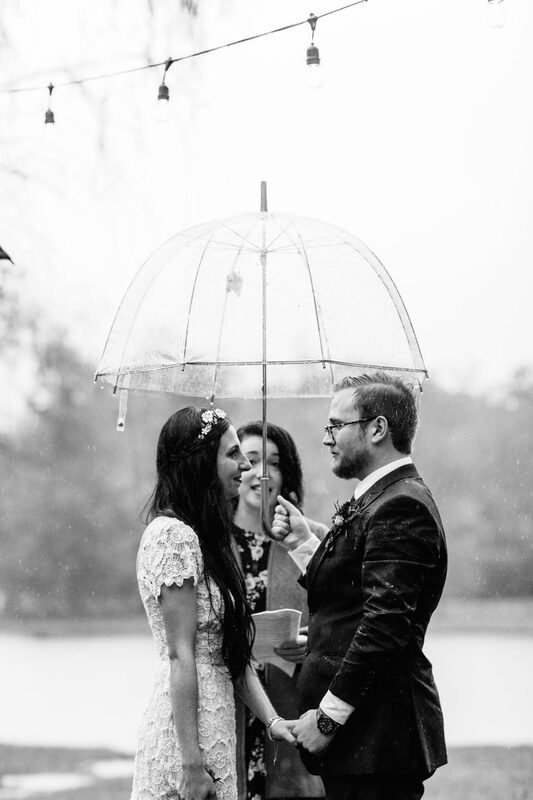 In the days leading up to Michaella & Zac’s wedding, every single weather app was in agreement – 100% chance of rain. 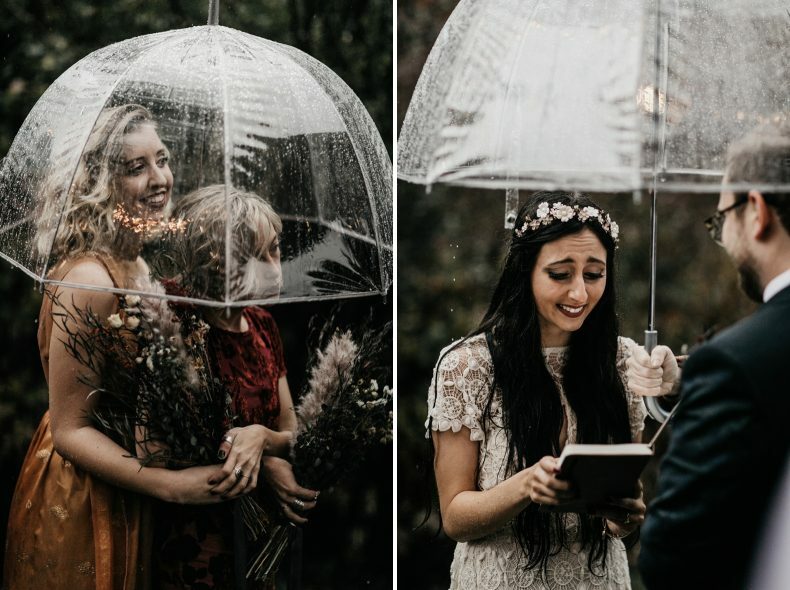 You’d think with plans for an outdoor wedding that might add some worry, but not with these two. 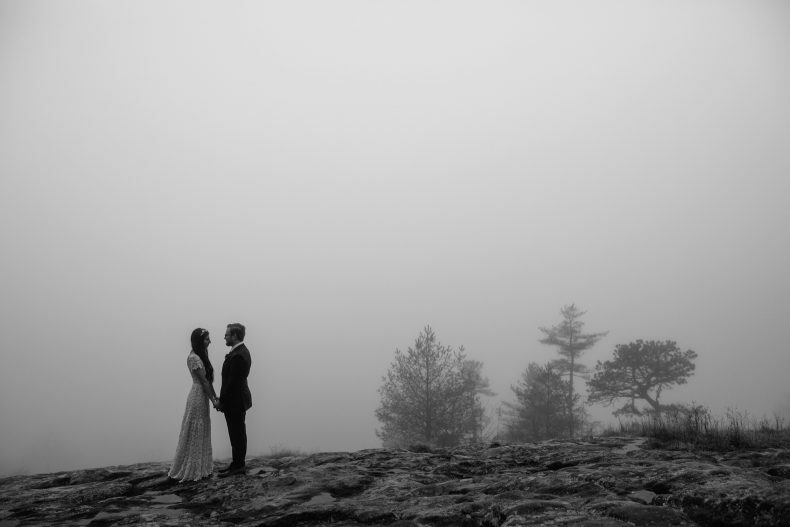 While scouting locations that morning we found ourselves on top of Sunset Rock wrapped in fog and knew we had to set up the first look here. 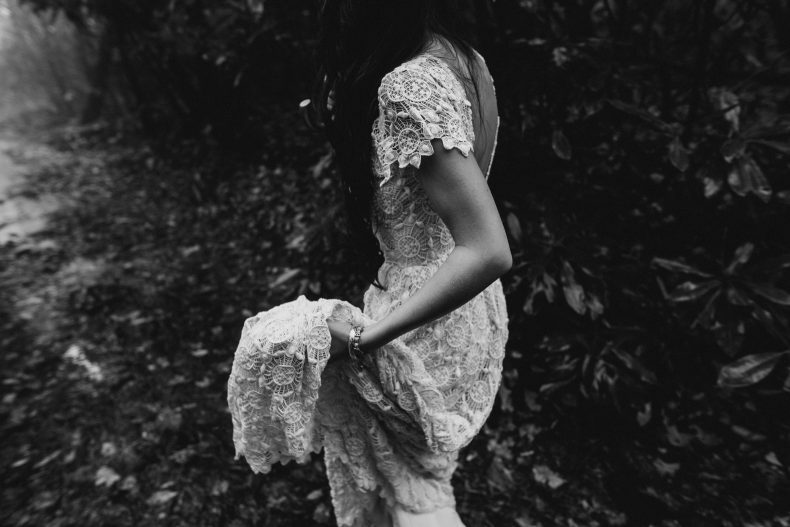 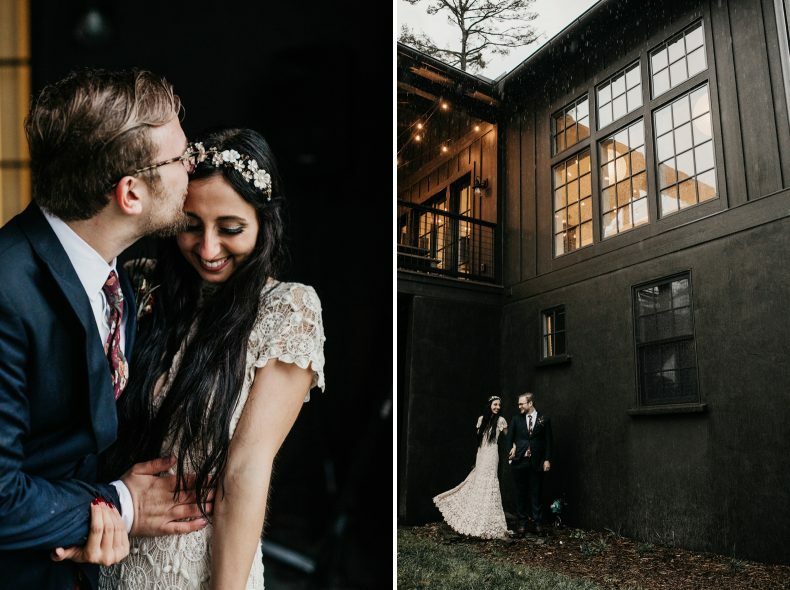 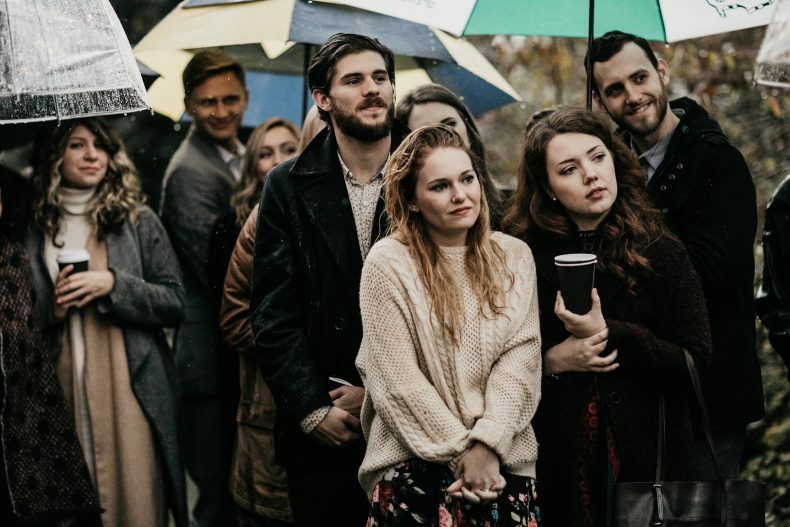 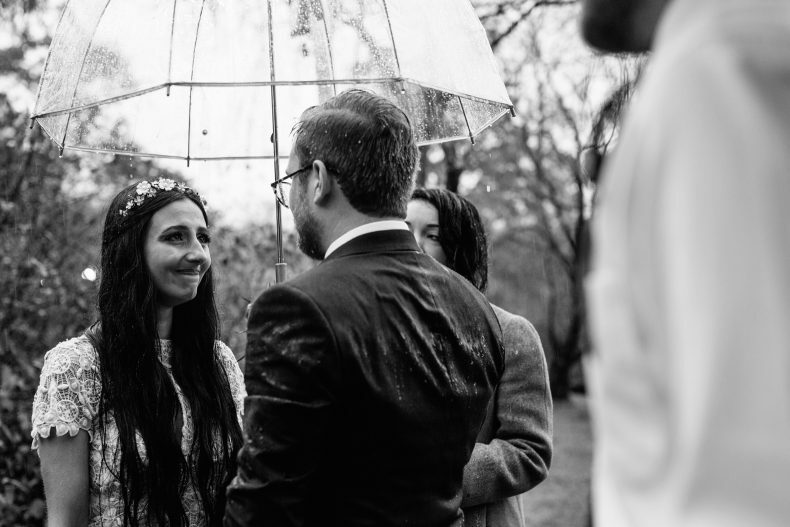 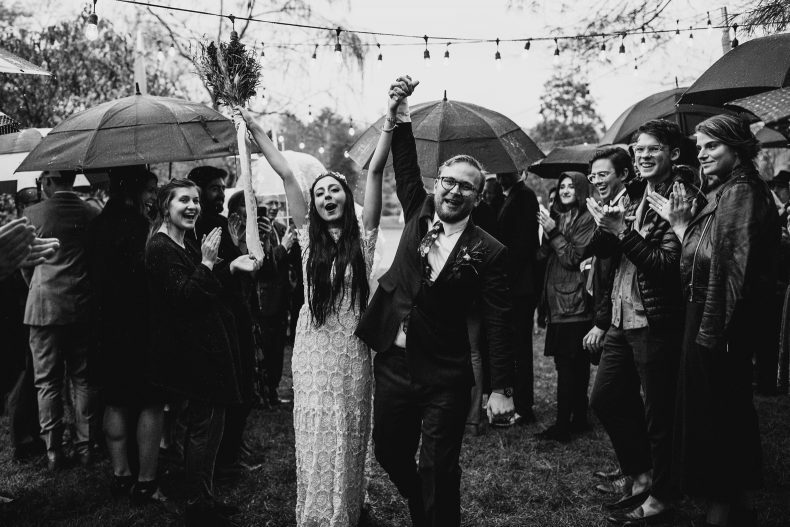 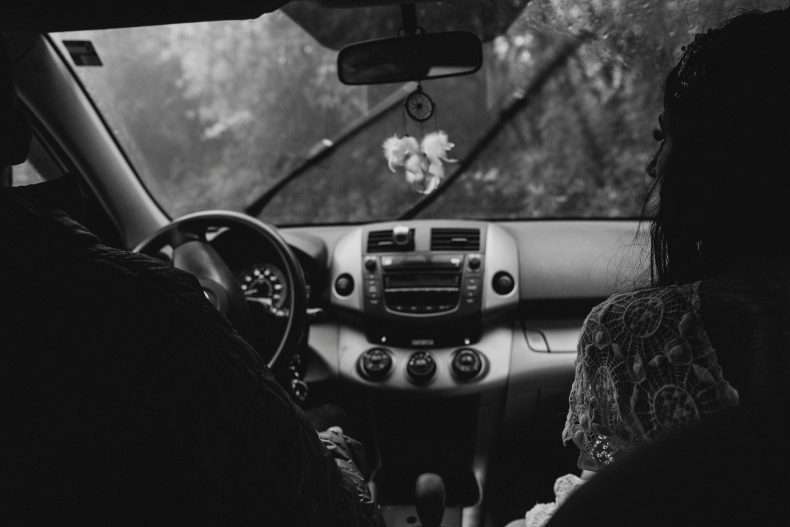 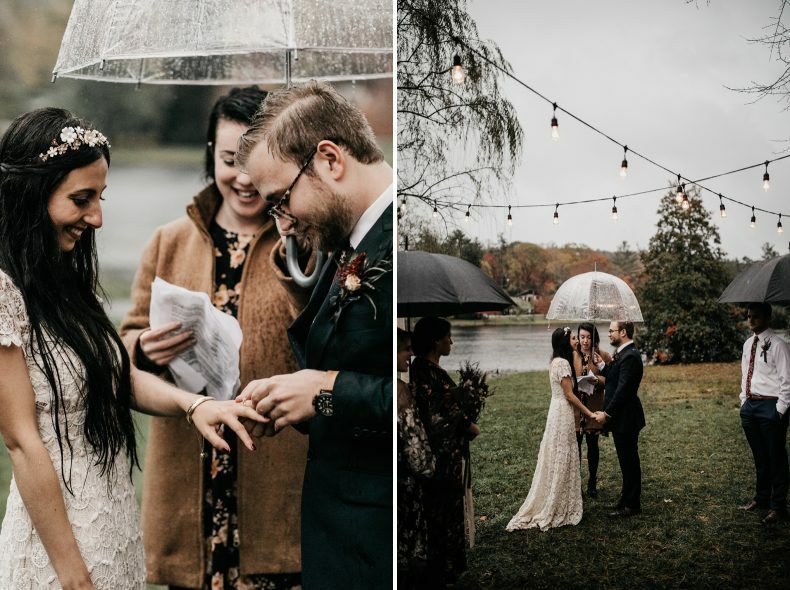 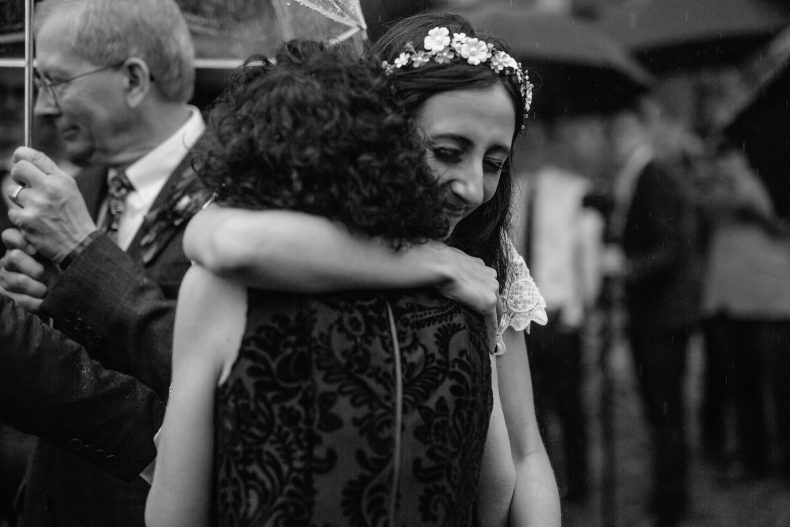 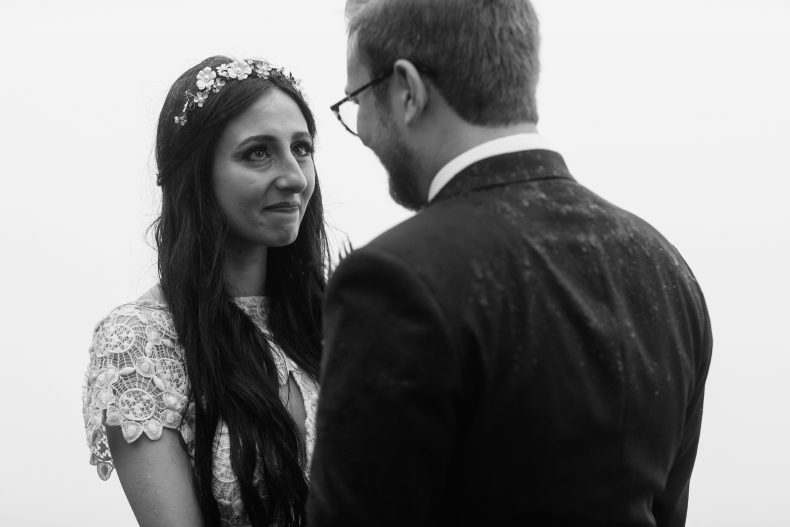 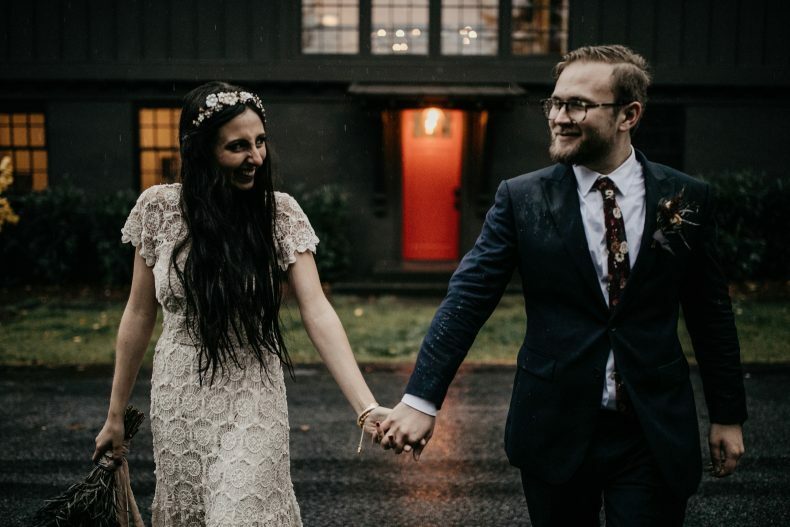 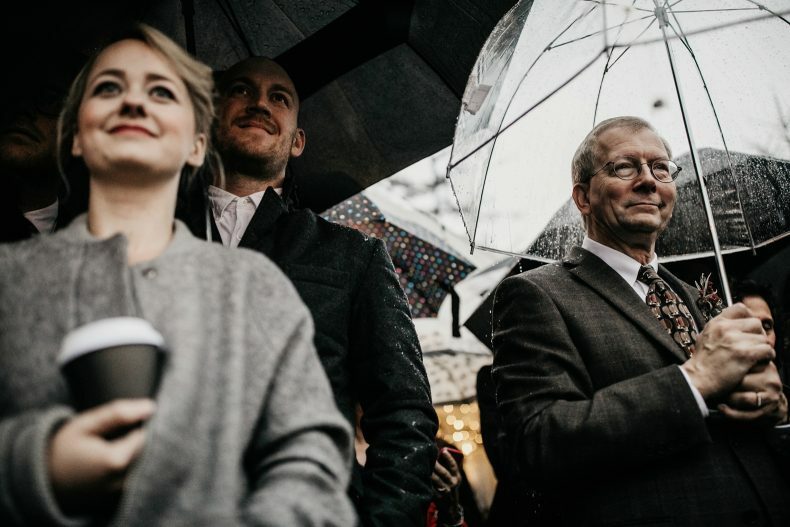 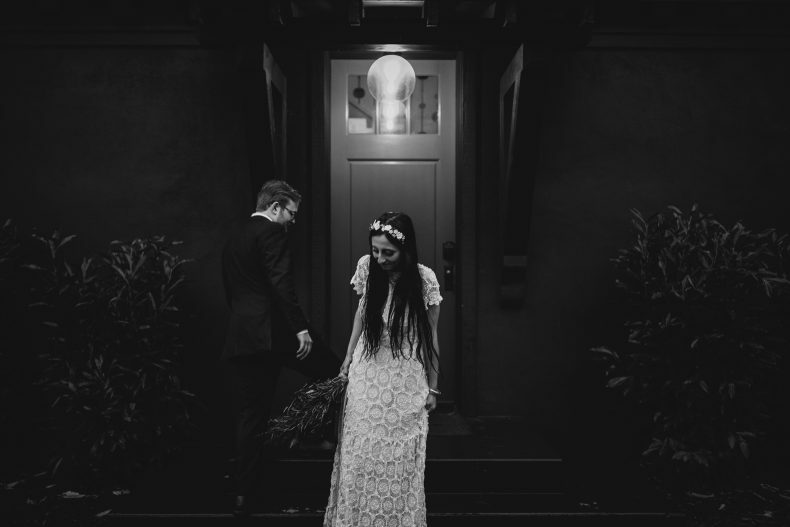 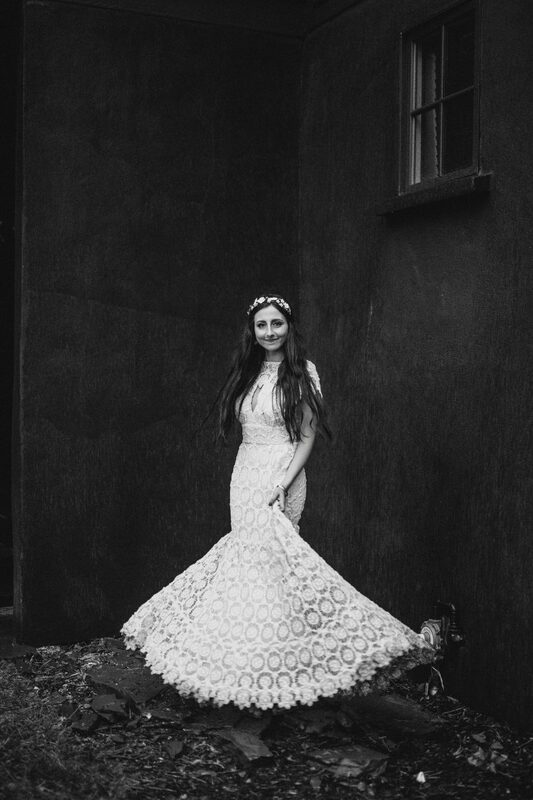 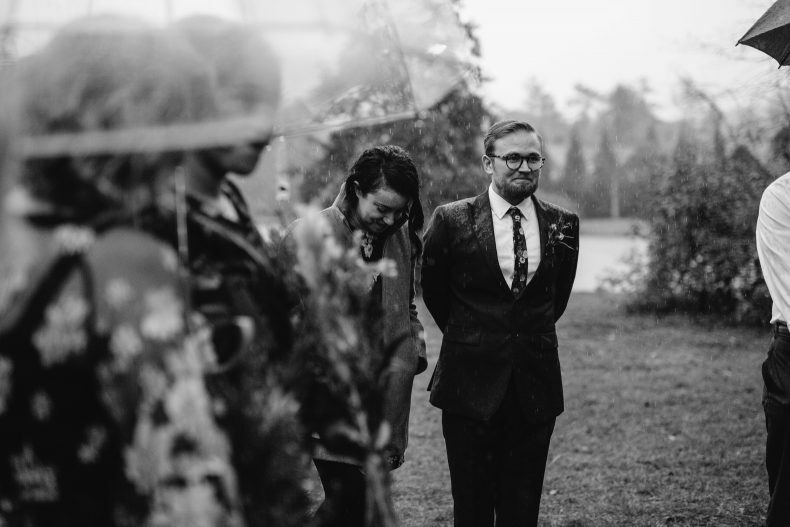 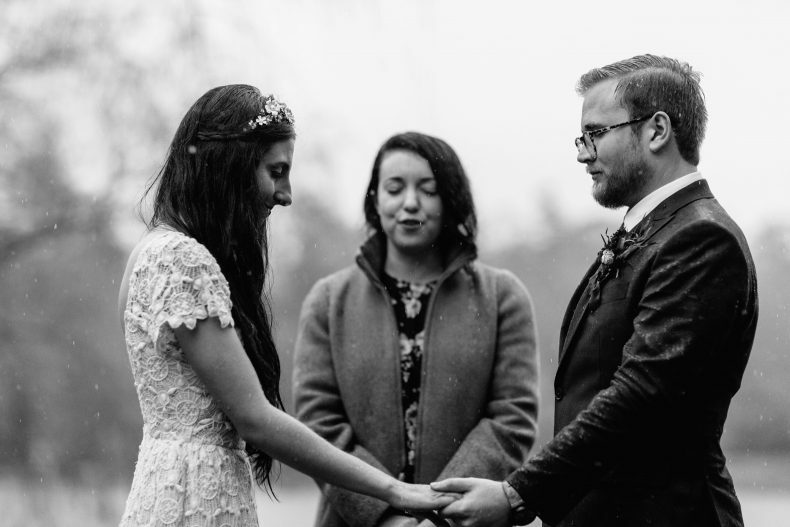 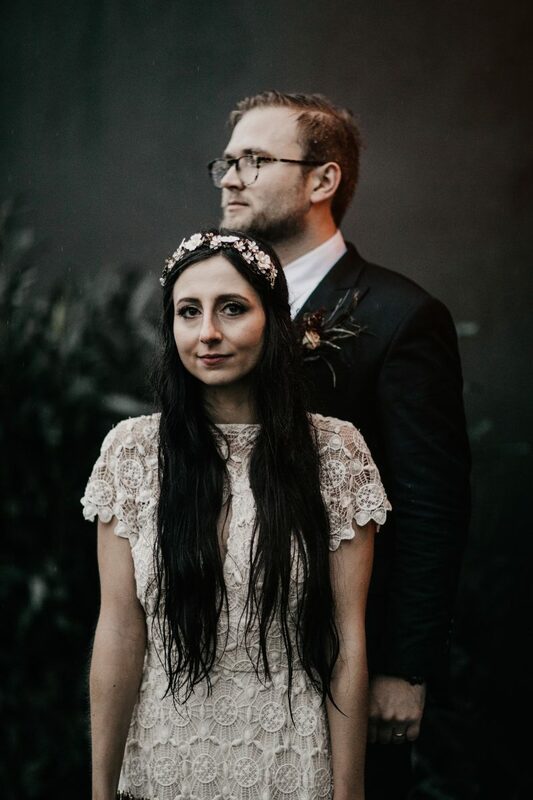 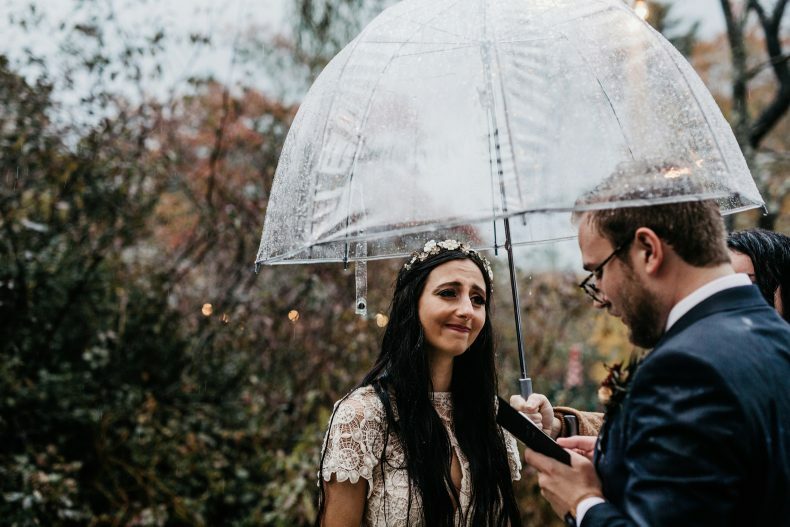 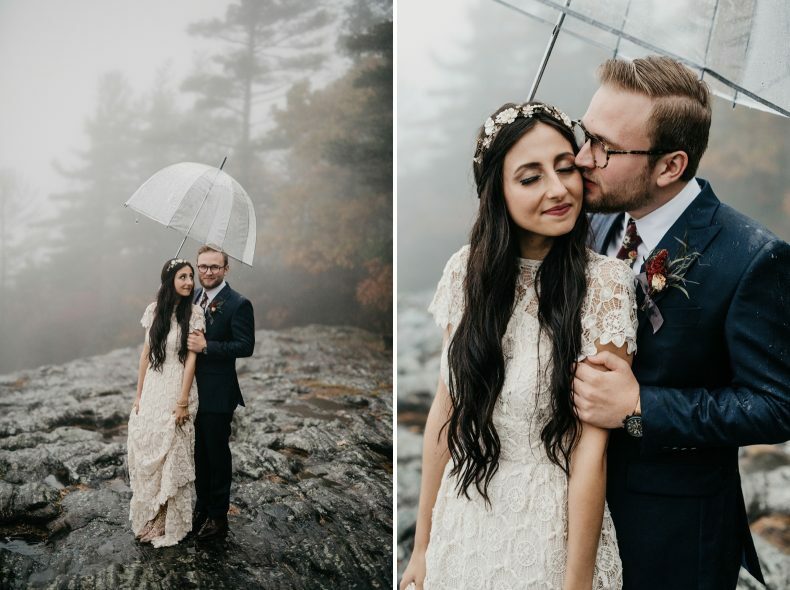 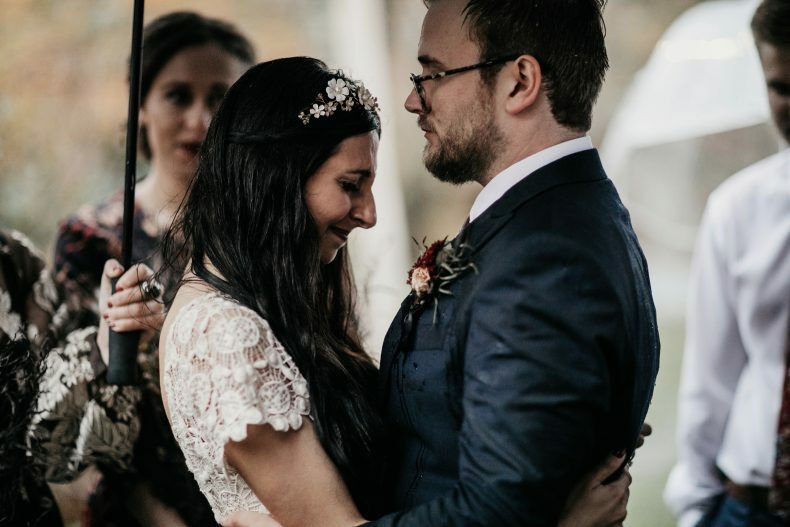 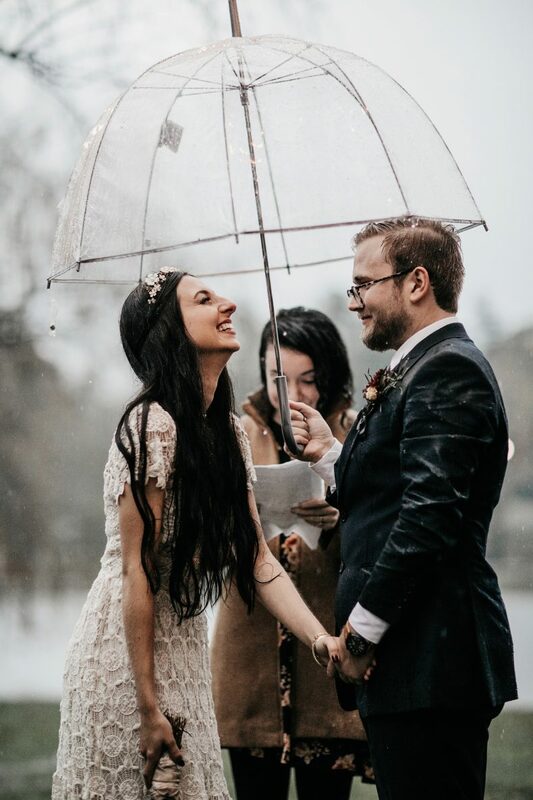 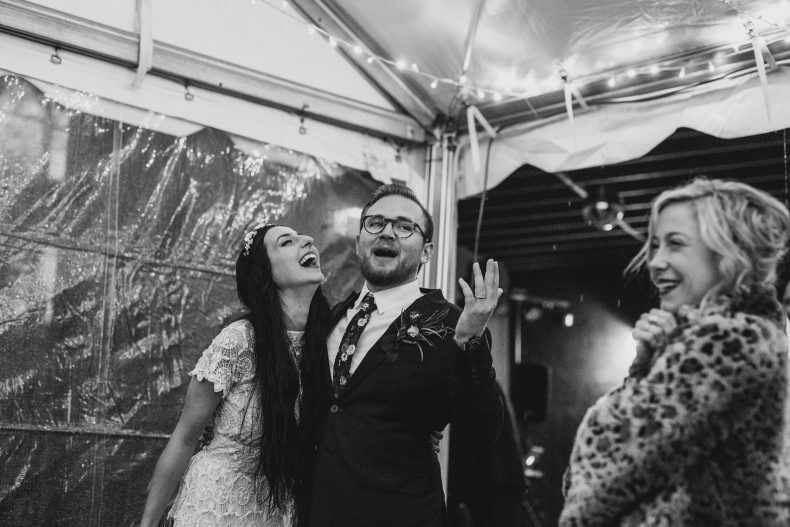 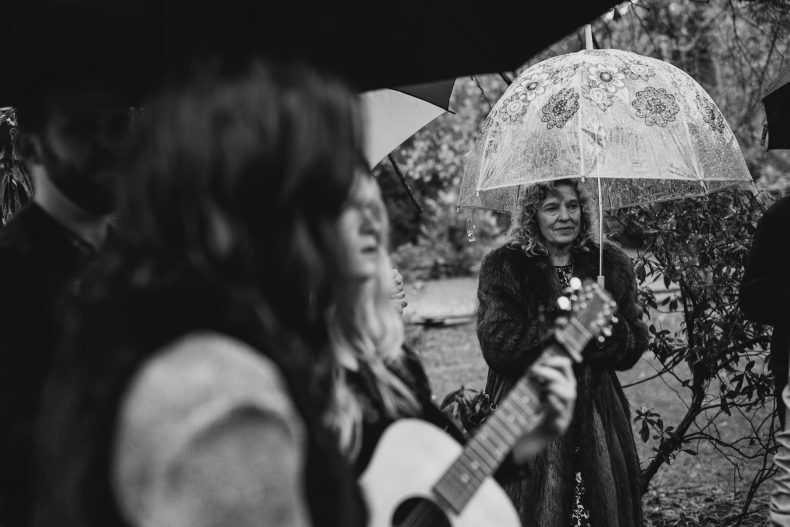 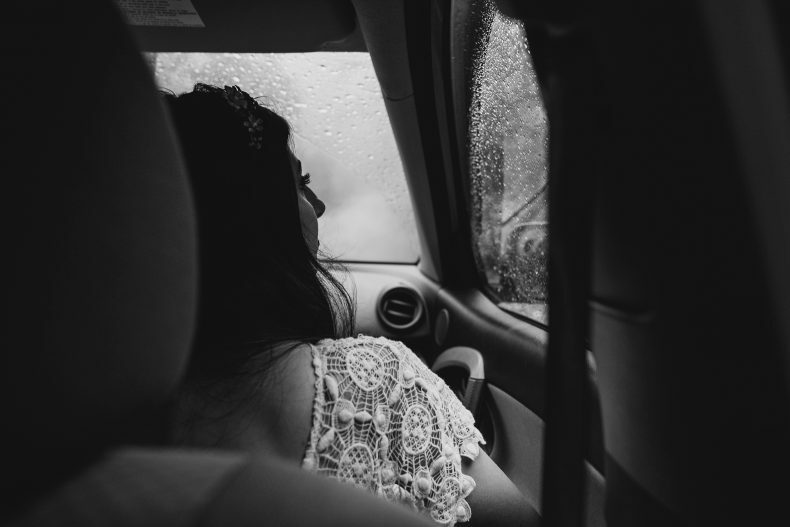 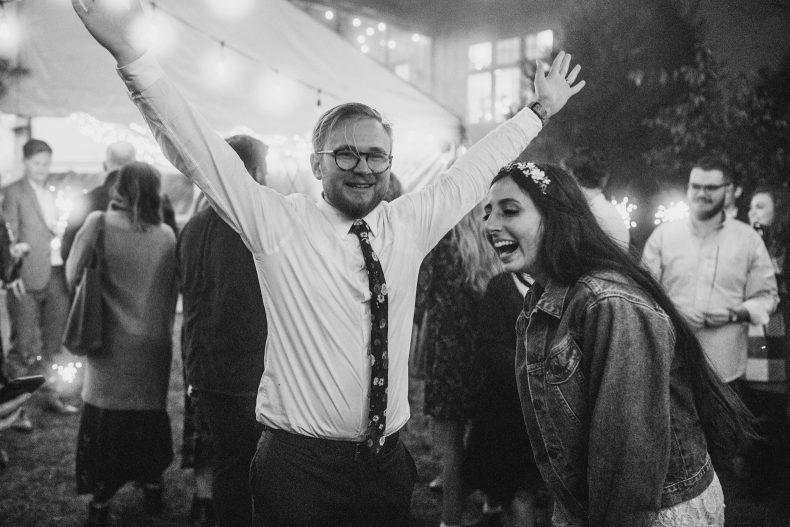 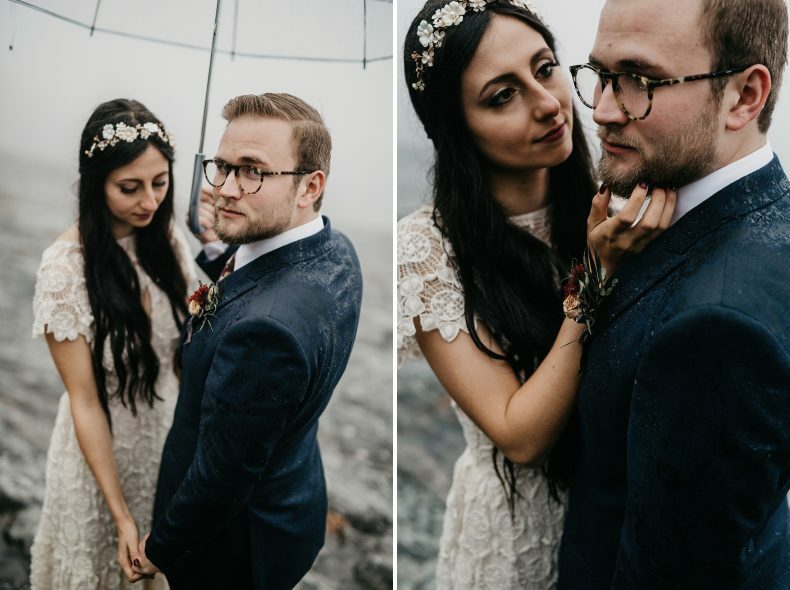 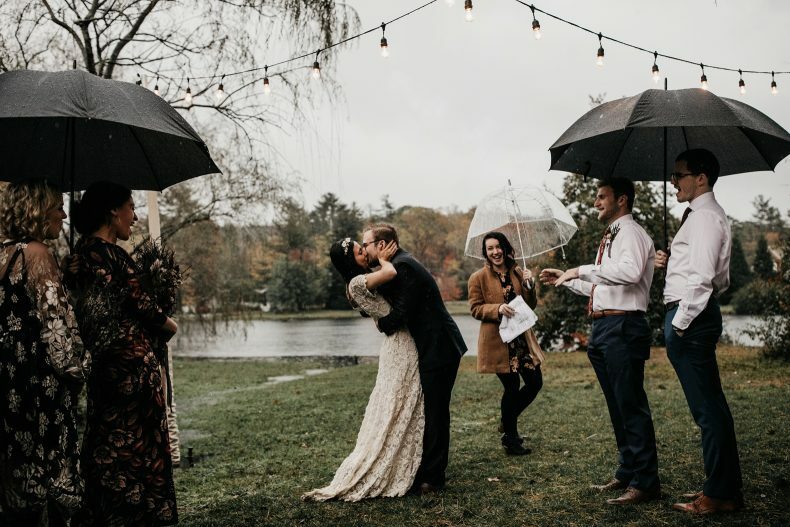 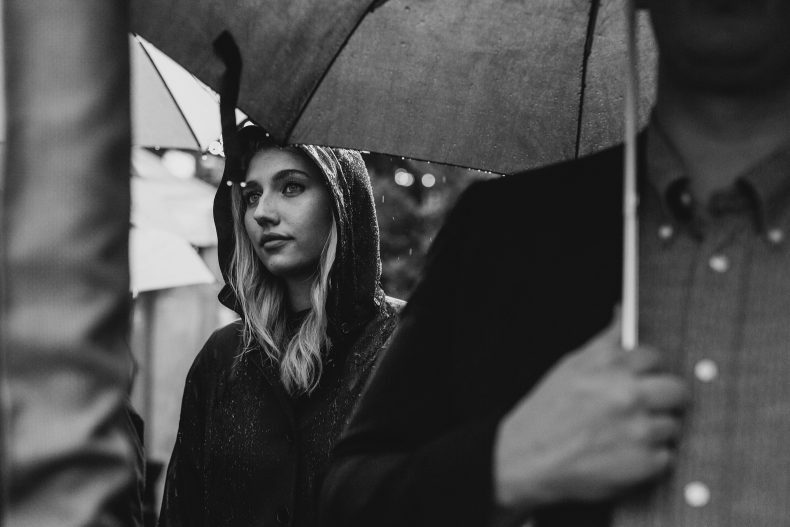 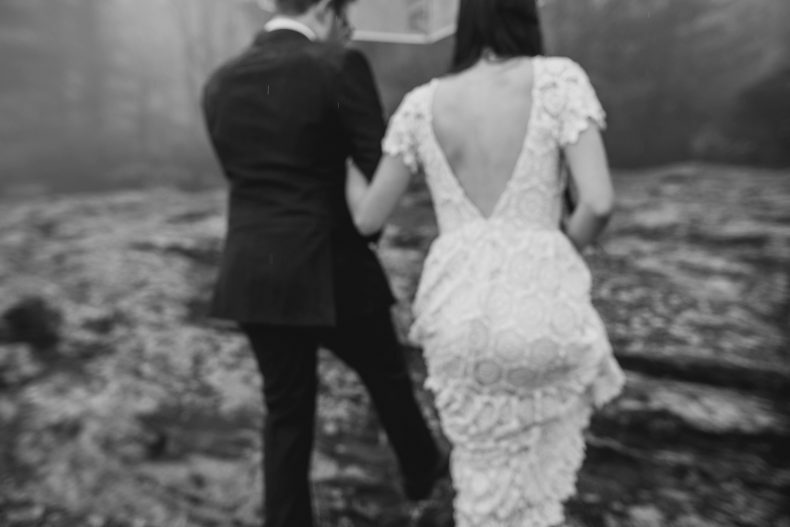 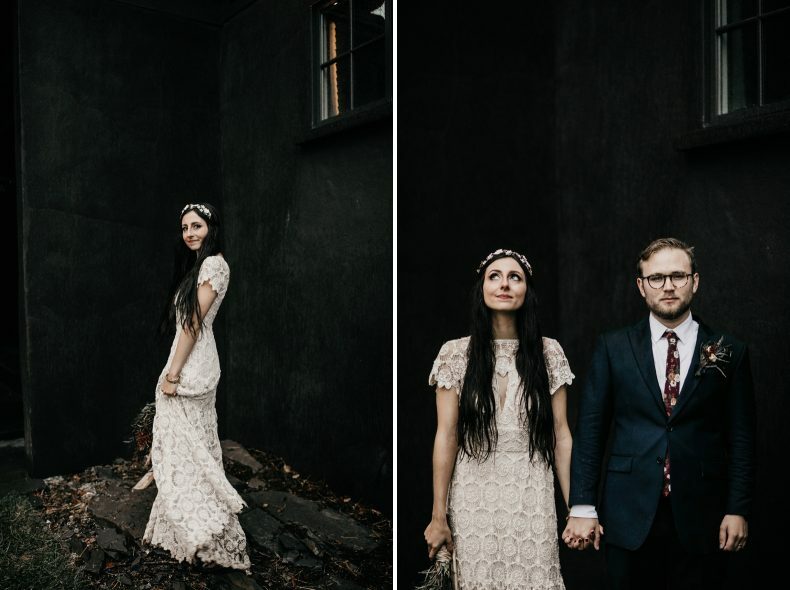 Without surprise, Michaella and Zac responded with such joy knowing full well that it meant standing in the rain, dampening fresh hair, dirtying a clean dress, and and kicking mud on their shoes… all before the ceremony. 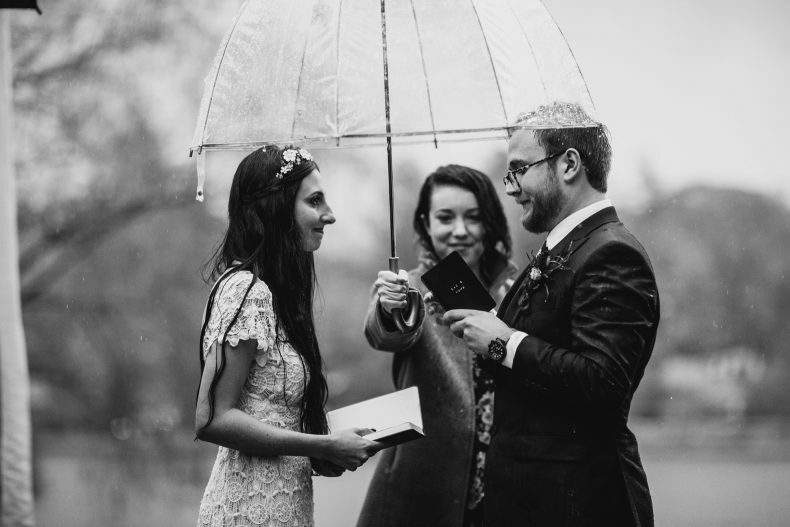 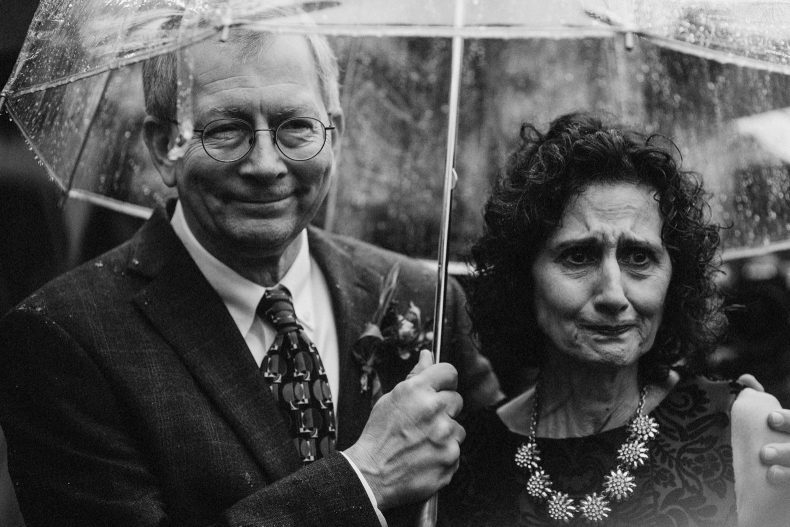 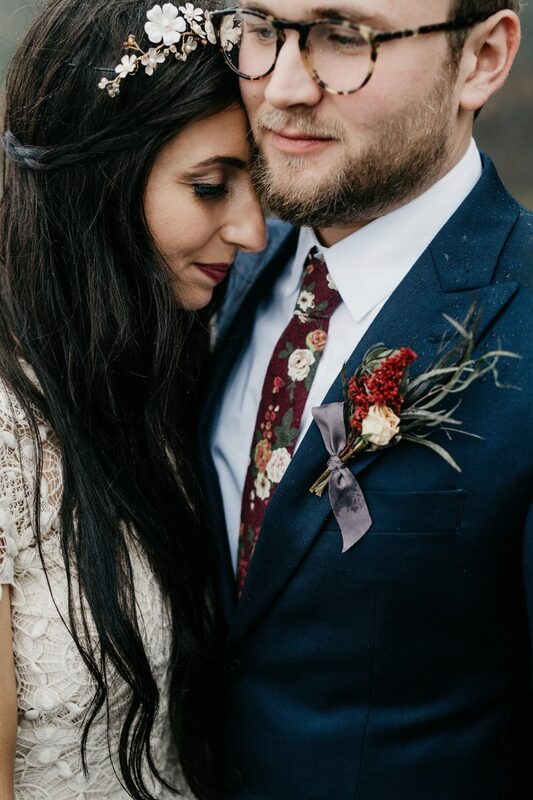 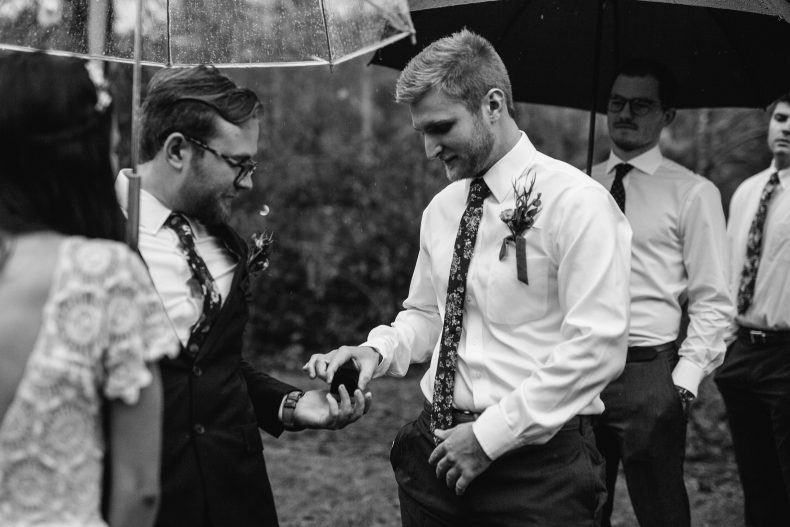 These two embraced and welcomed every drop of rain and every mud puddle and never for one second doubted the beauty that became their wedding day. 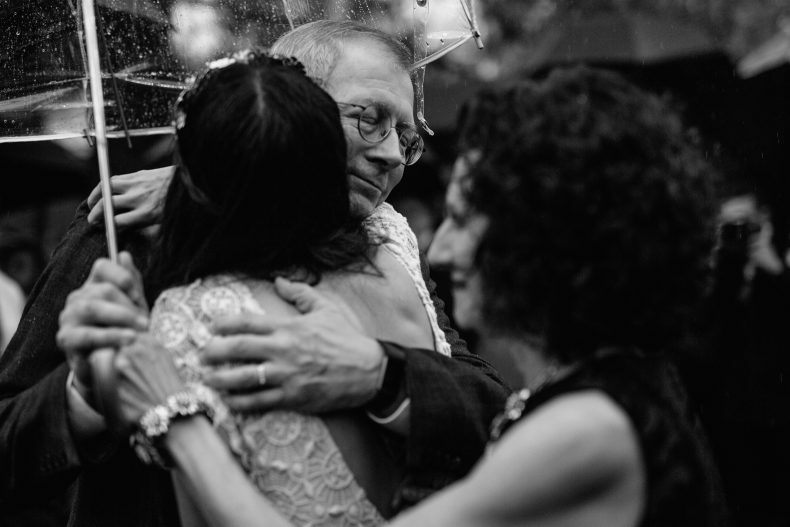 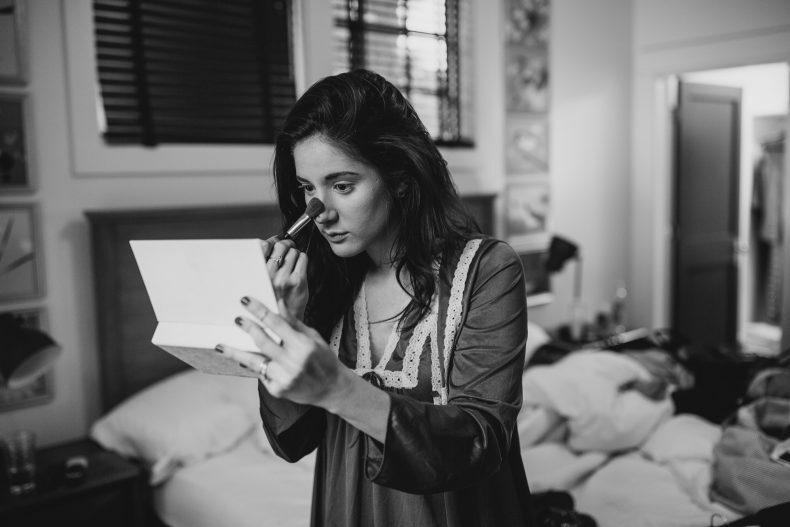 And if it couldn’t get any better… their people embraced it all the same. 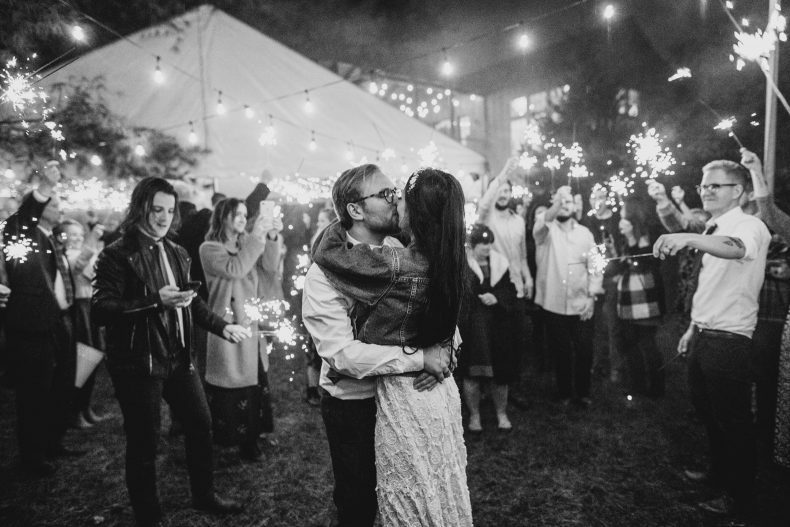 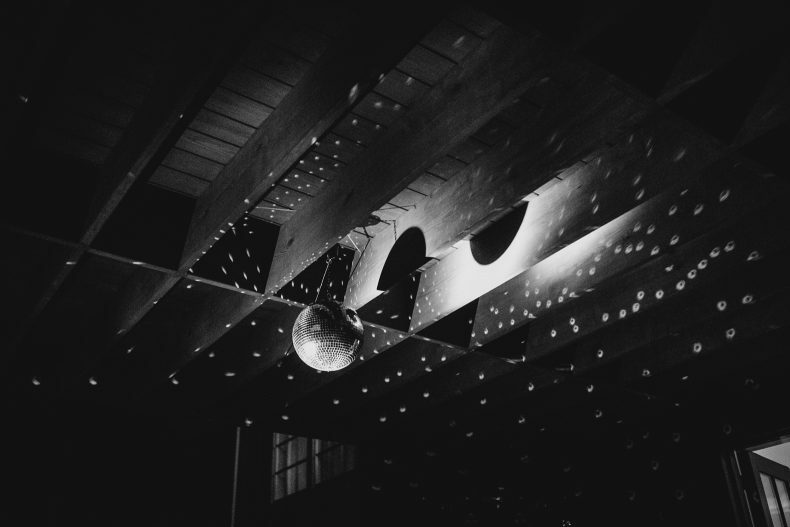 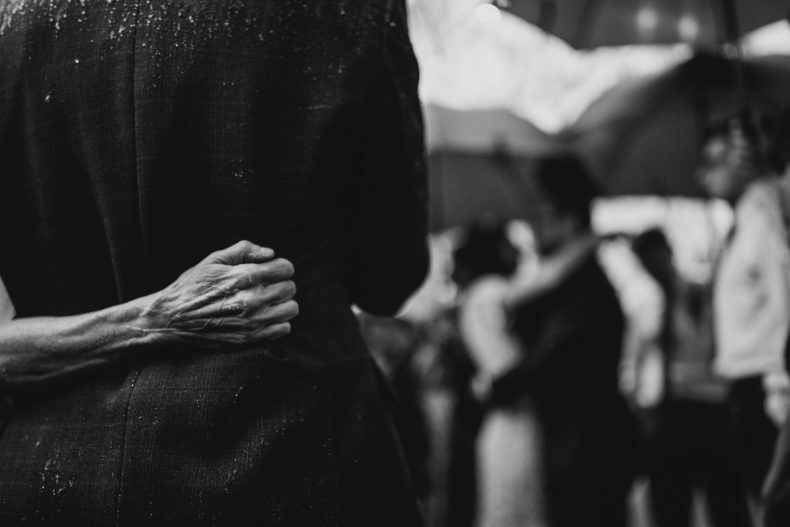 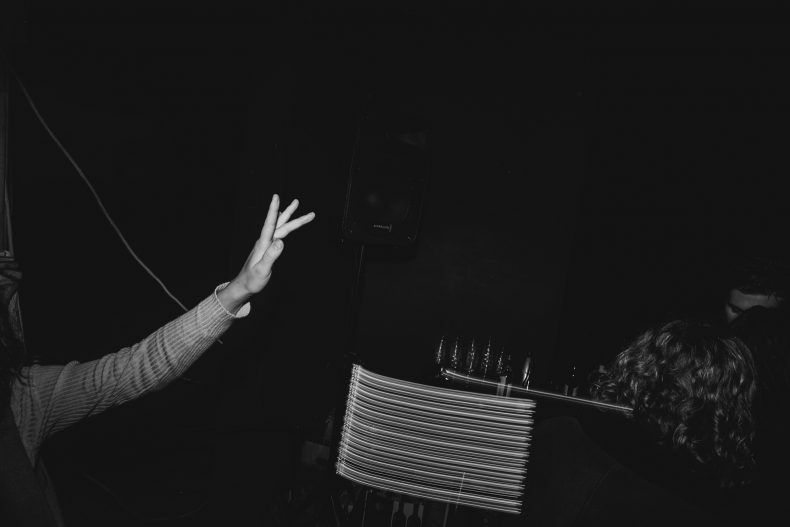 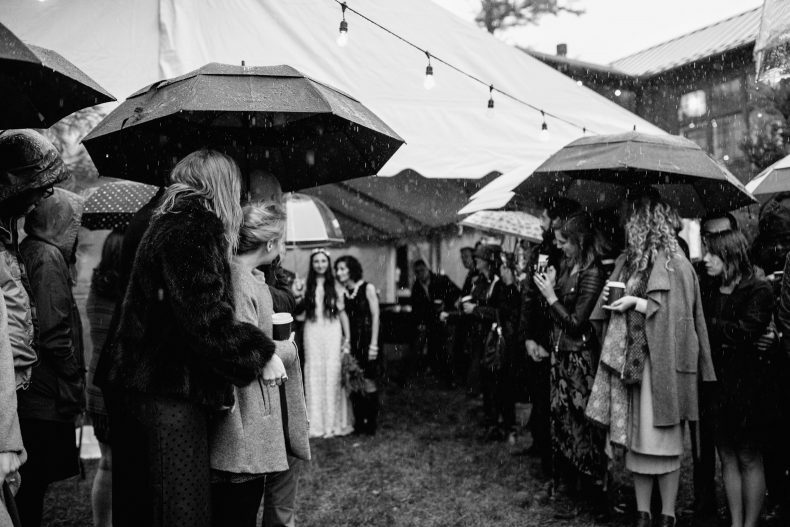 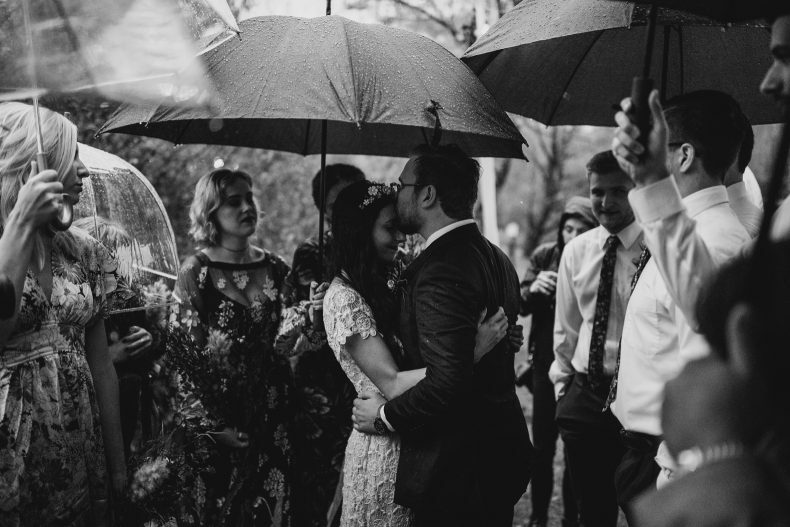 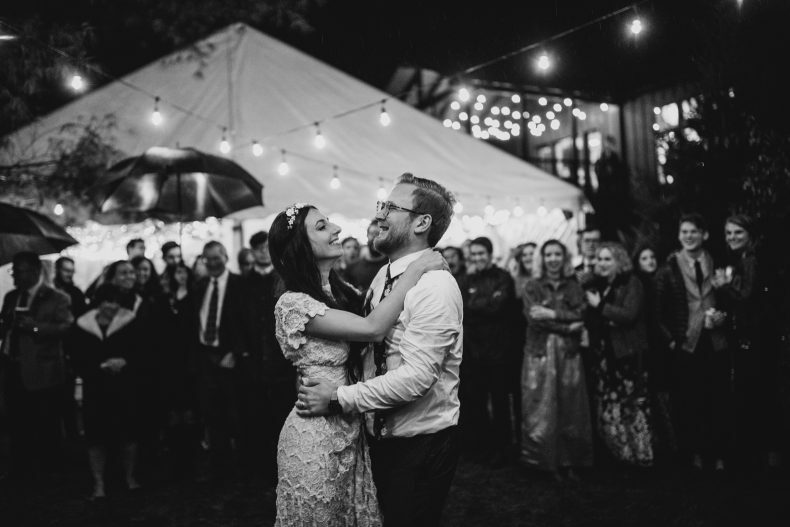 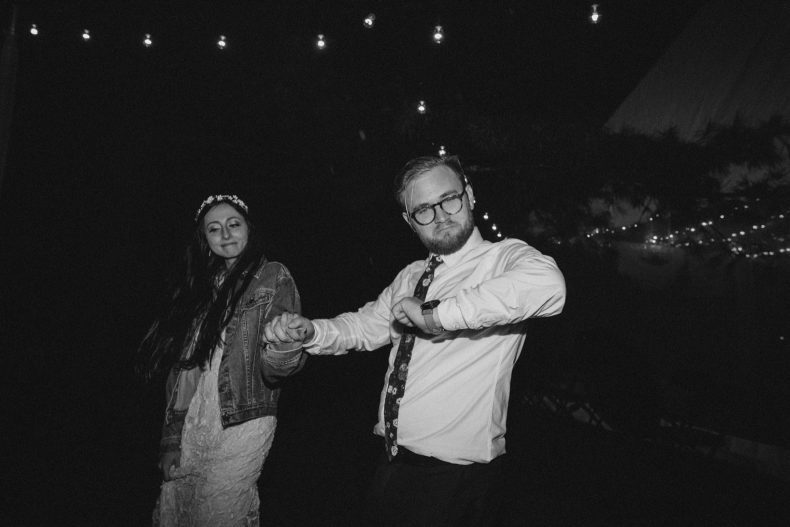 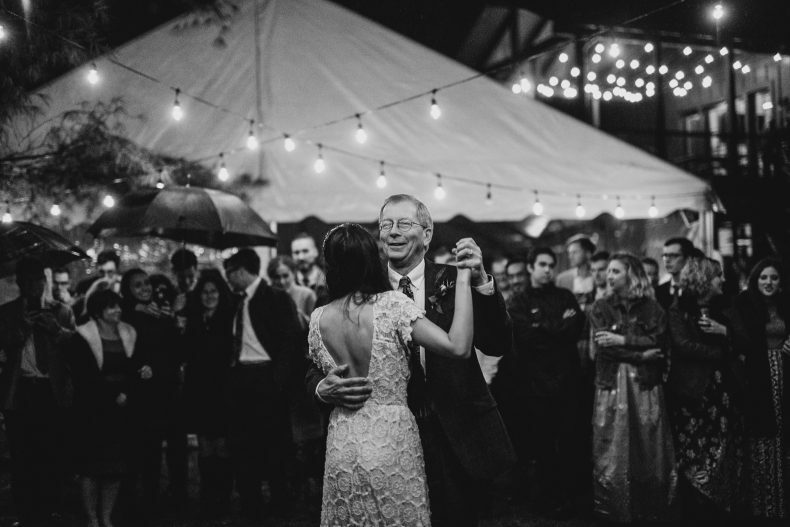 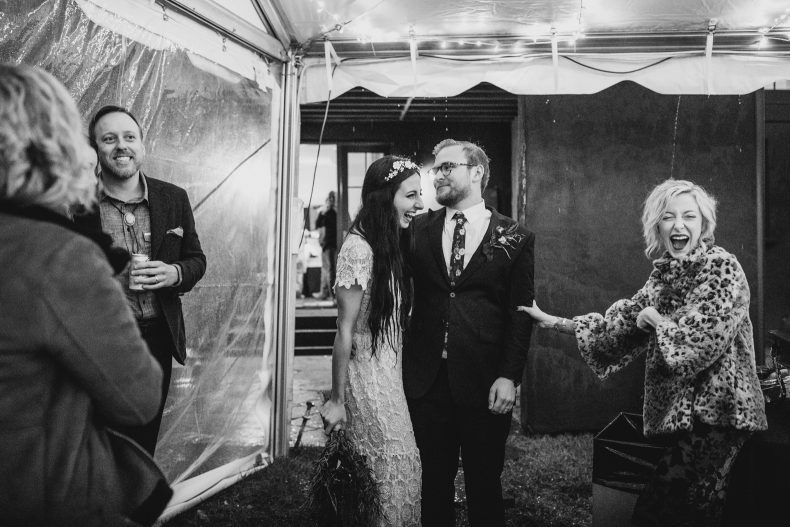 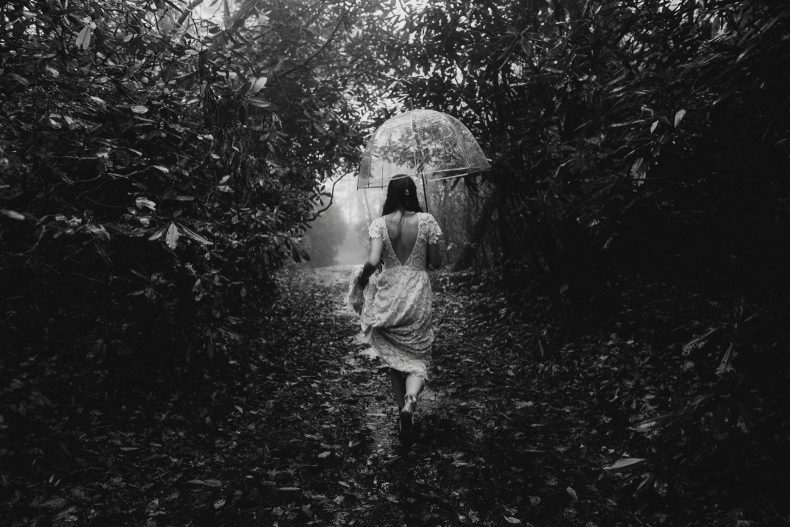 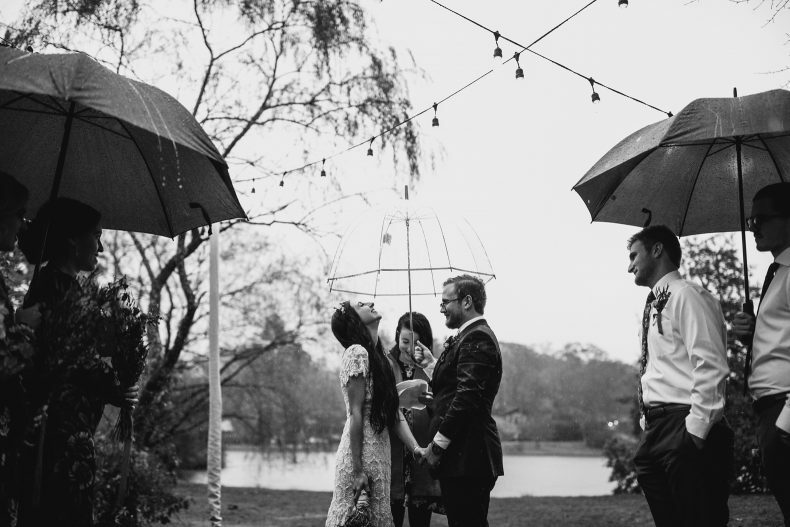 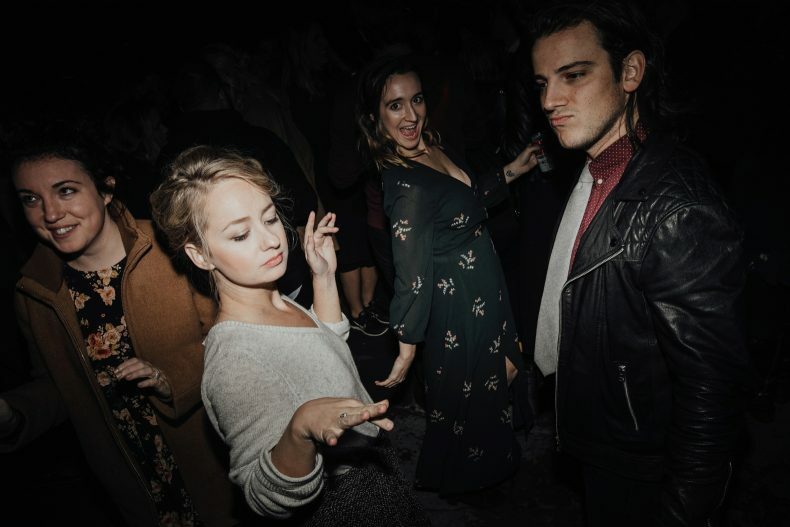 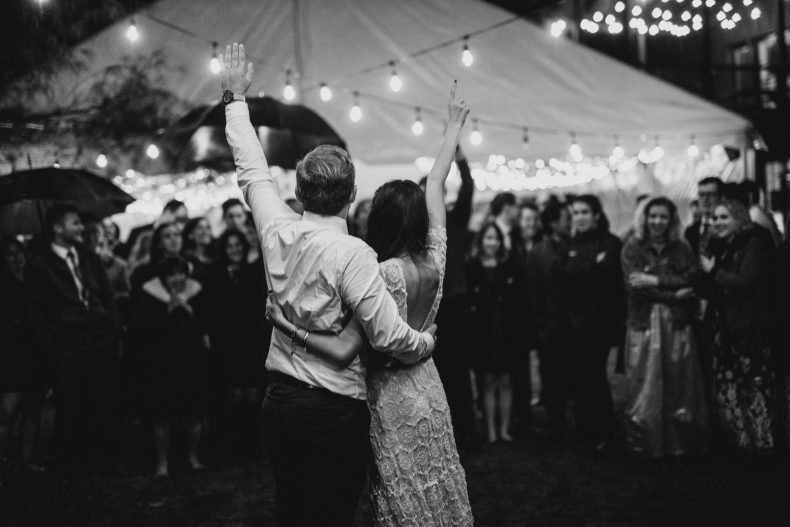 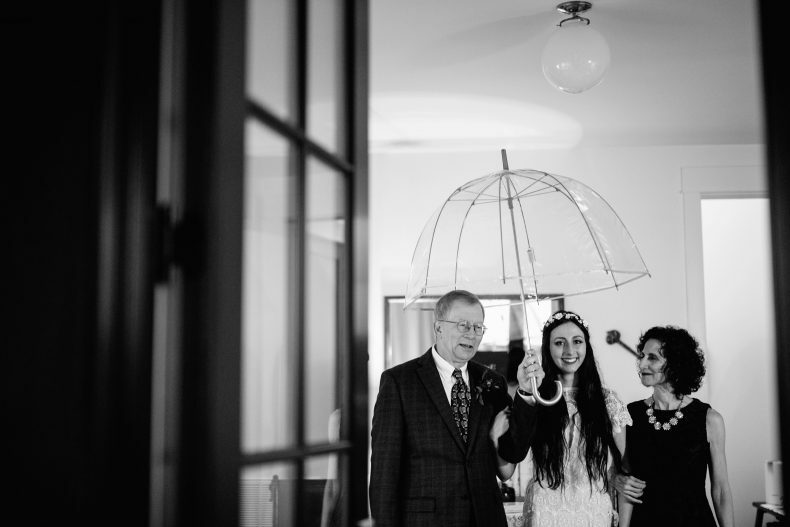 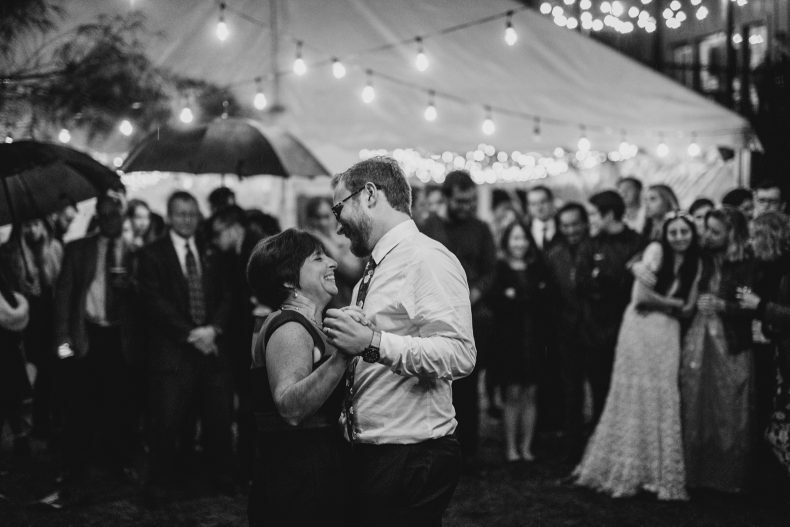 Endless umbrellas, navigating a flooding backyard, celebrating, and dancing in the rain. 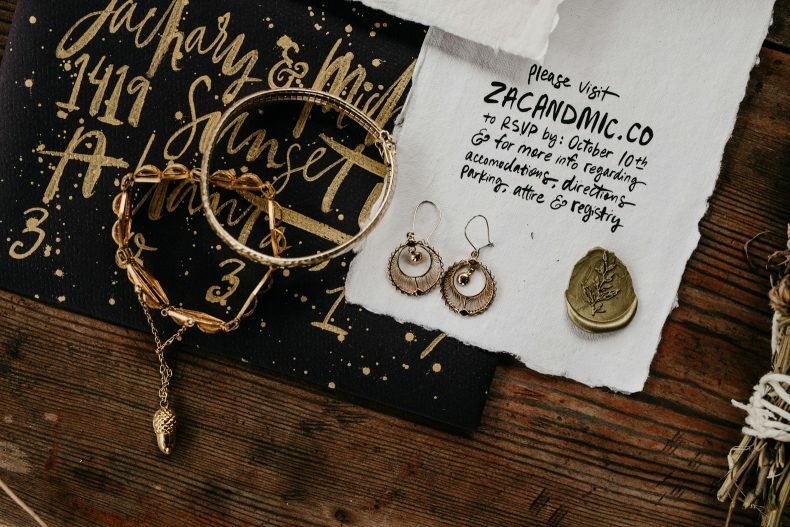 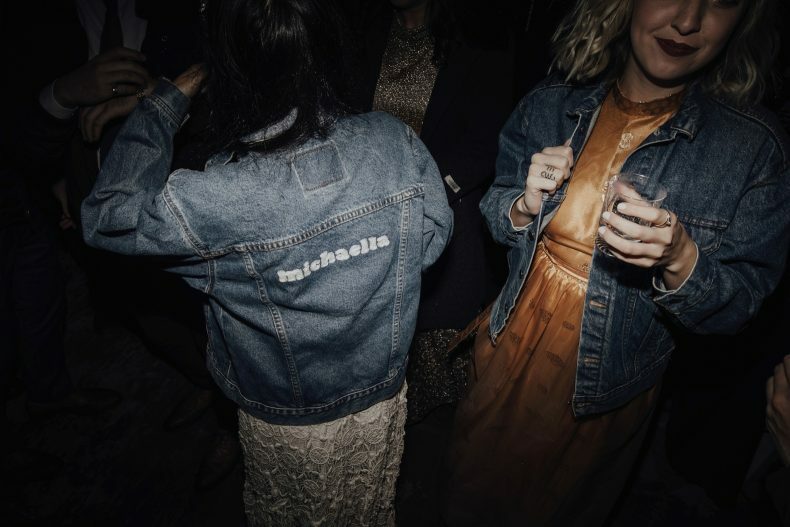 Michaella and Zac, you two and an inspiration. 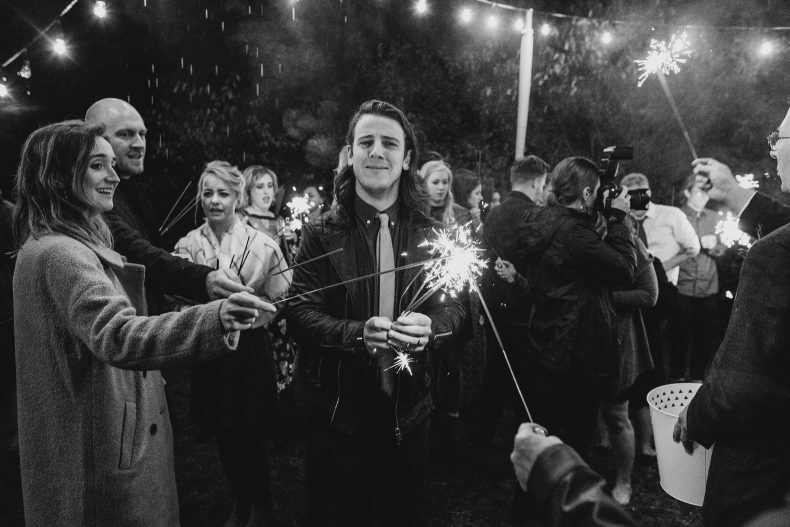 Keep your fire burning friends. 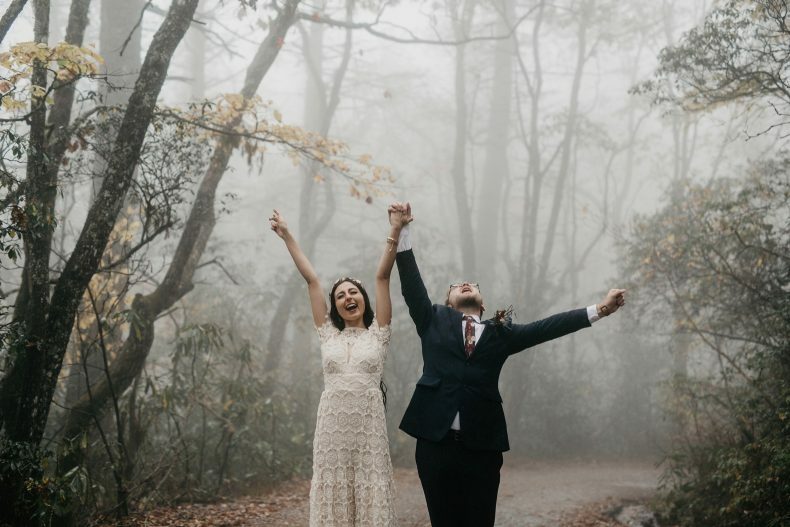 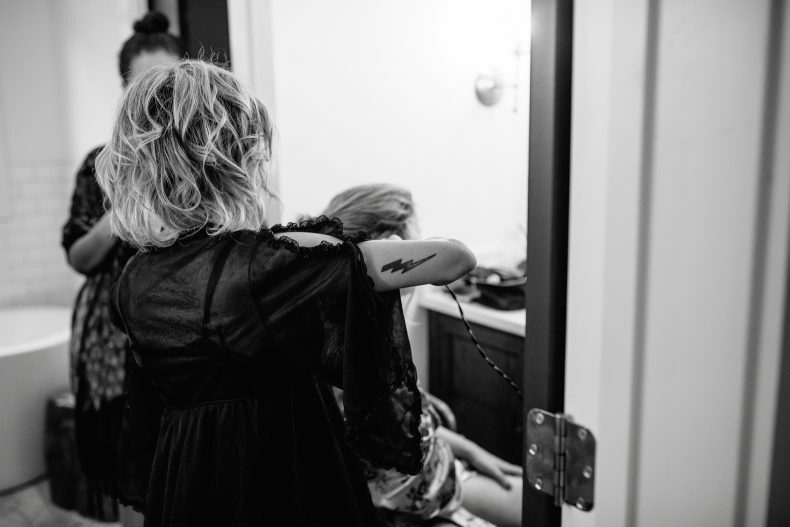 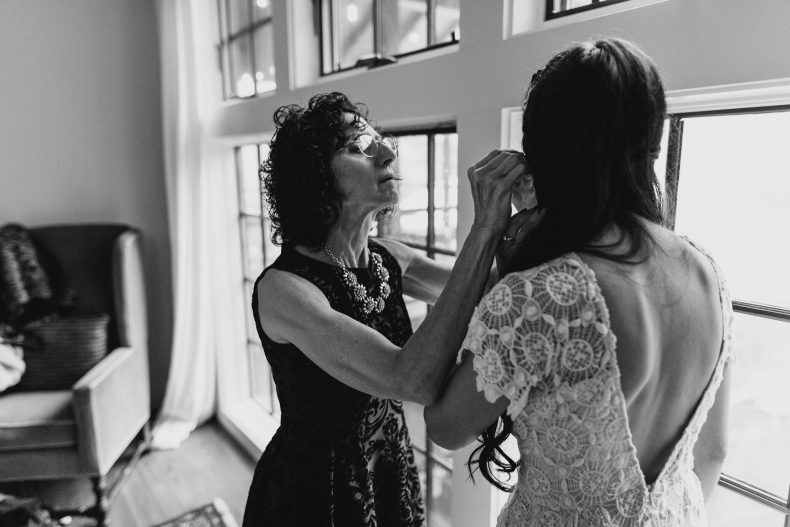 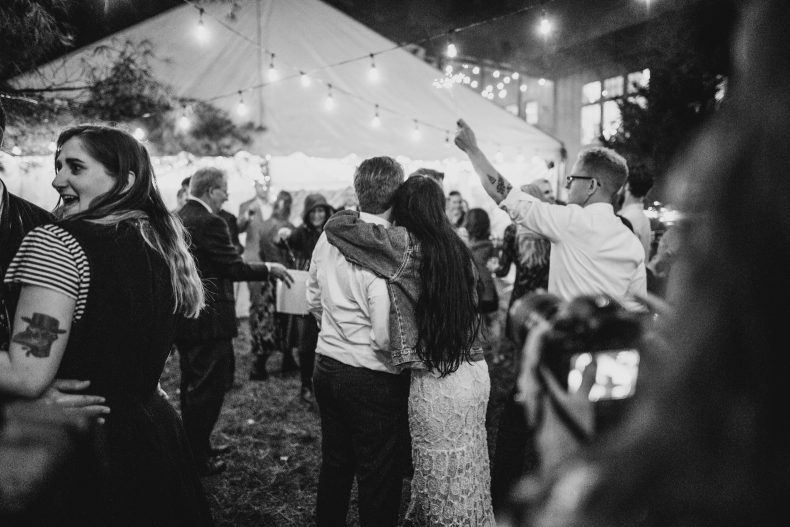 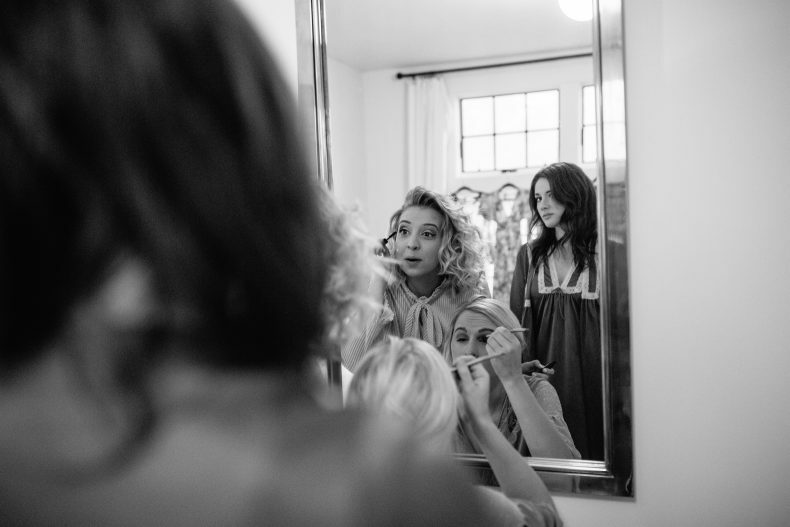 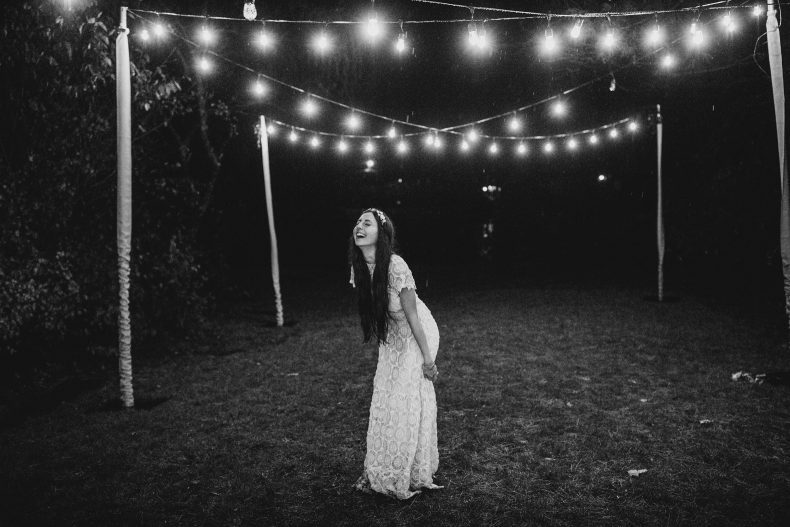 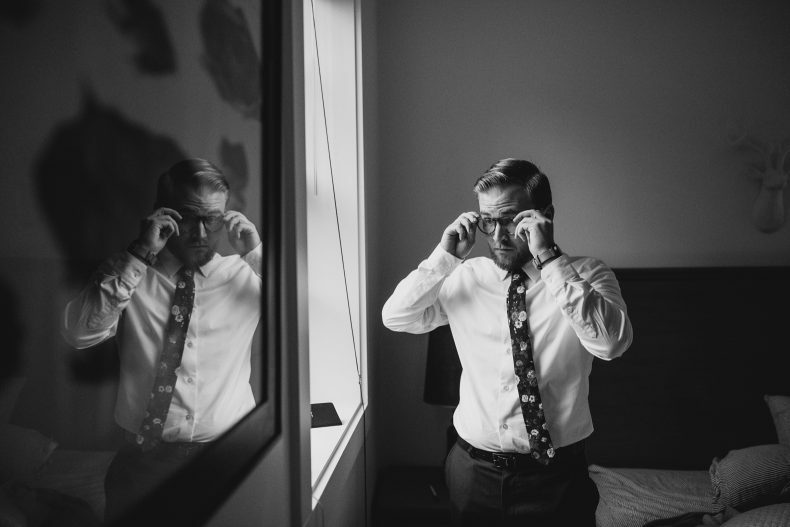 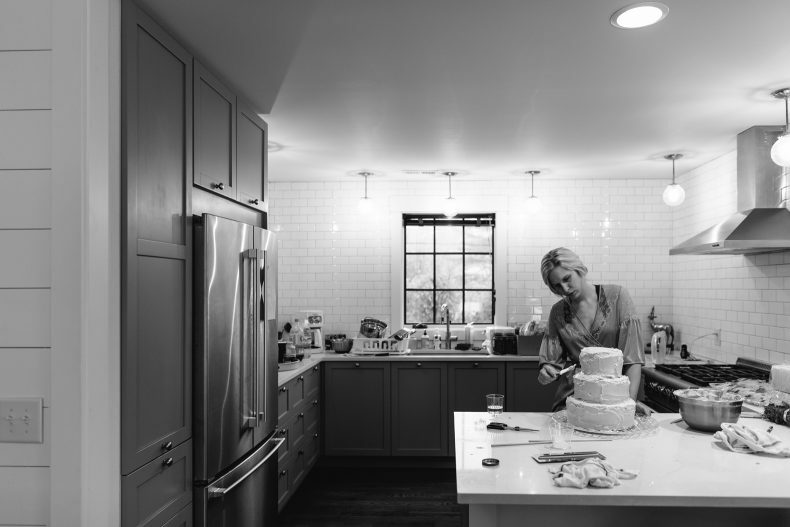 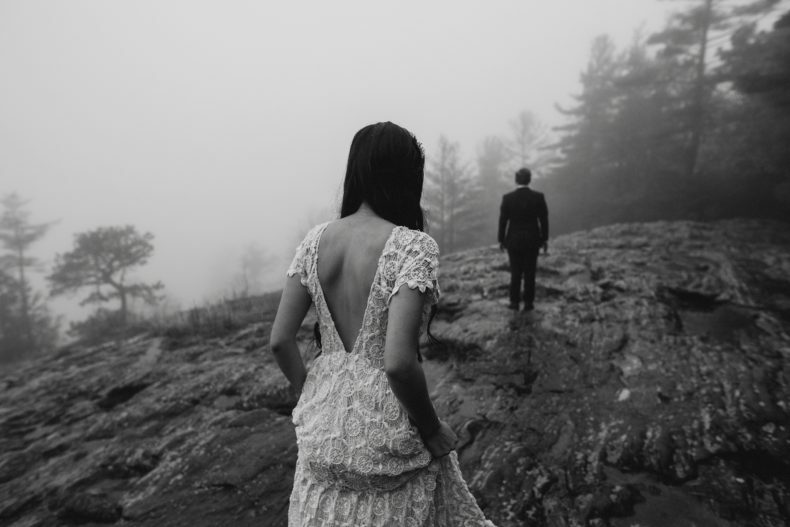 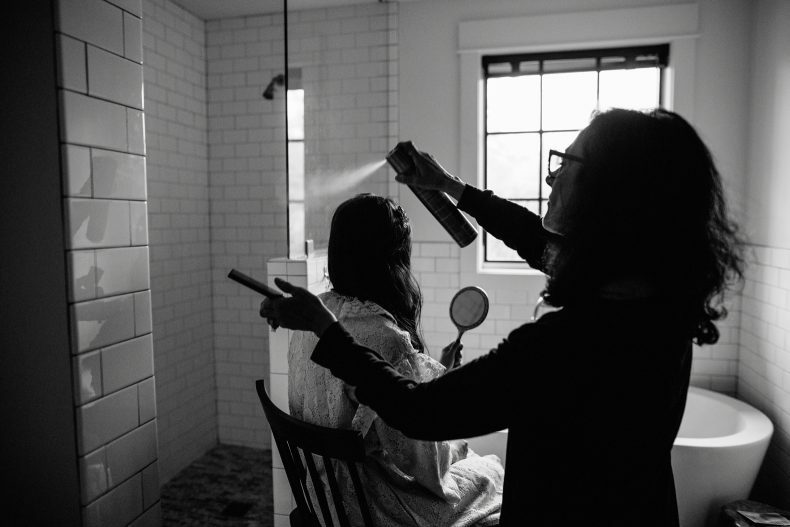 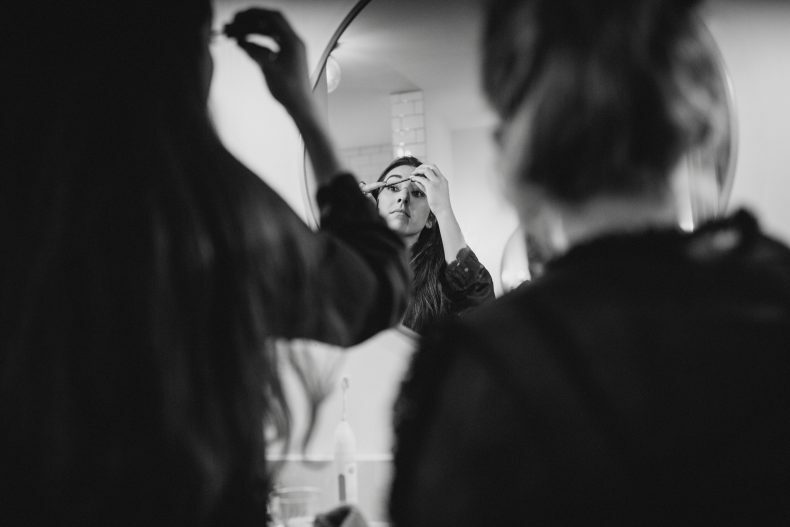 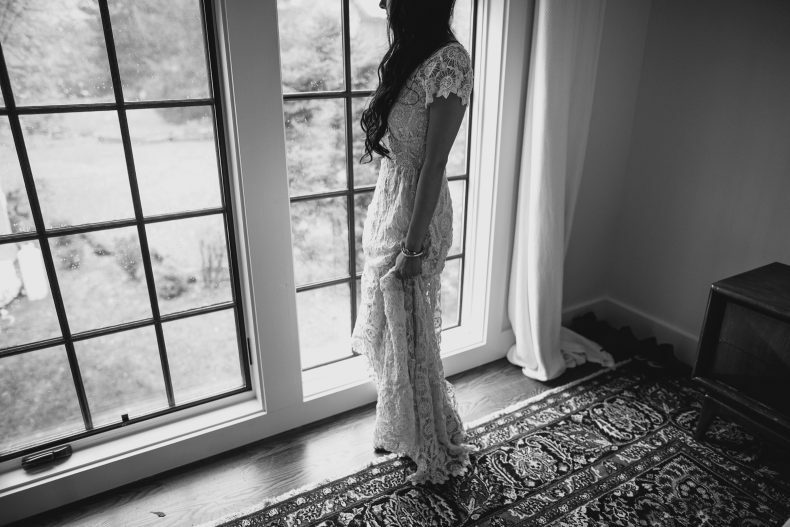 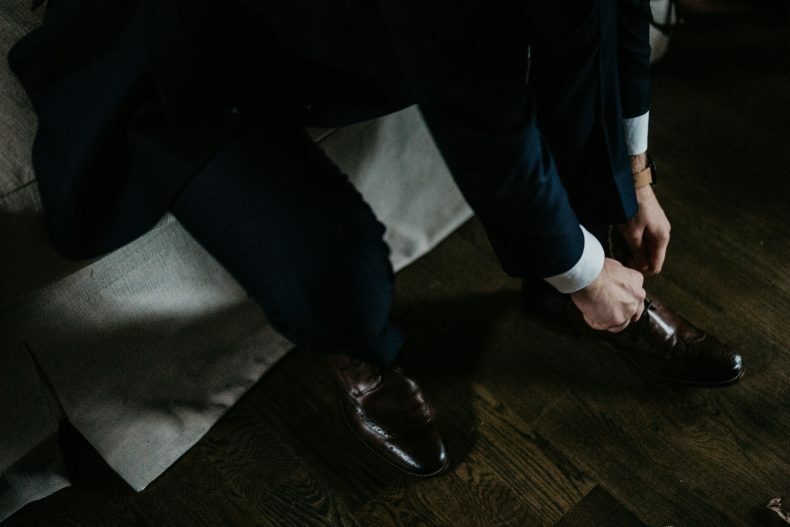 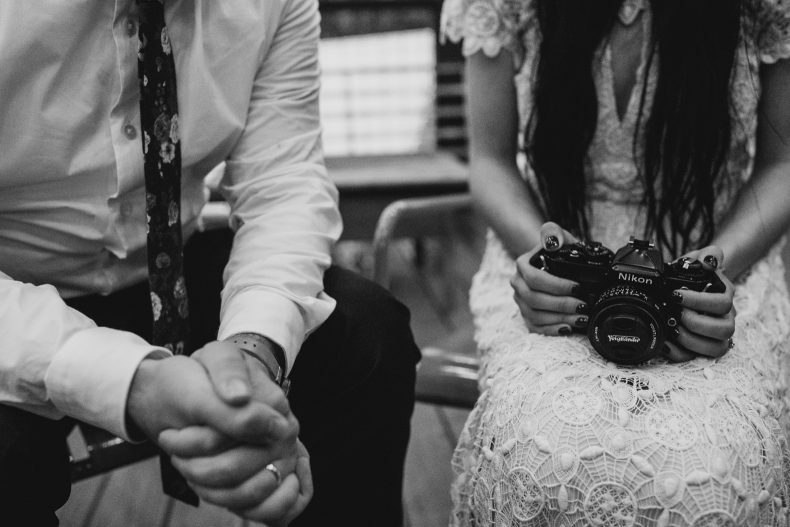 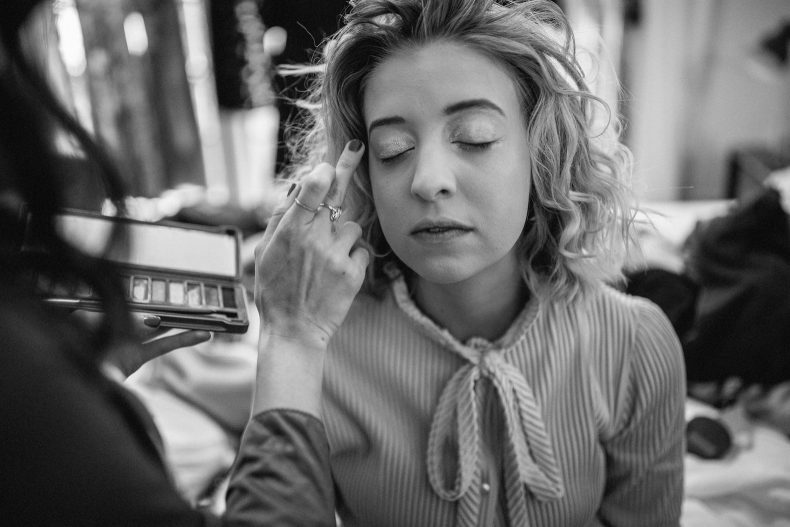 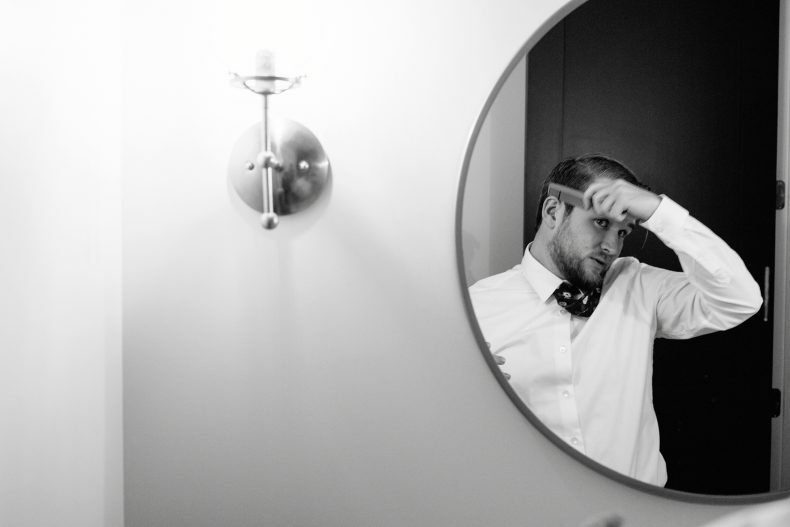 Want to see more weddings like this Highlands North Carolina Wedding? 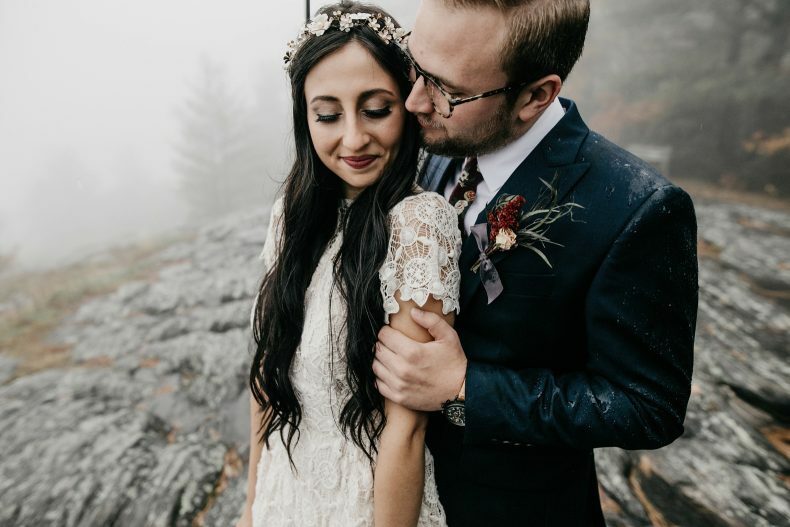 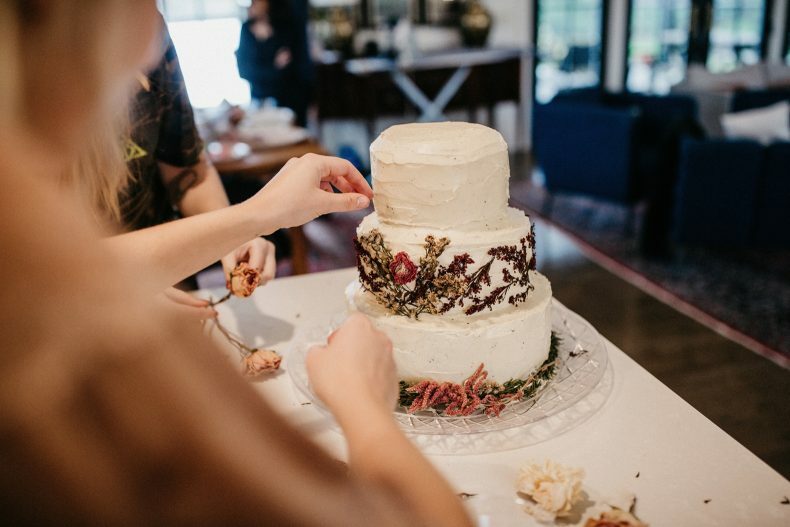 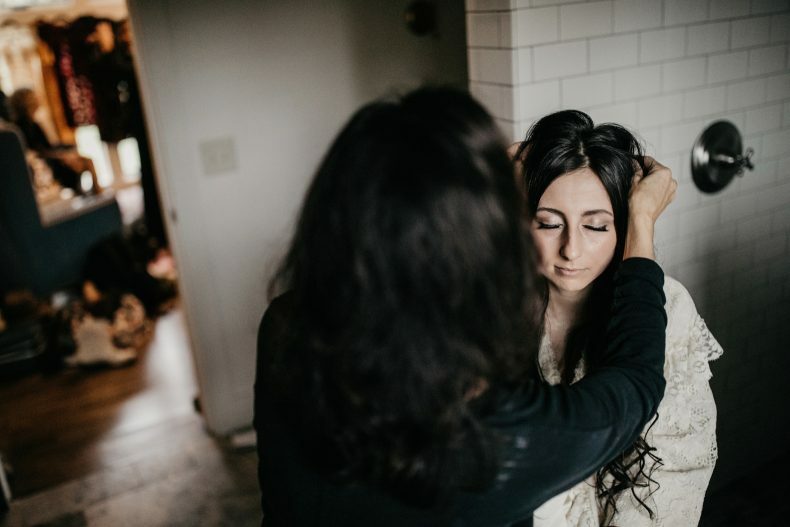 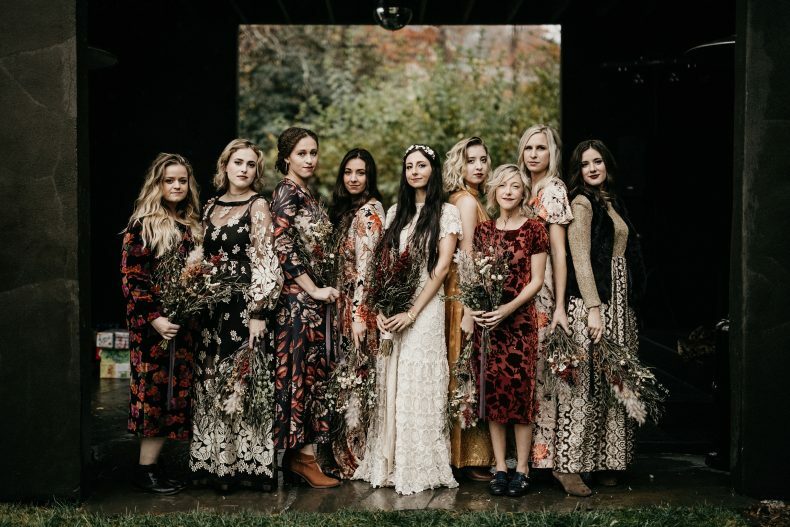 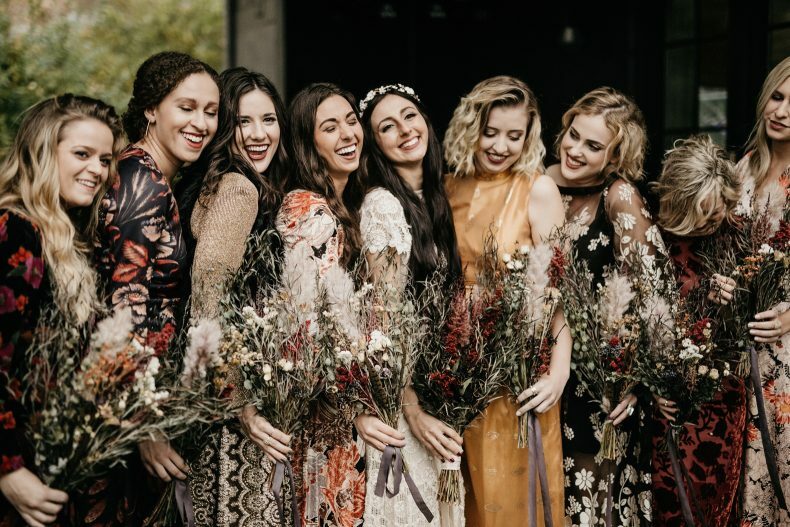 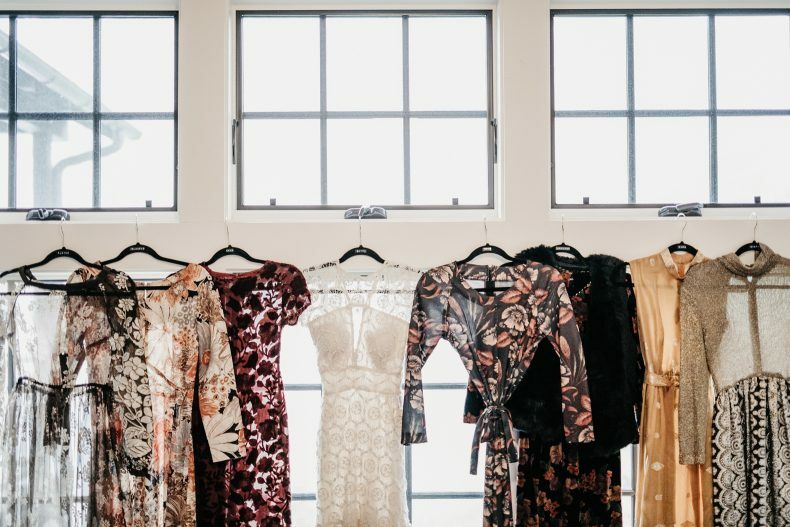 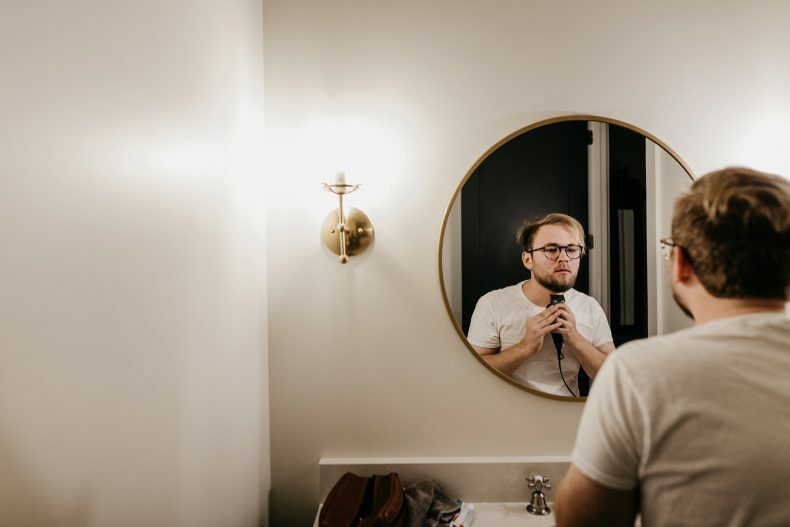 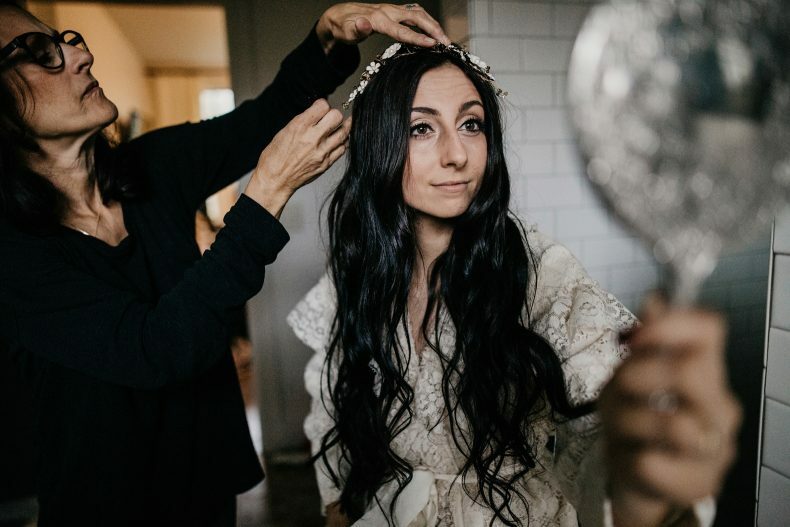 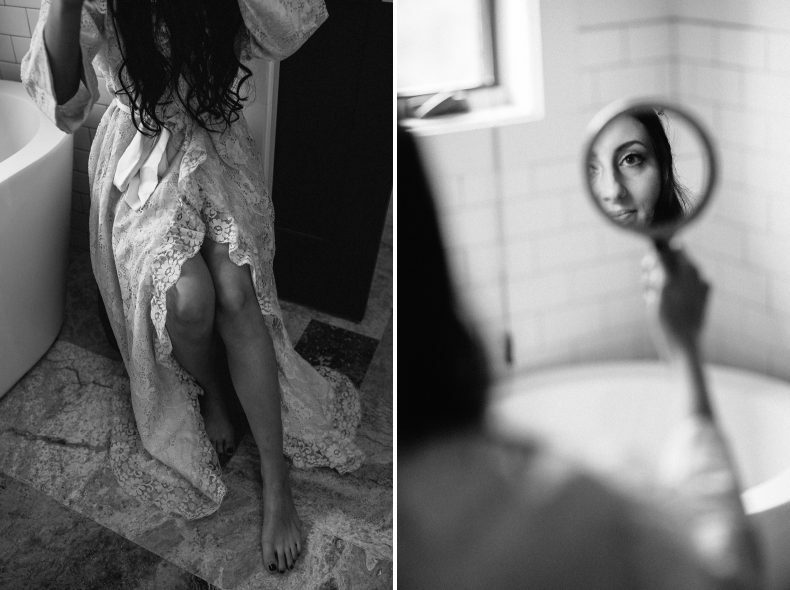 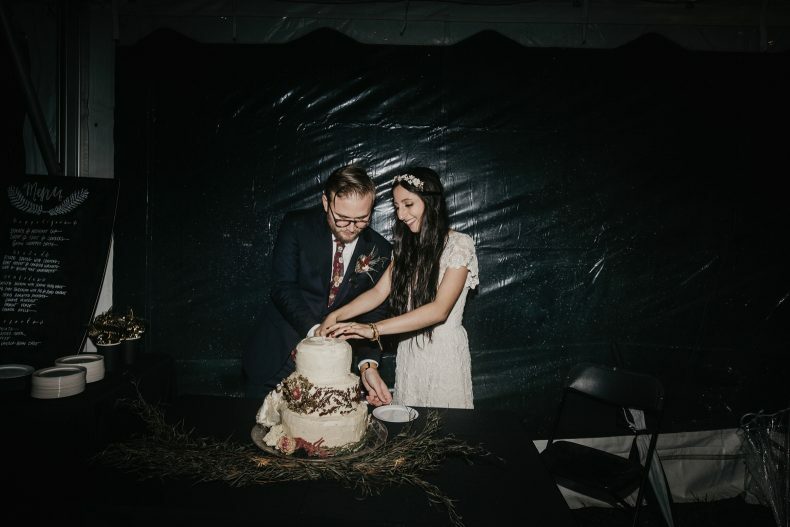 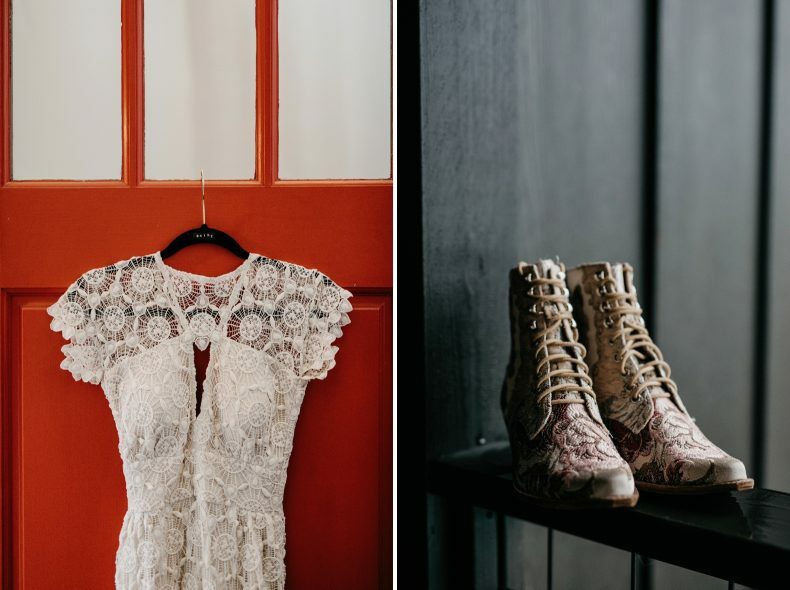 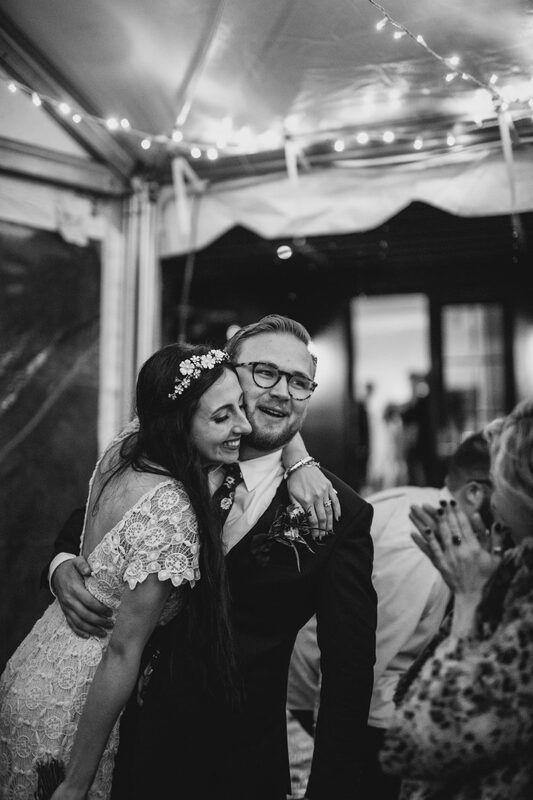 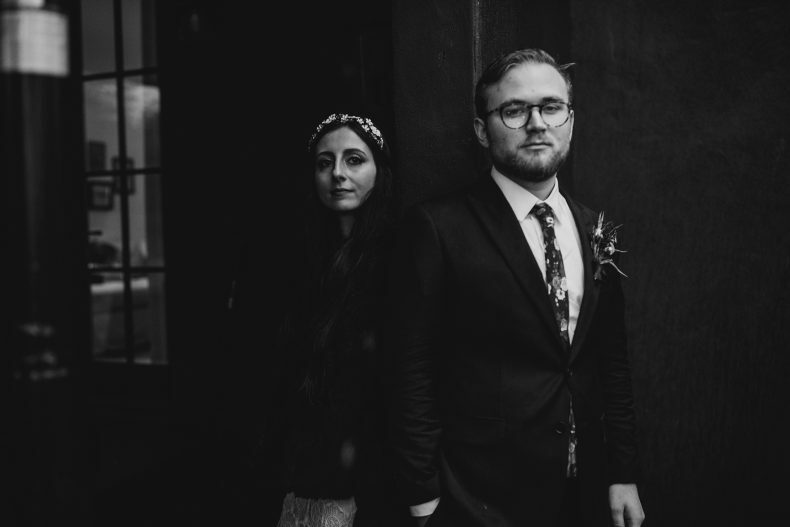 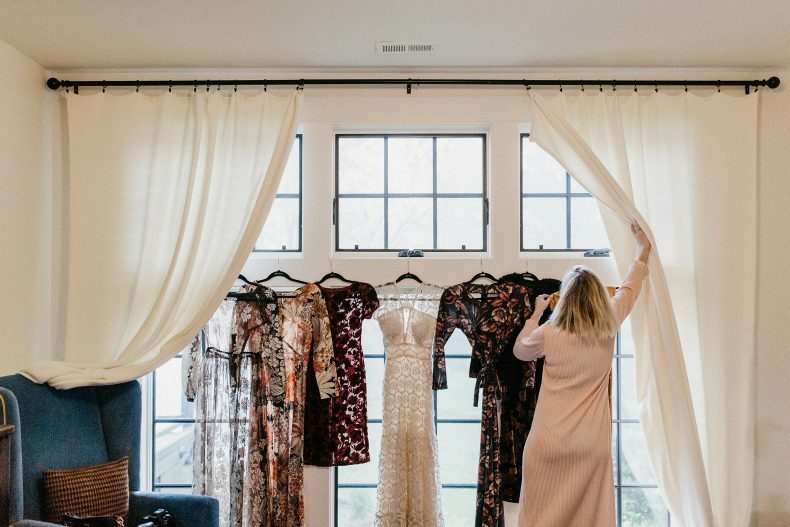 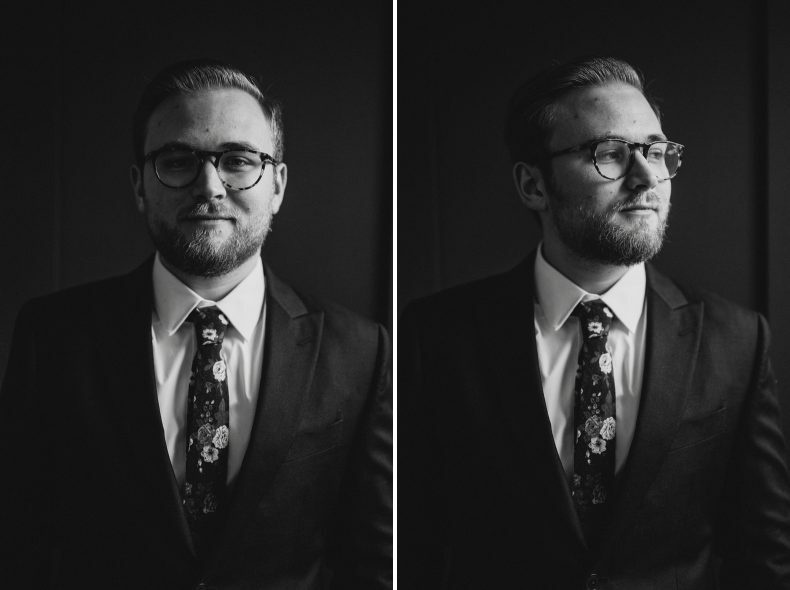 Check out Kailey & Robert’s Cozy Fall Wedding or Jared & Shelby’s Nashville Wedding at the Cordelle!